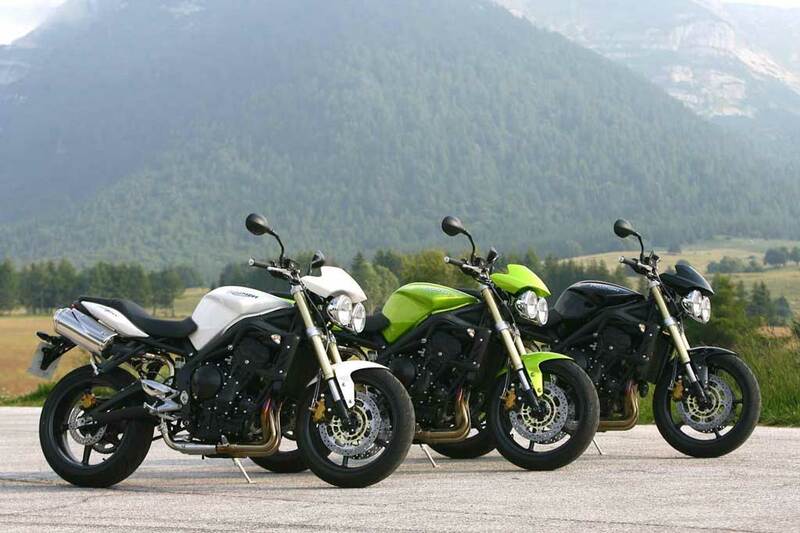 TRIPLE PASSION : Road Triples Motorcycles Gallerie. 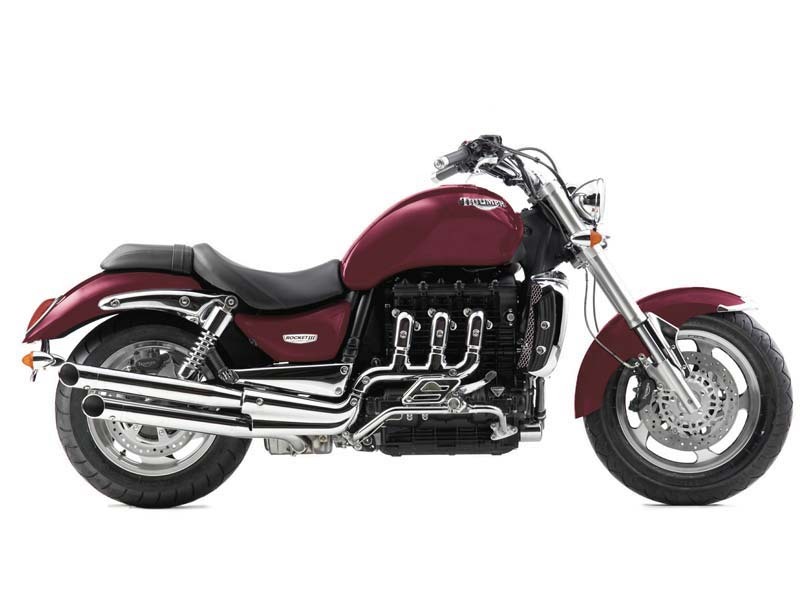 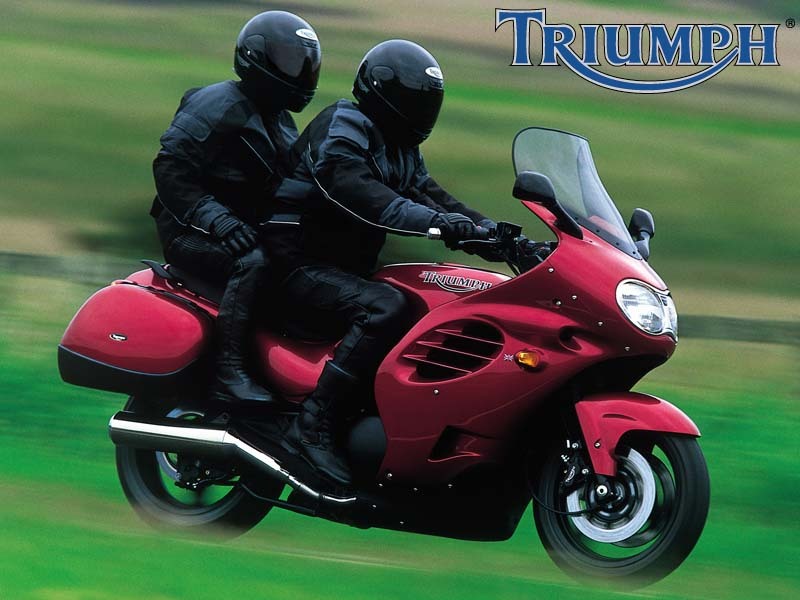 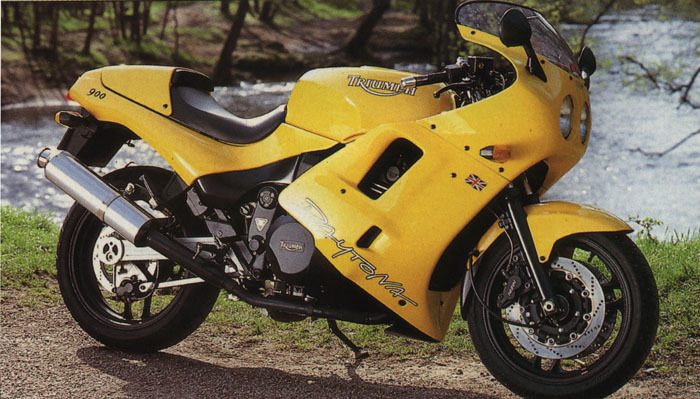 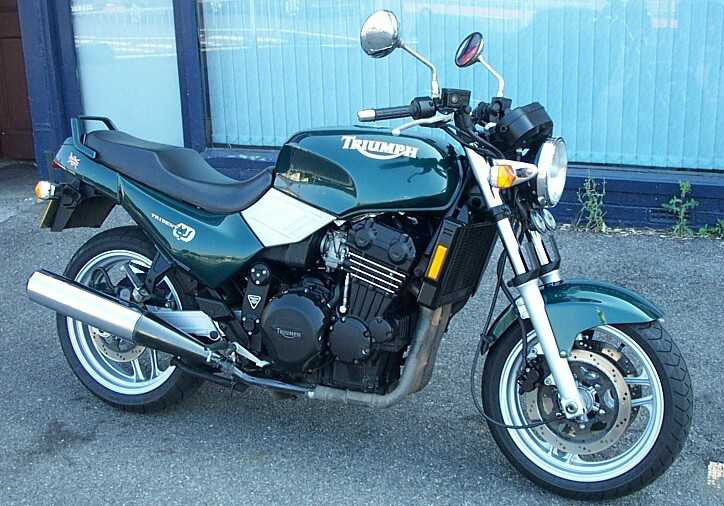 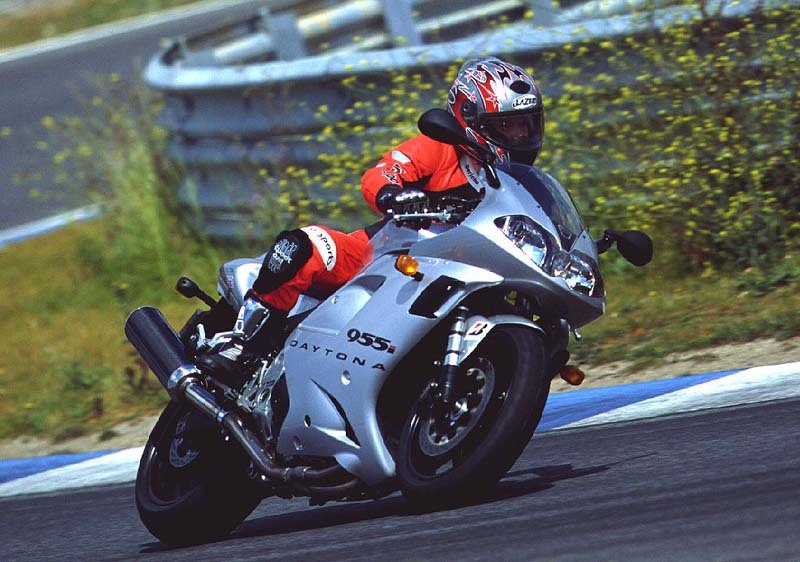 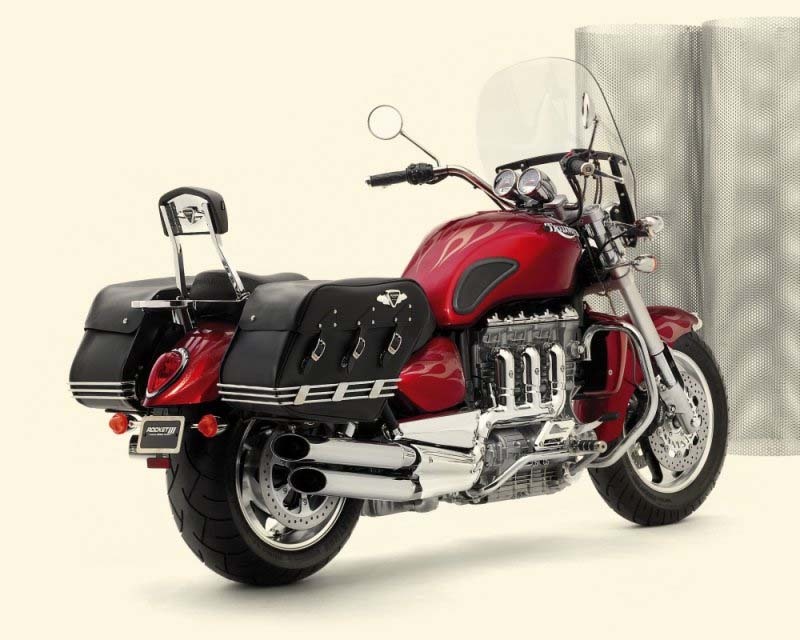 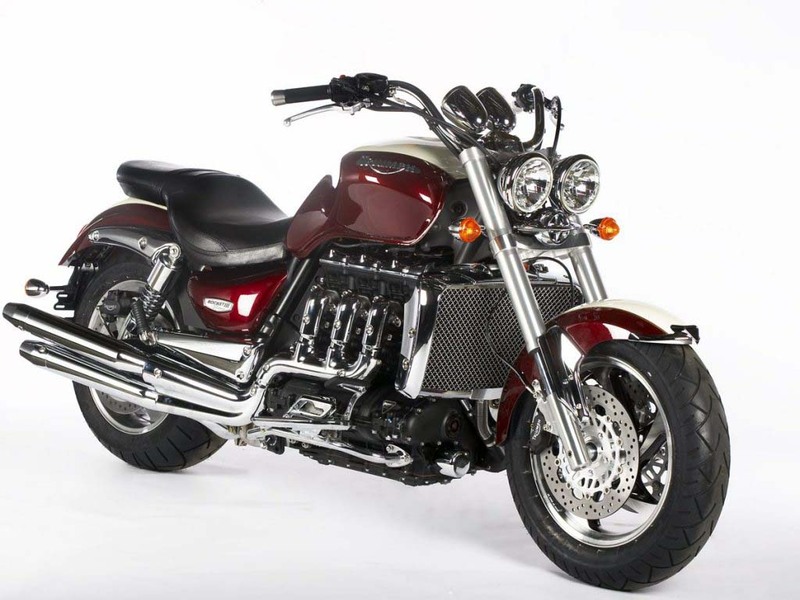 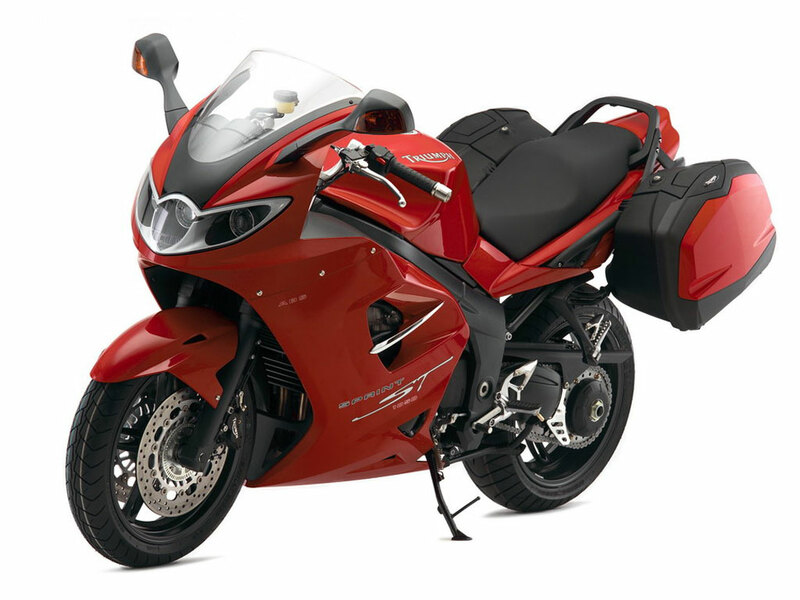 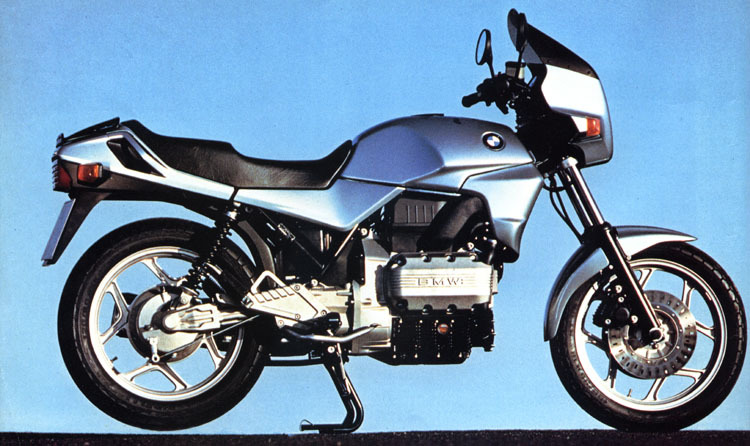 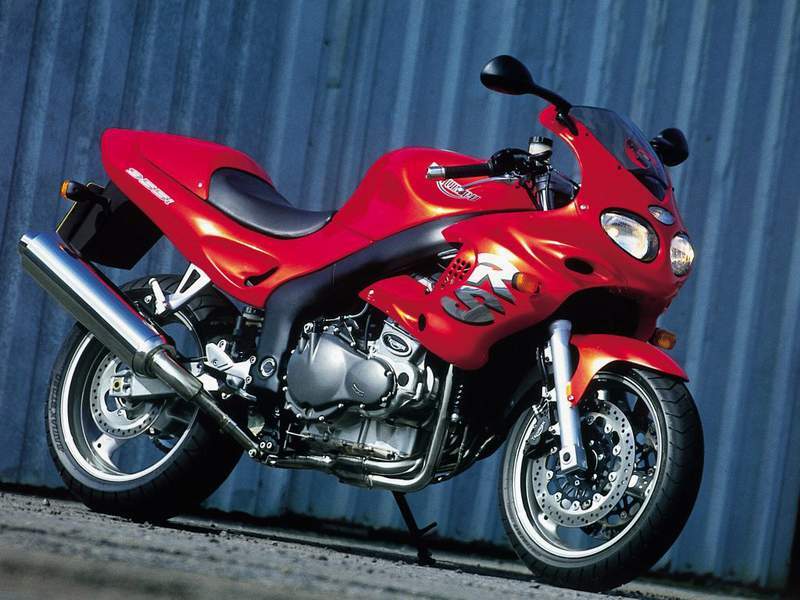 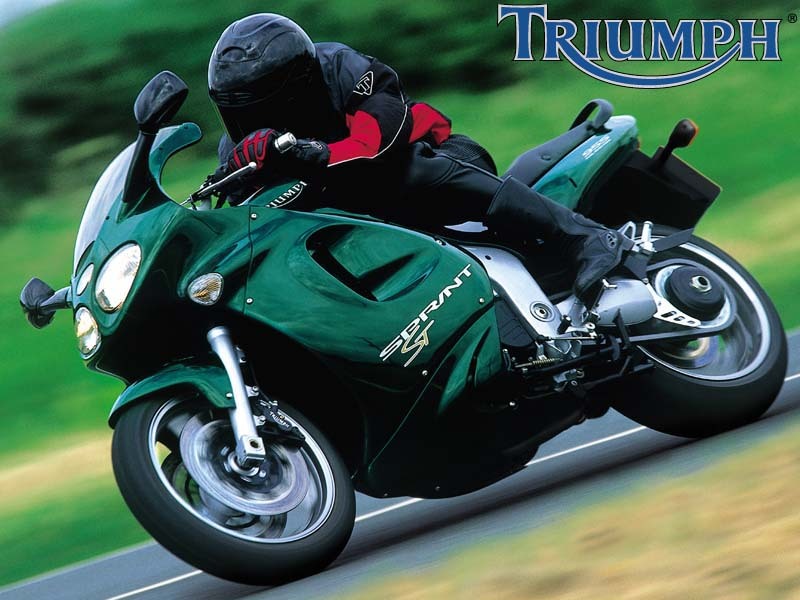 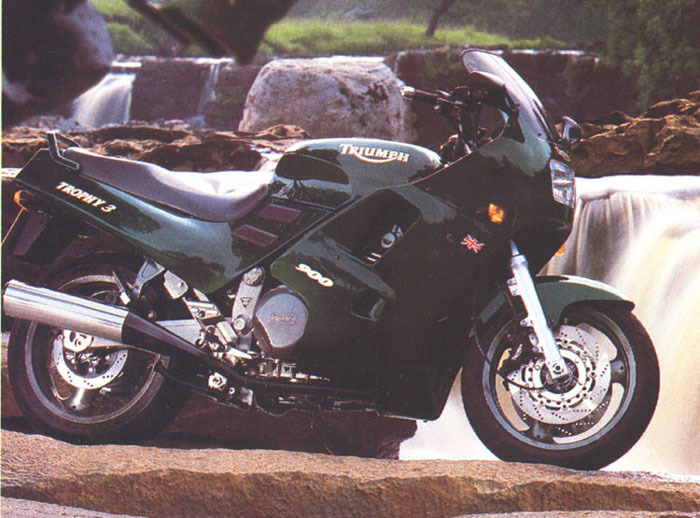 Triples are not quite usual in the current motorcyclist production. 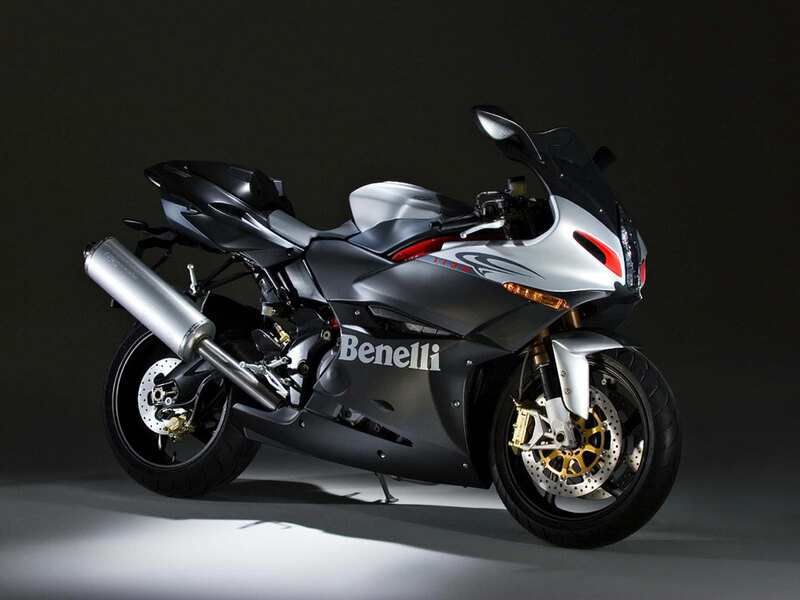 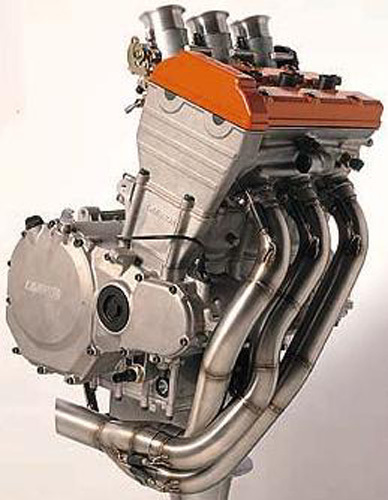 Except Triumph and Benelli, no manufacturer uses this engine architecture. 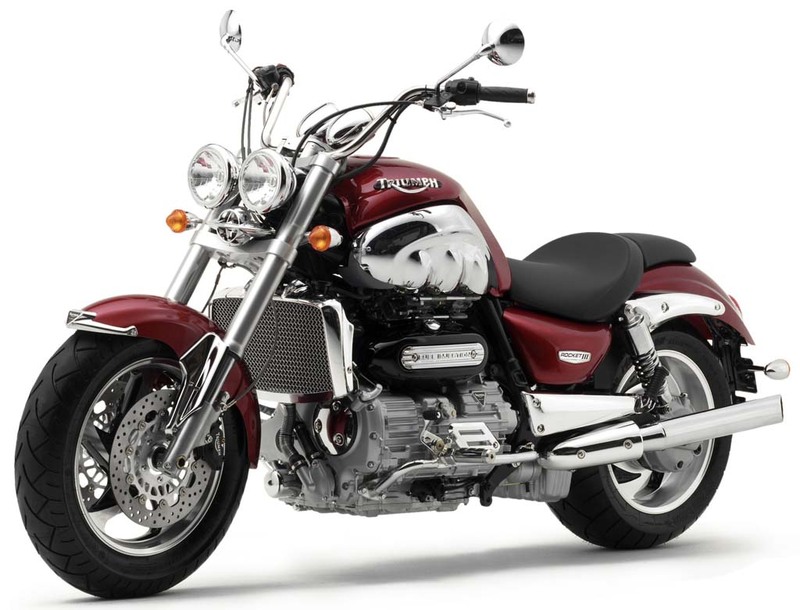 However a triple has a lot of advantages : torque at low revs like a twin, elasticity like a 4 cylinders, without missing out the compactness of the engine. 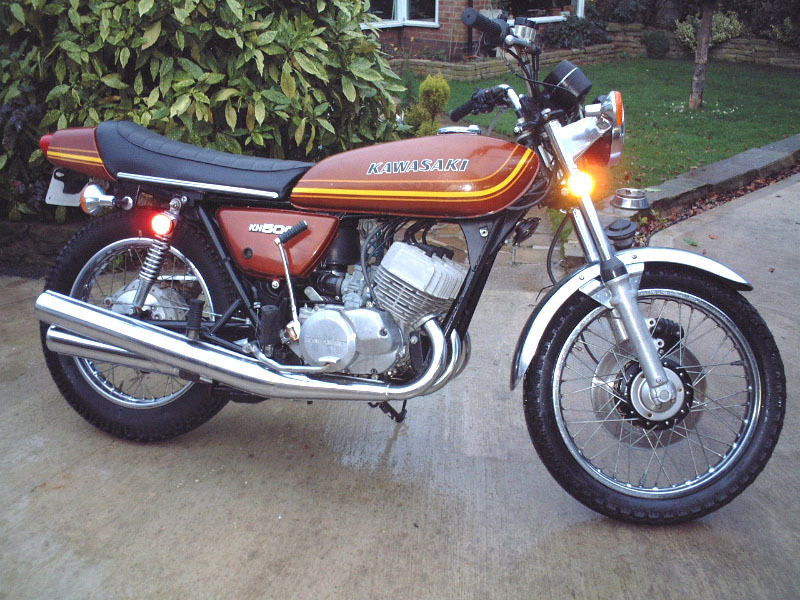 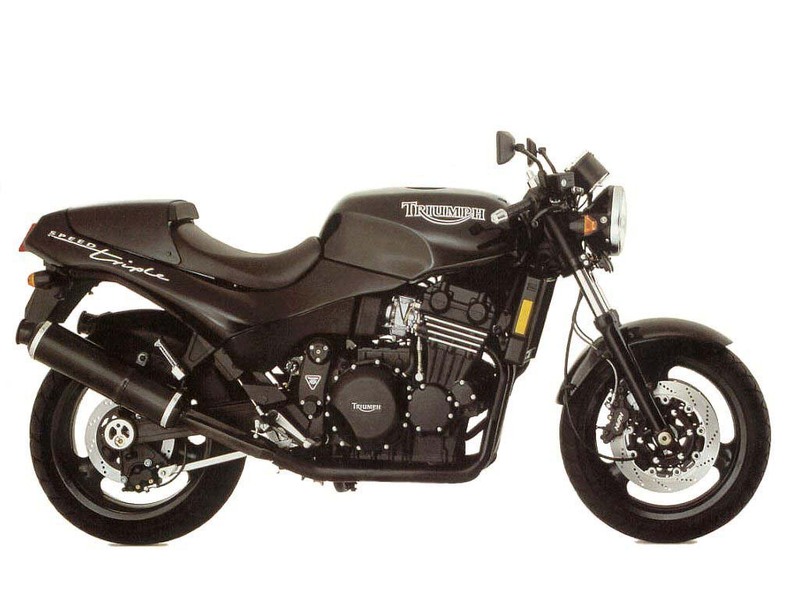 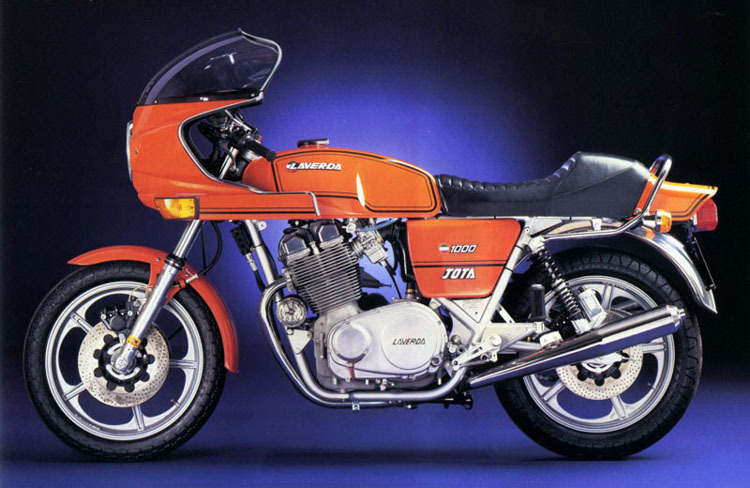 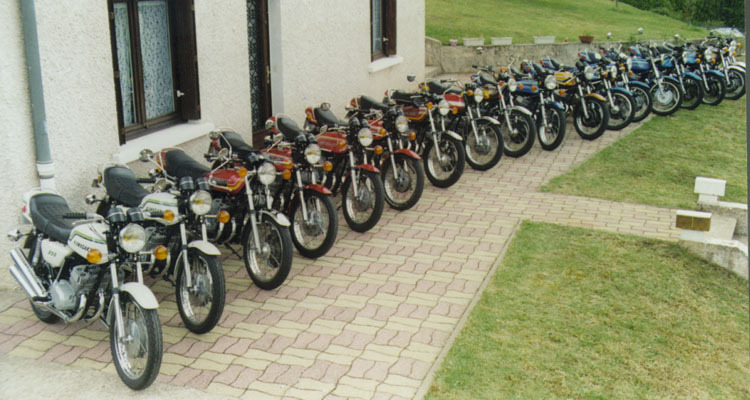 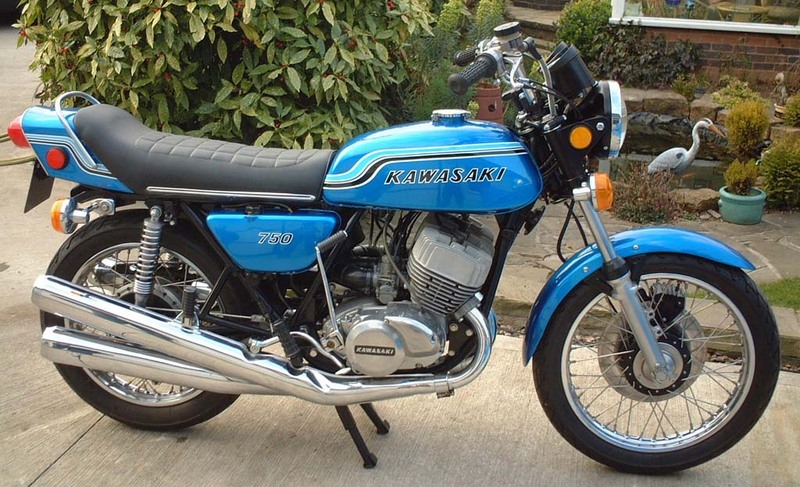 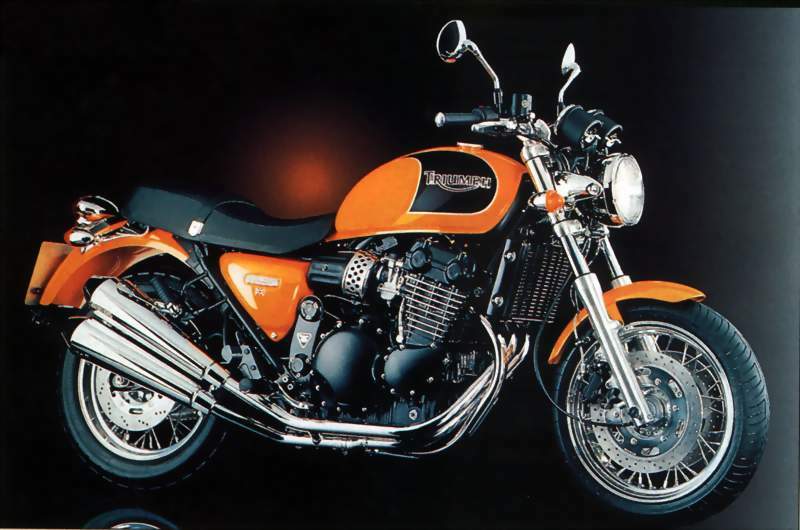 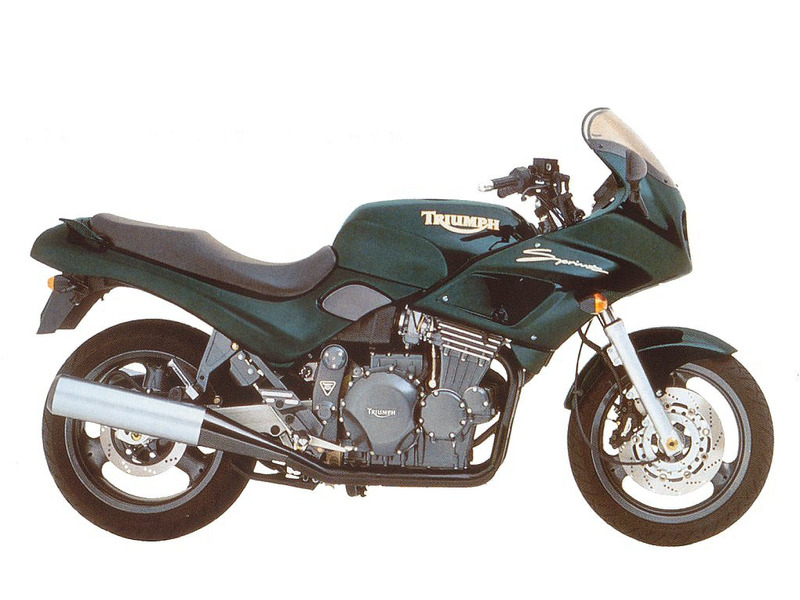 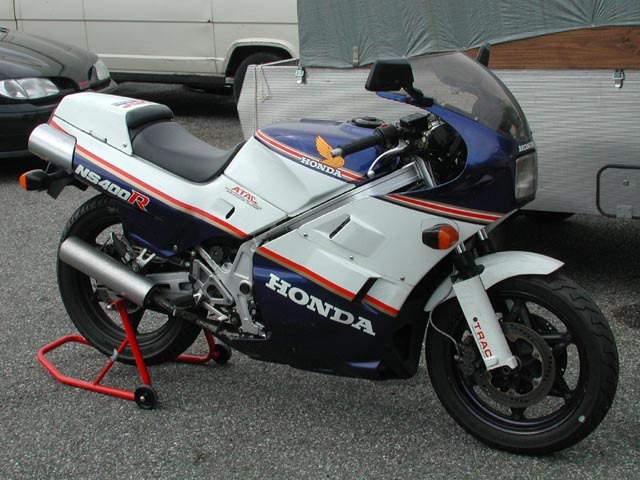 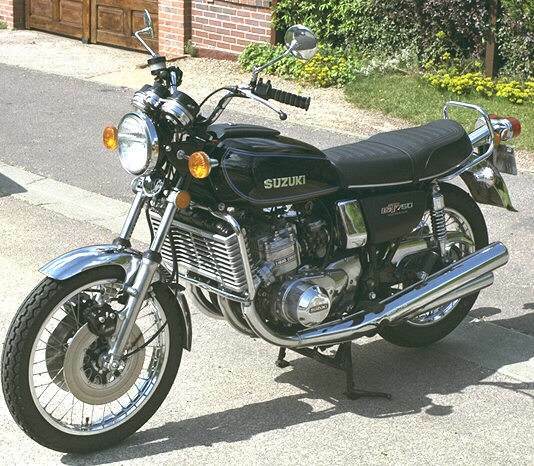 And what a wonderful sound : A Triumph, a Laverda or even an old 2 stroke Kawasaki or Suzuki are unmistakable ! 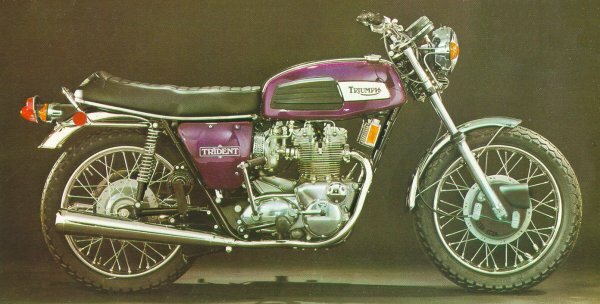 THE STAR, THE MYTH ! 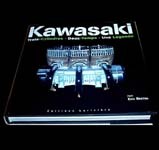 1200 photos, 320 pages, Larivière editions, approximately 49 €. 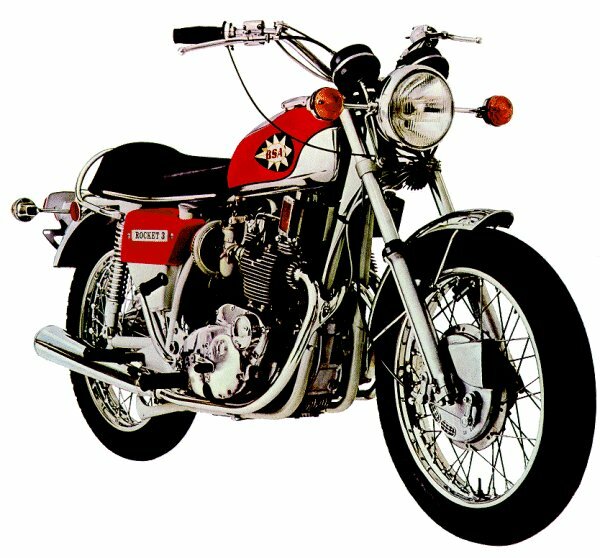 SUZUKI GT 750 "LA BOUILLOTTE"
A 3 cylinders 750 Kawasaki H2 in a 125 Gilera KZ frame! 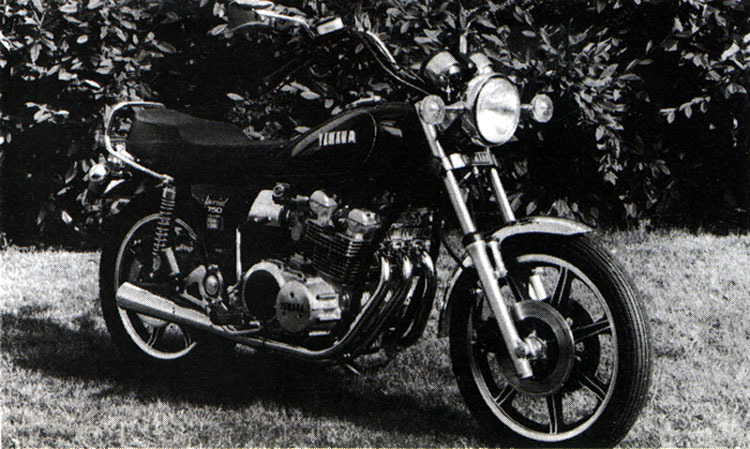 A tuned engine: reed-valves, Ø34 Mikuni Power-jet carburettors, modified 7-port-cylinders, as well as an adapted exhaust. 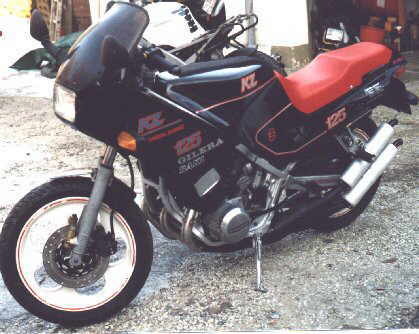 Result : 95 HP ! 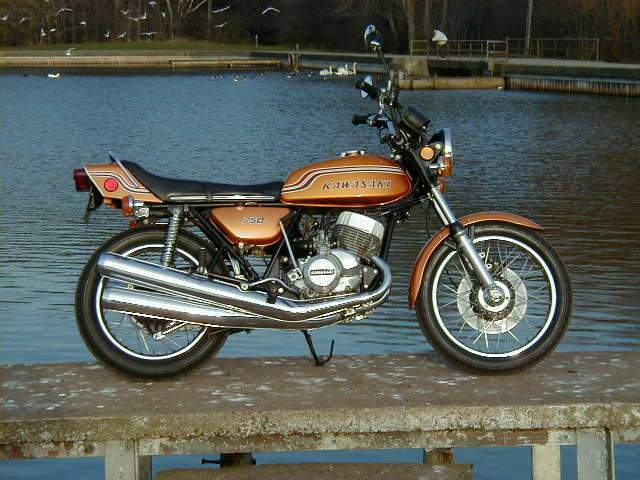 A 3 cylinders Yamaha RD of unknown cubic capacity. 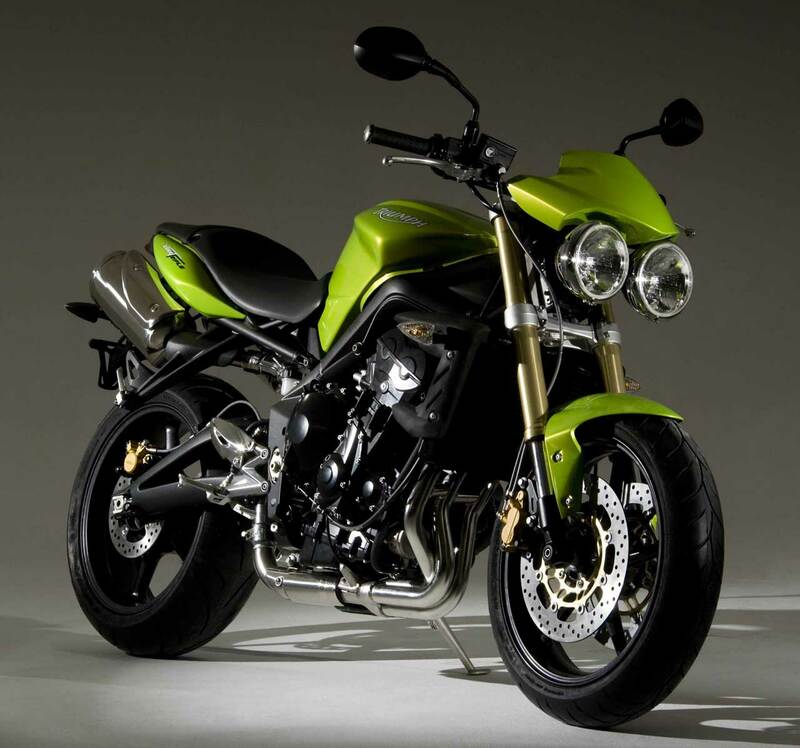 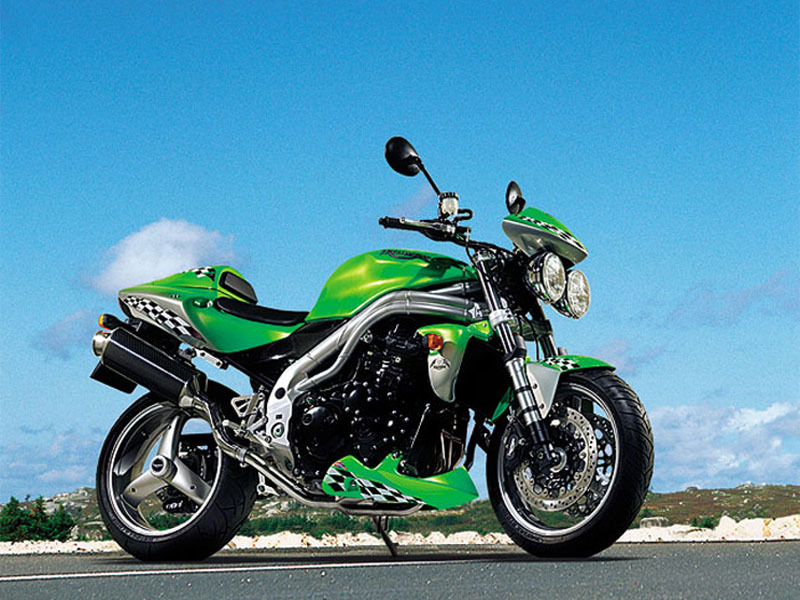 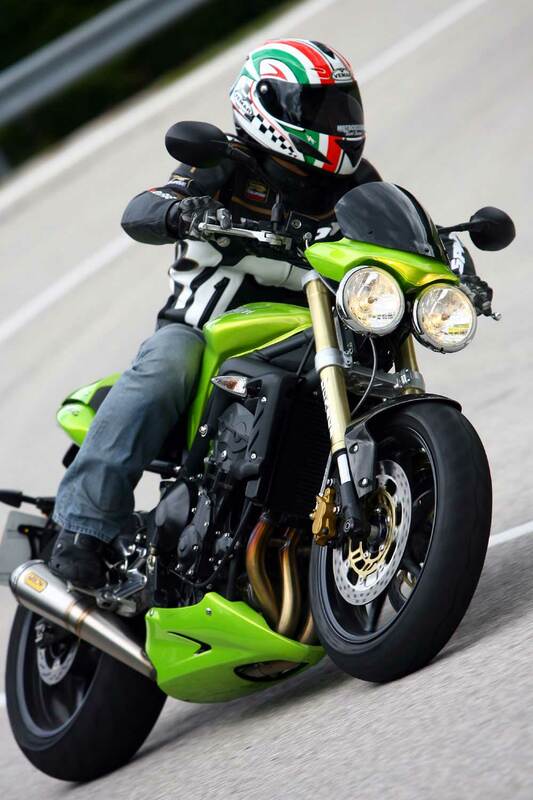 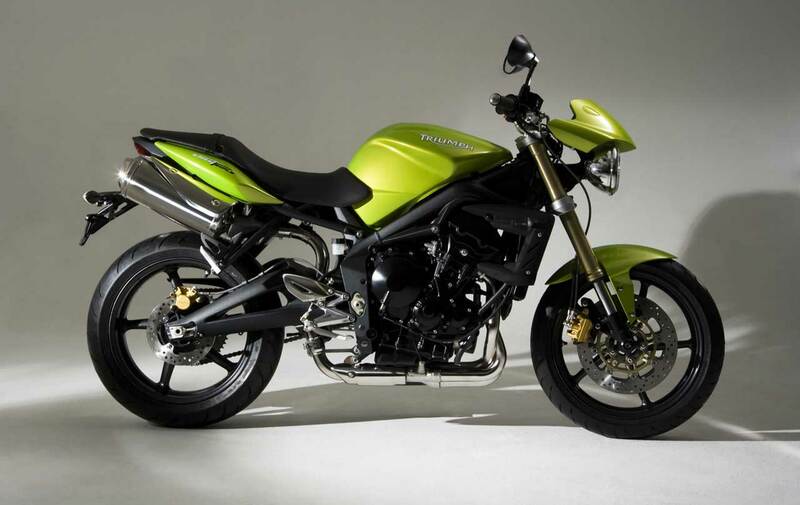 Seen on the site Kawasaki Triples Worldwide.com. 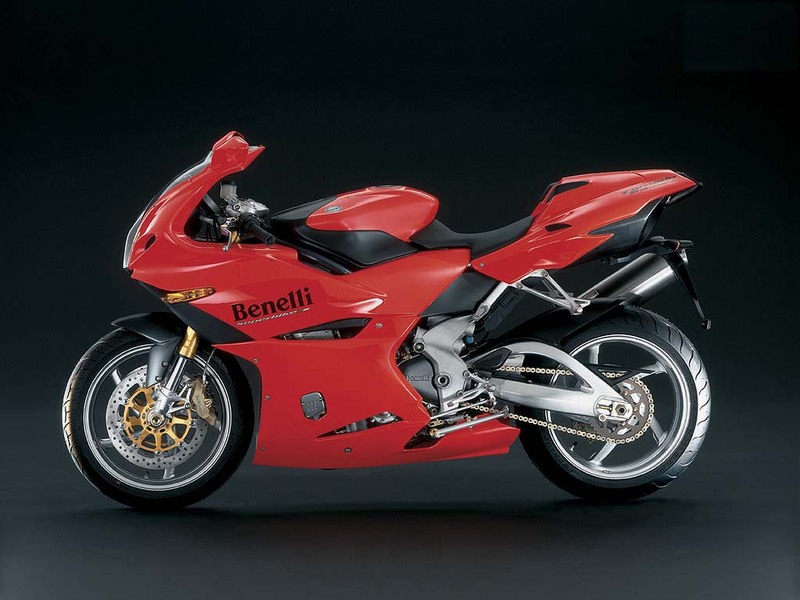 If somebody will have informations, ...! 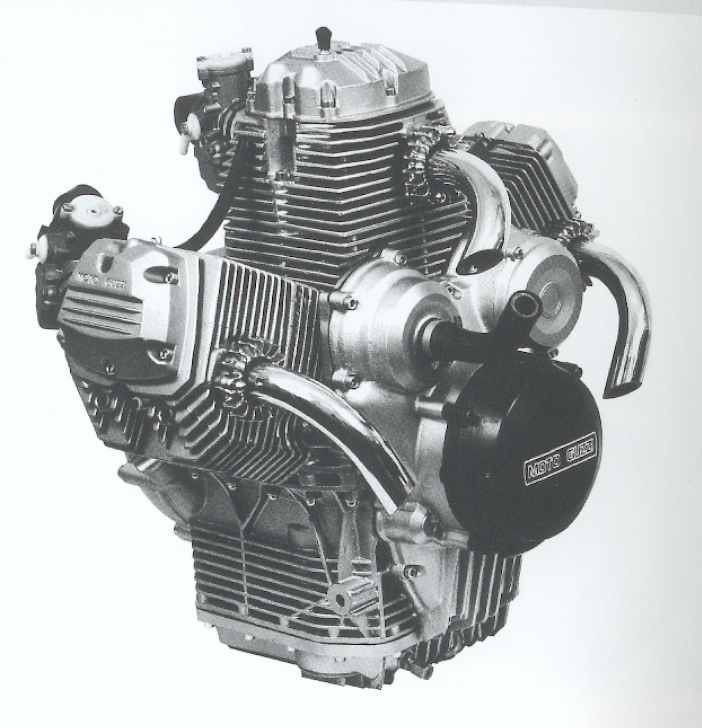 3 cylinders in W, air cooled, 2470 cm3 (101,6 X 101,6 mm), 150 HP, 25,5 mkg torque, 5 speed gear box, belt drive transmission, etc. 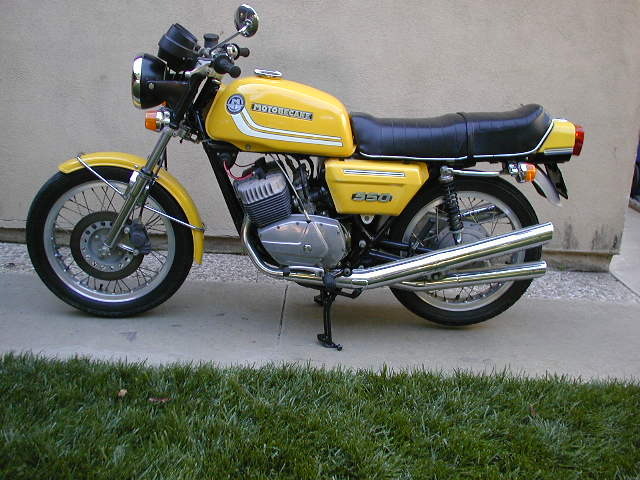 Here is an original 3 cylinders, as per Jim Feuling, an American engineer. 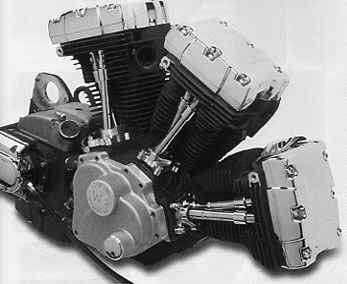 The idea was to graft a third cylinder on an Harley Davidson engine. 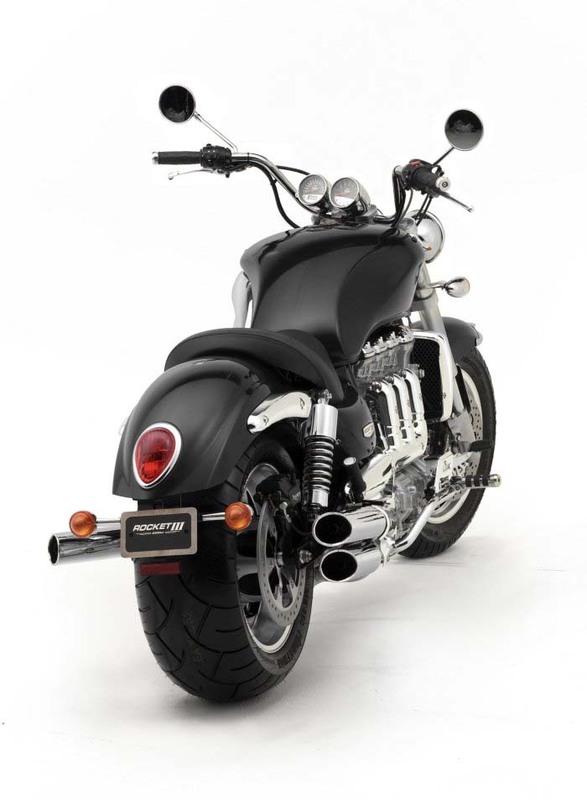 Finally, only the Harley Davidson gear box is kept on this bike. 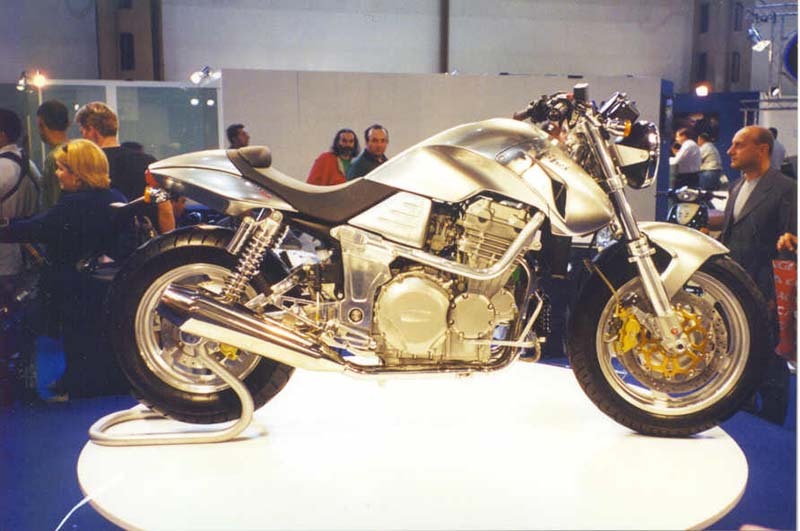 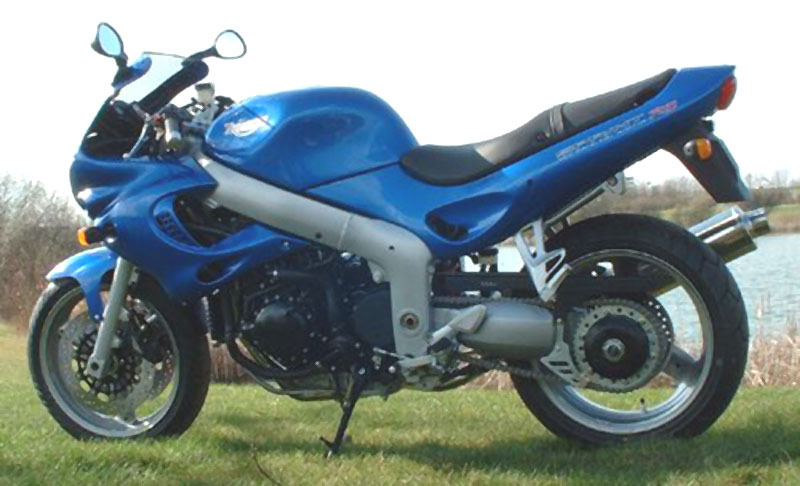 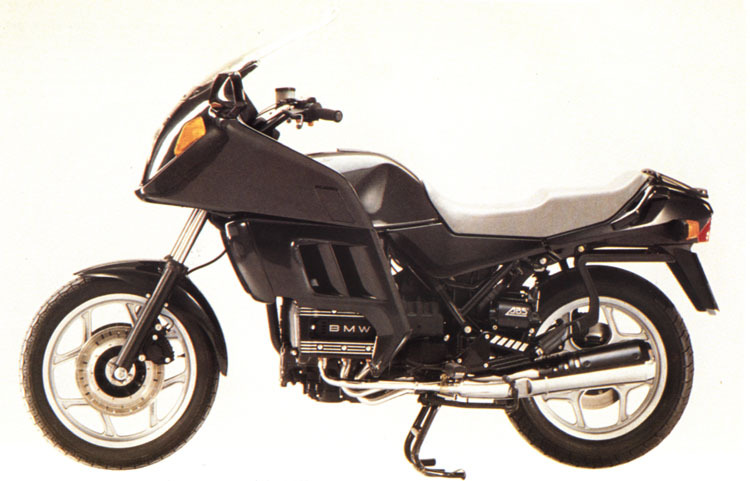 Here is a prototype from Holland, built by Star Twin a local Ducati, Benelli, Aprilia, MV, Cagiva dealer. 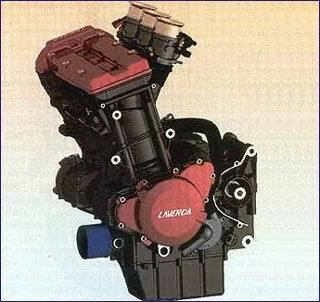 It is a 1200 cm3 Turbo Diesel with direct injection 3 cylinders. 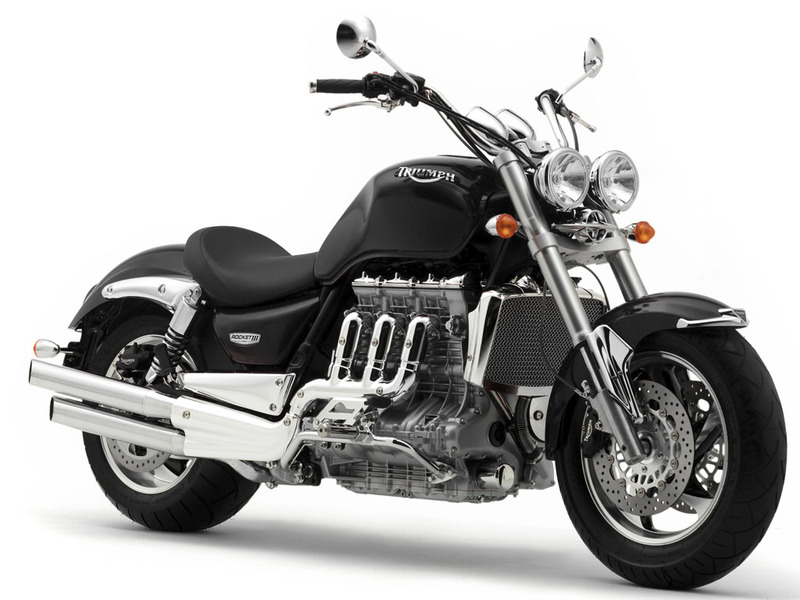 At the moment, the engine delivers 70HP and a torque of 160Nm. 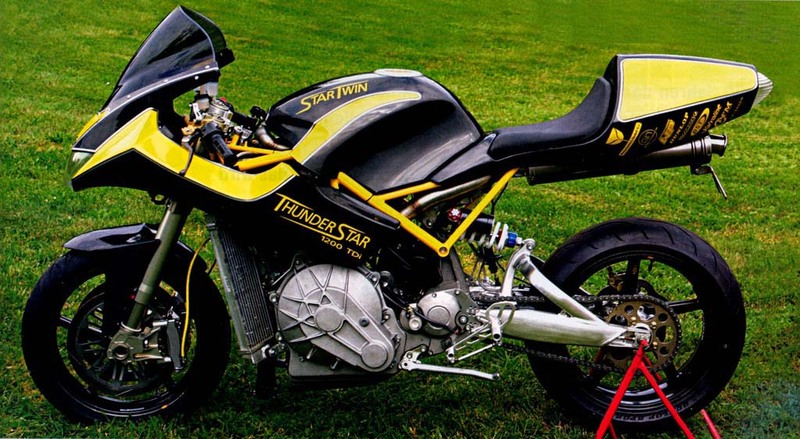 Star Twin thinks being able to obtain 100HP and 250Nm. 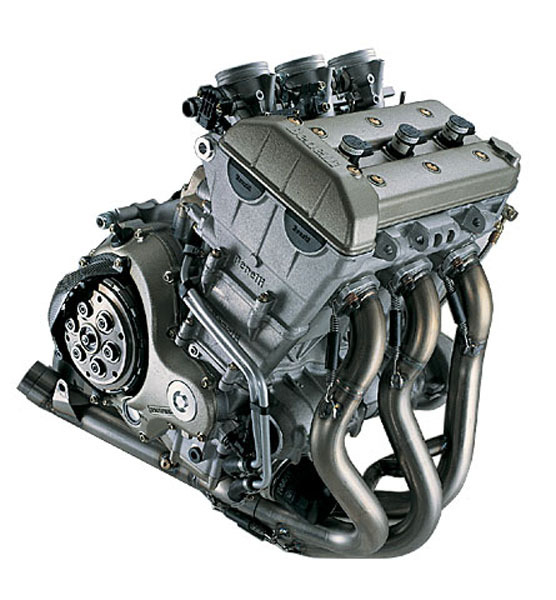 The crankshaft, the cylinder head and the system of fuel injection are of origin VW Lupo and the casings are house made. 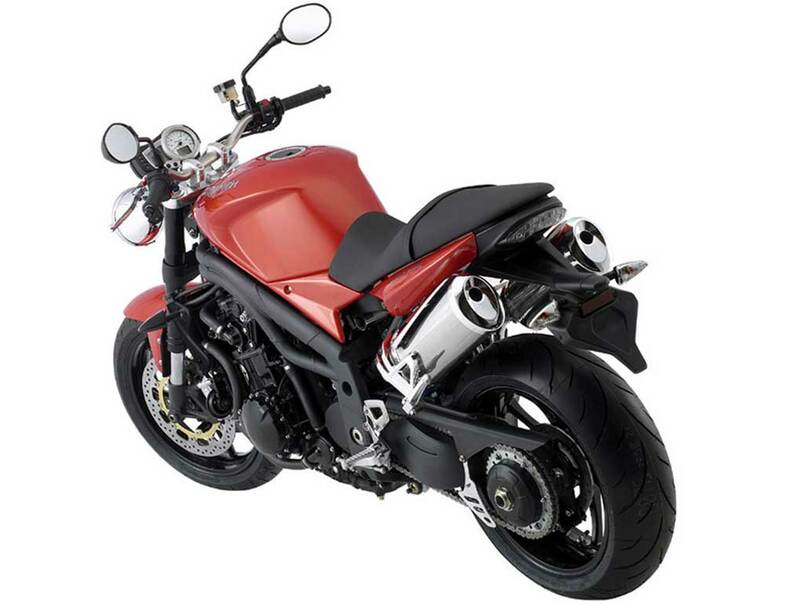 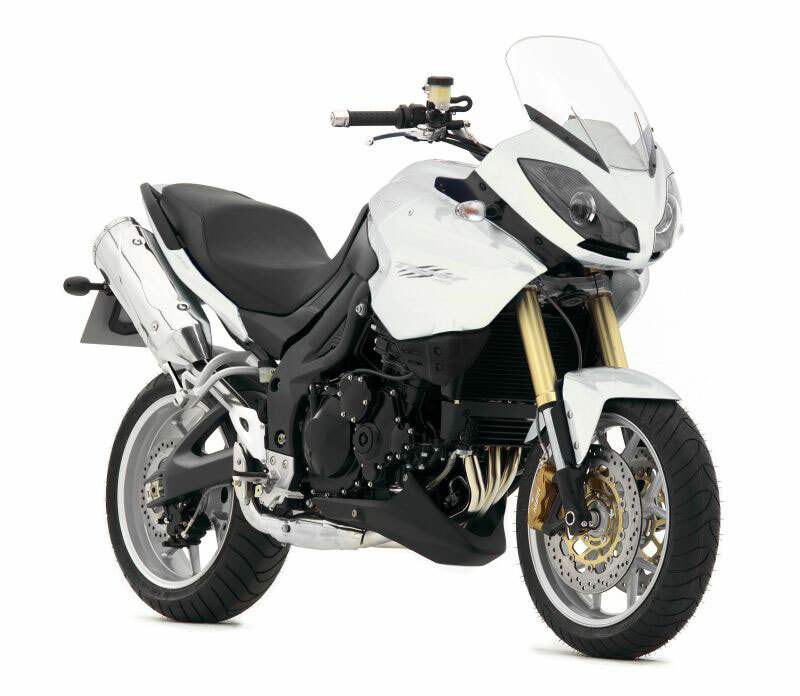 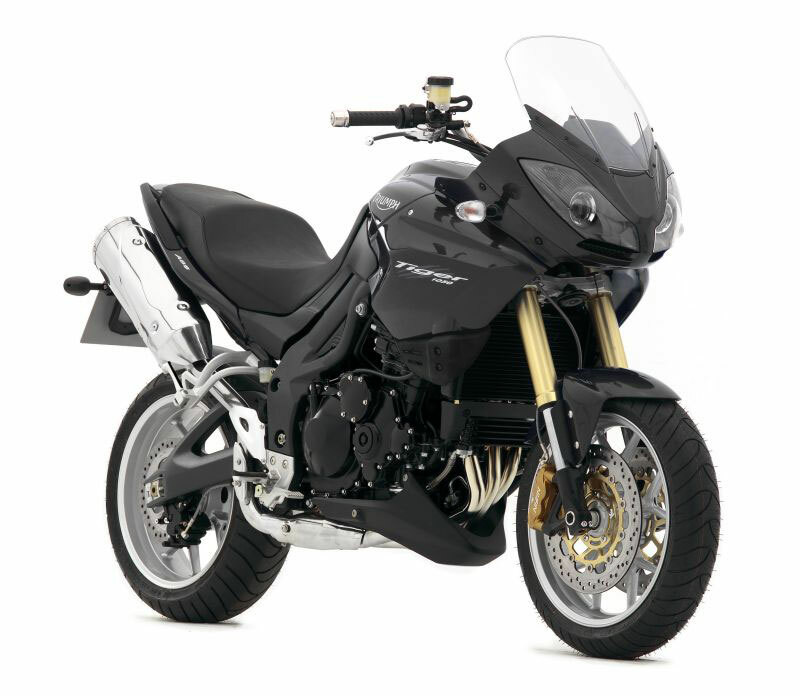 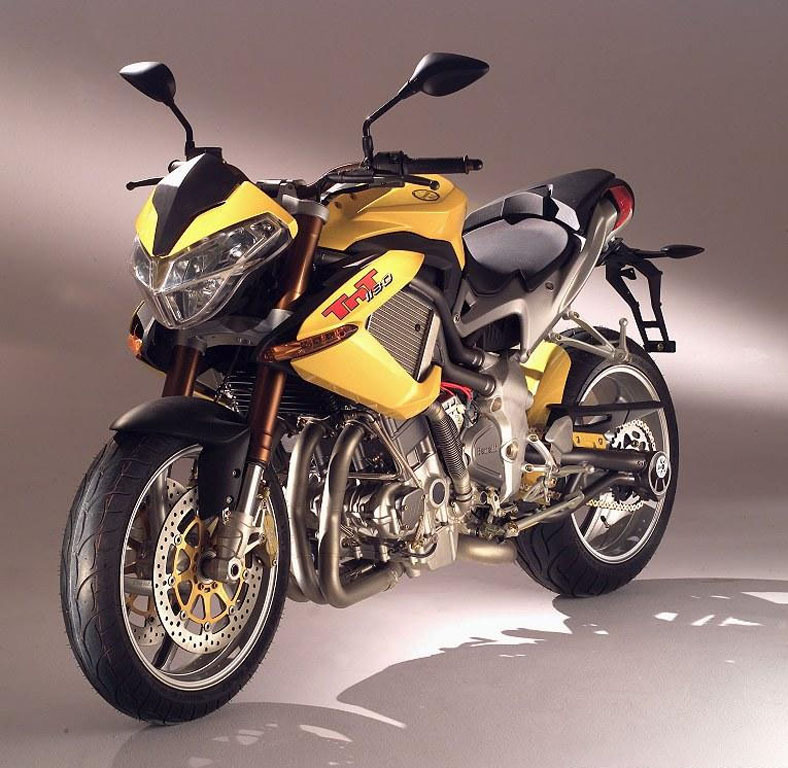 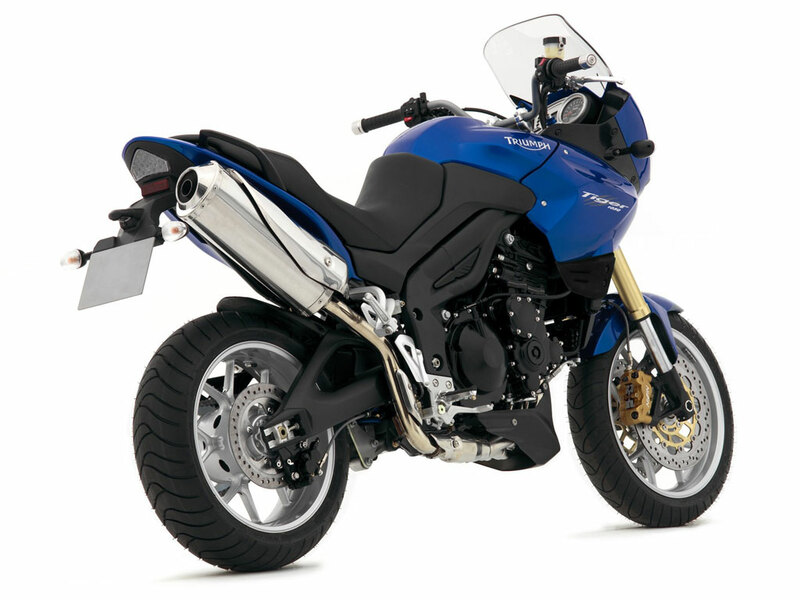 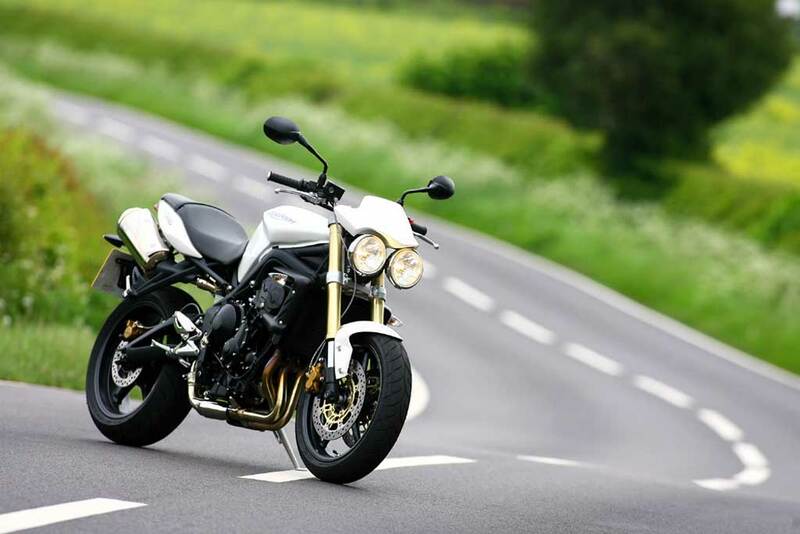 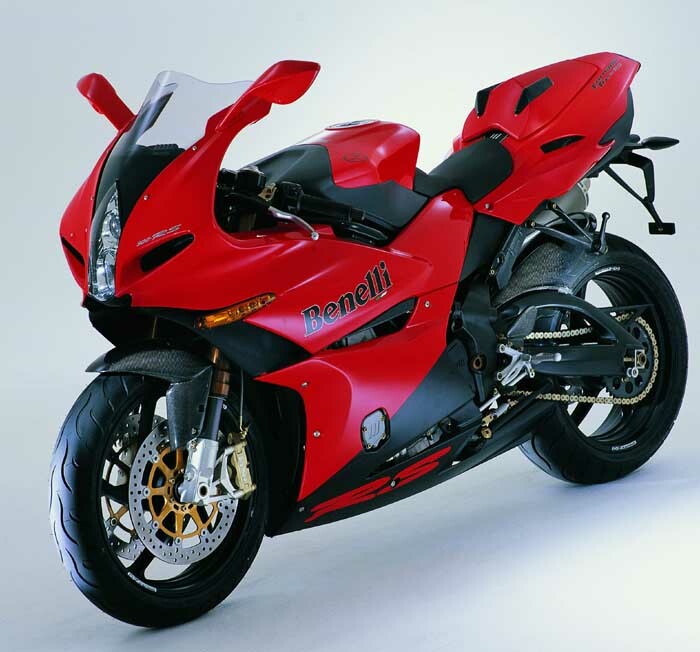 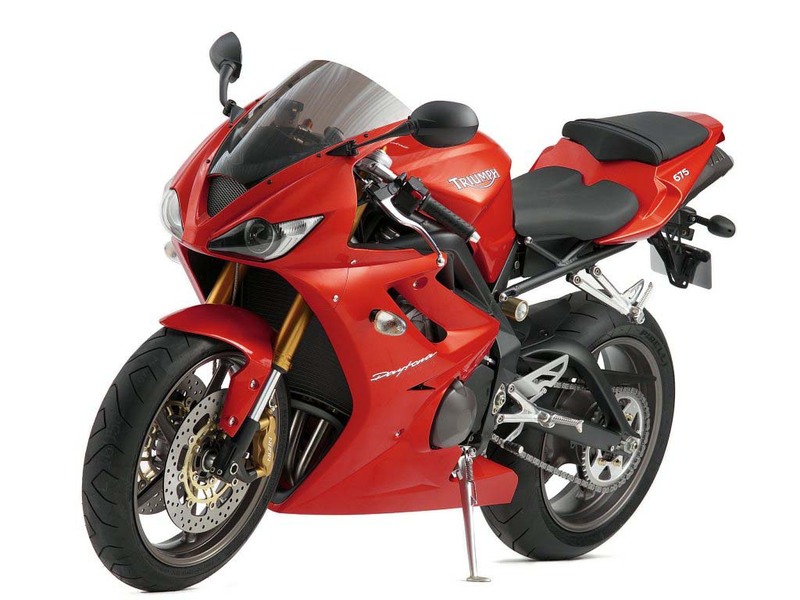 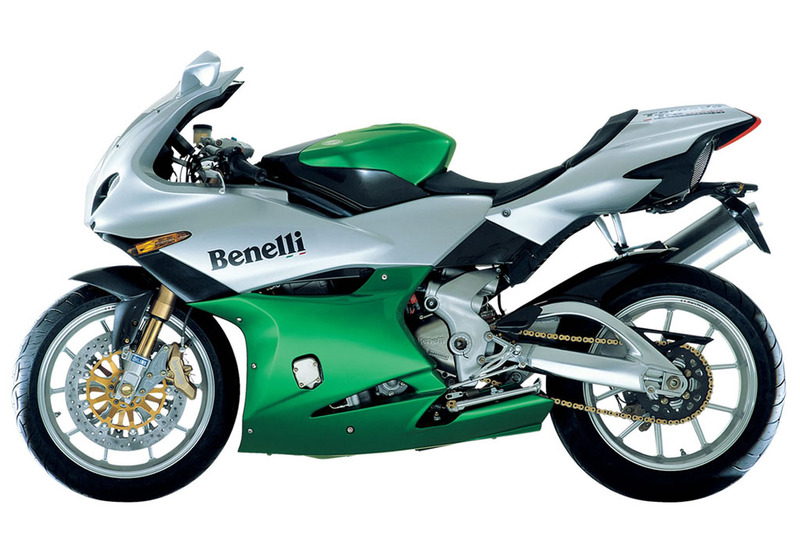 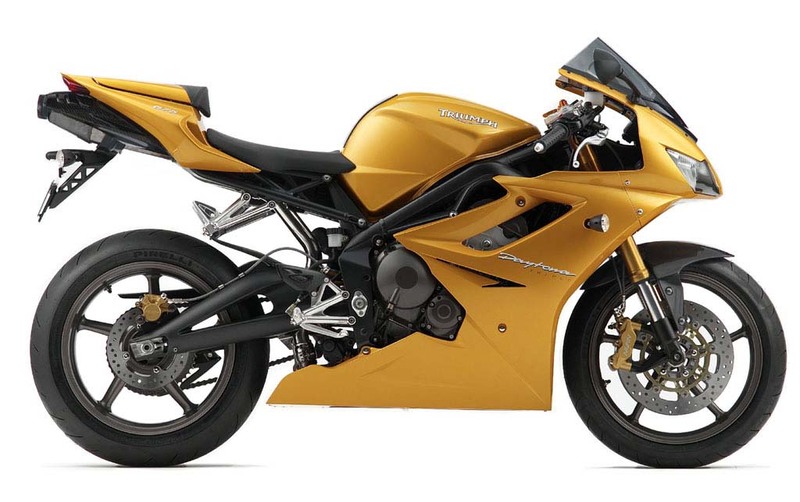 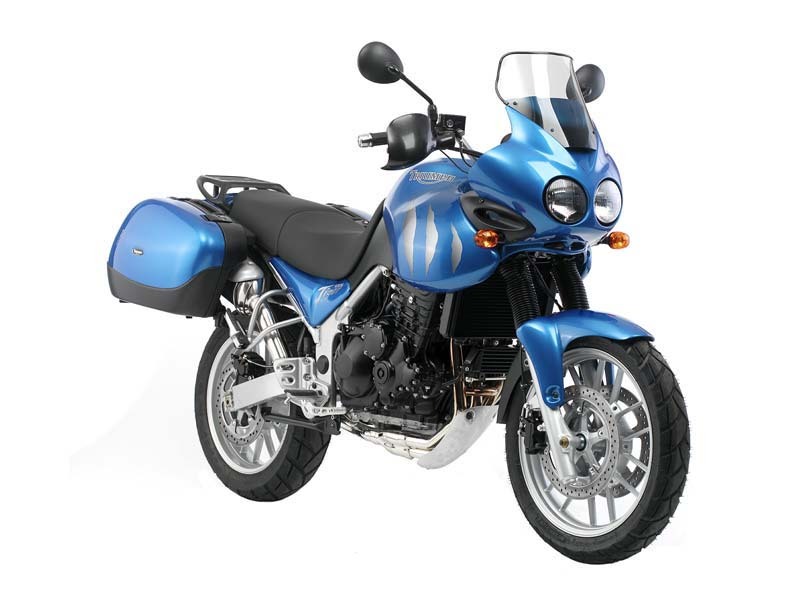 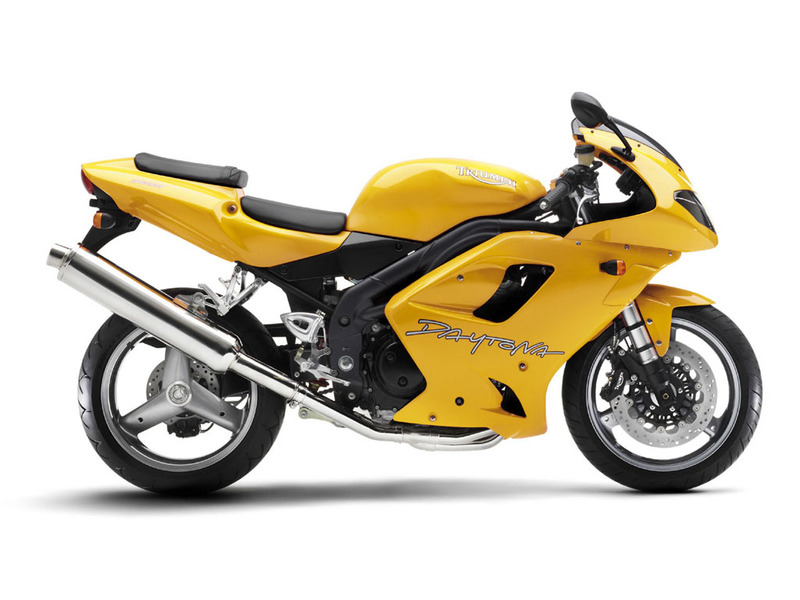 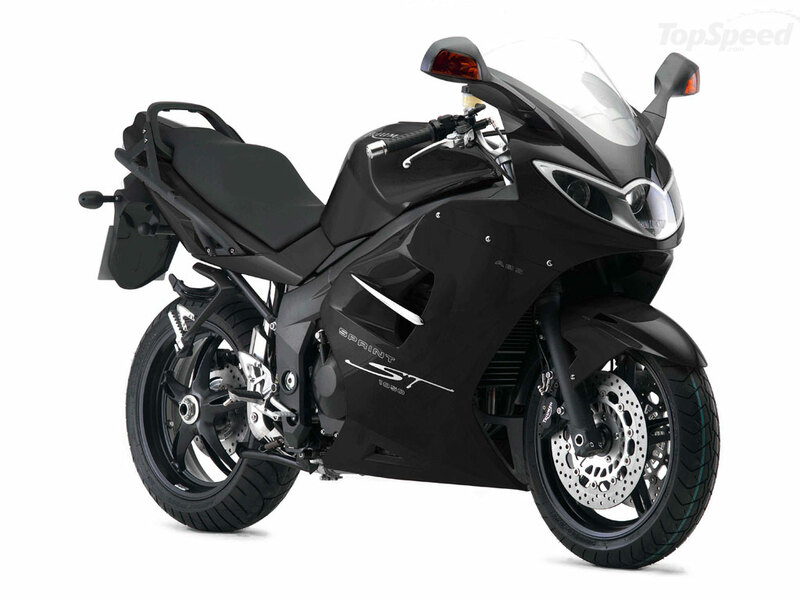 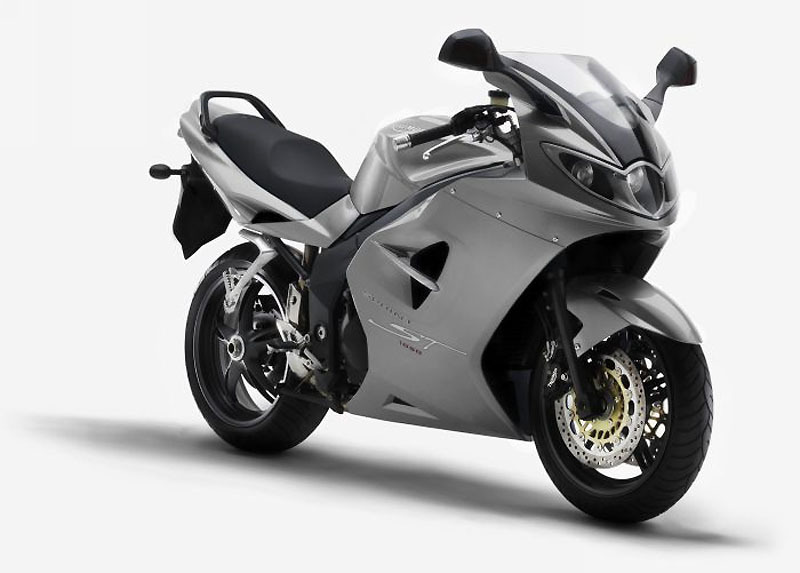 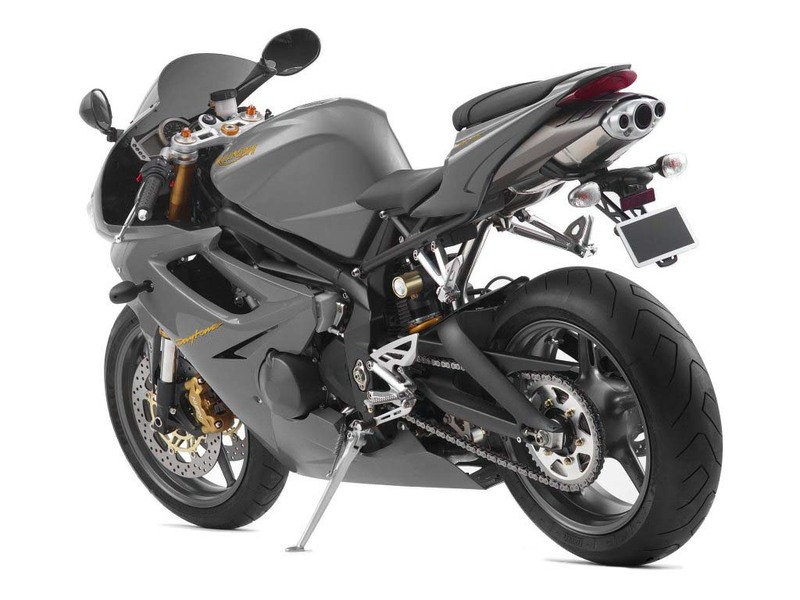 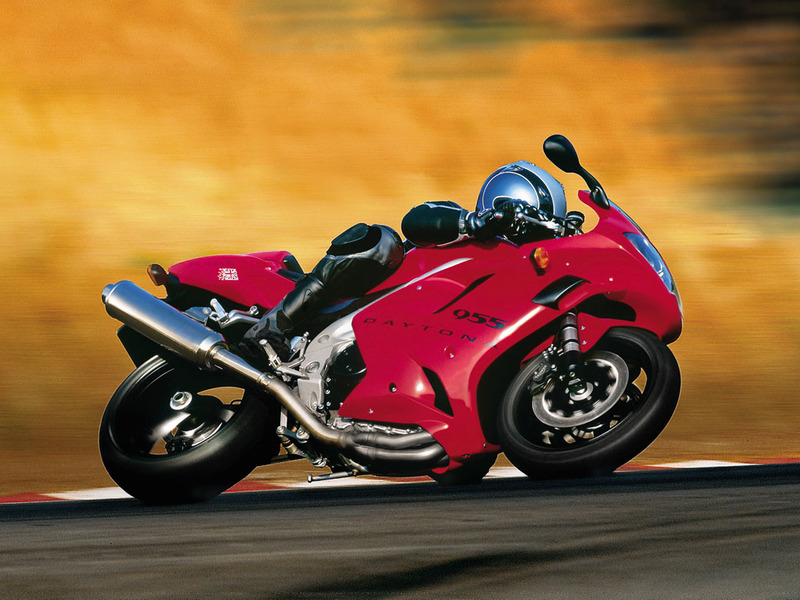 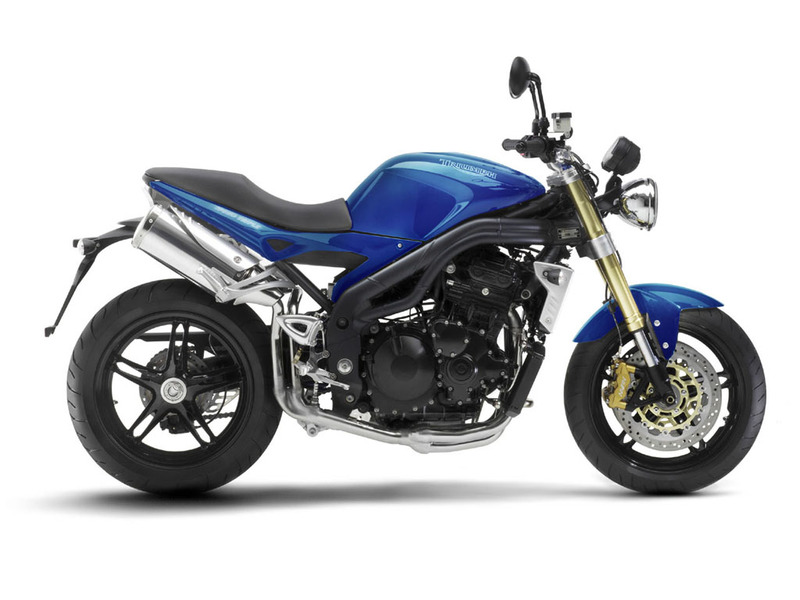 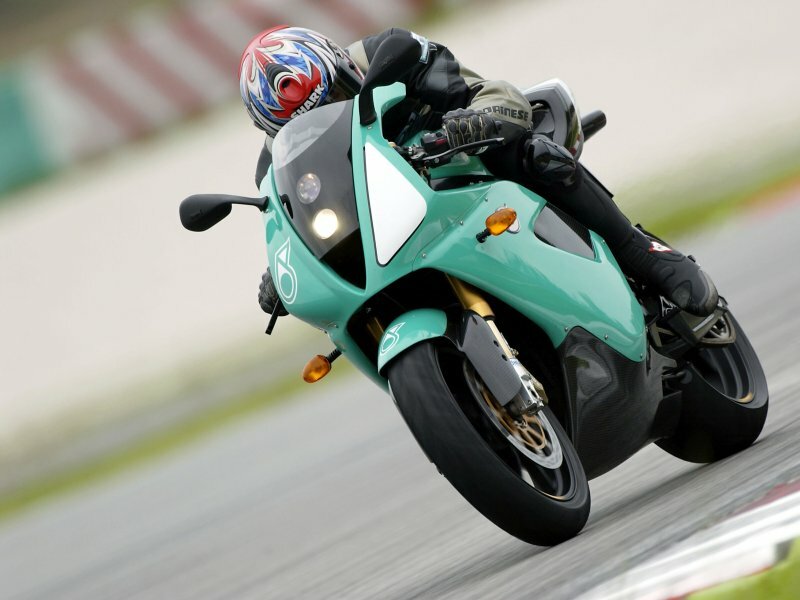 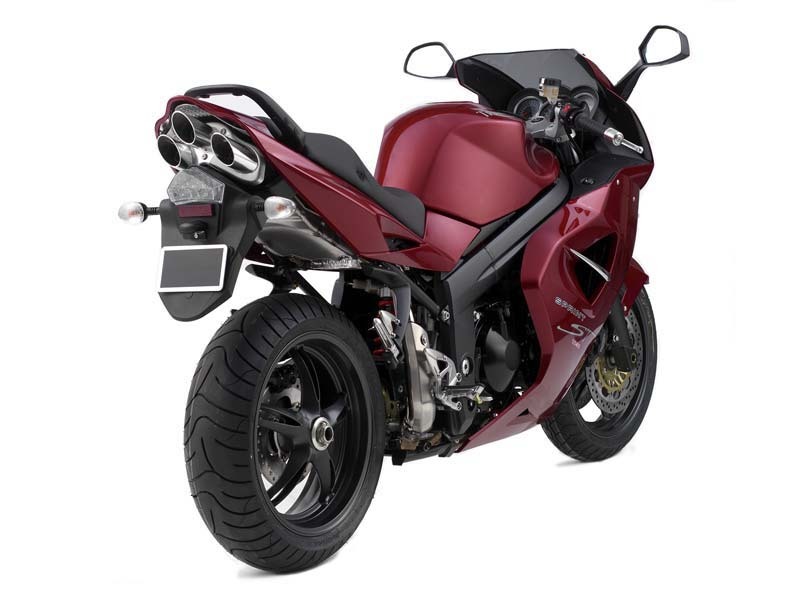 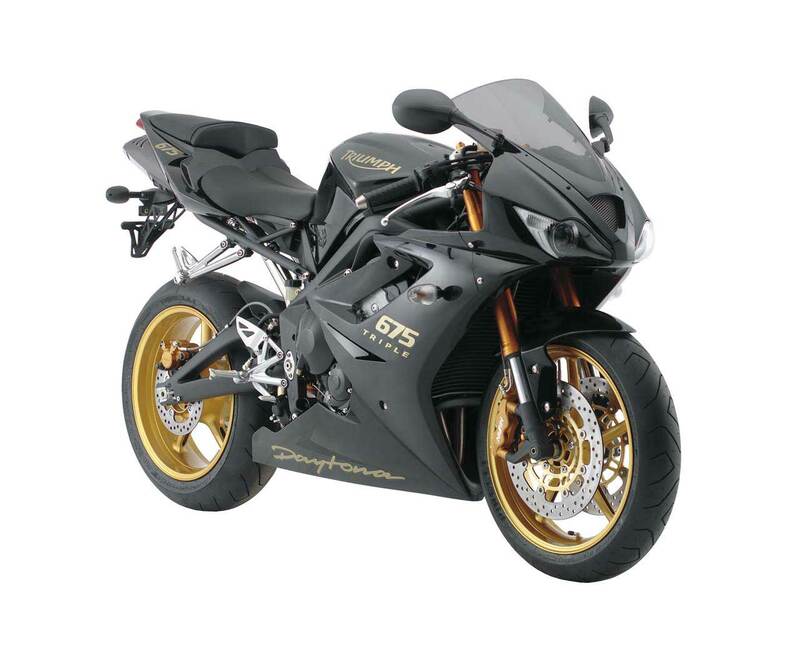 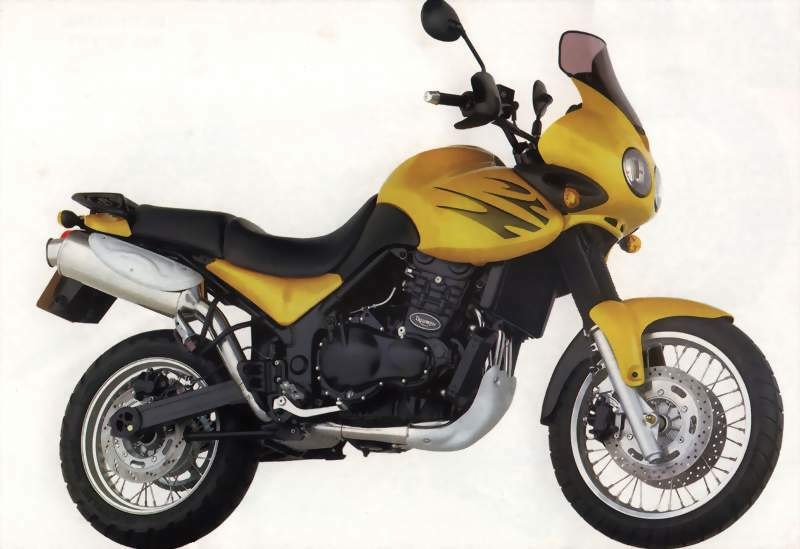 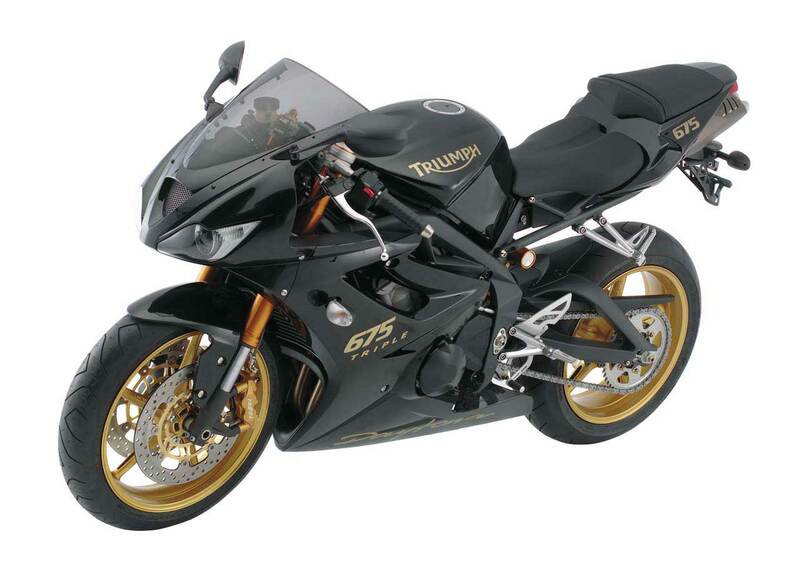 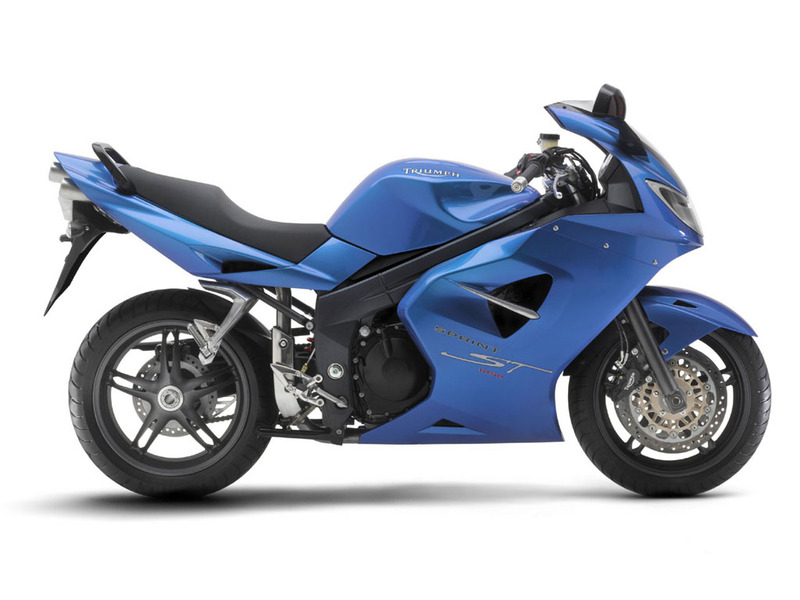 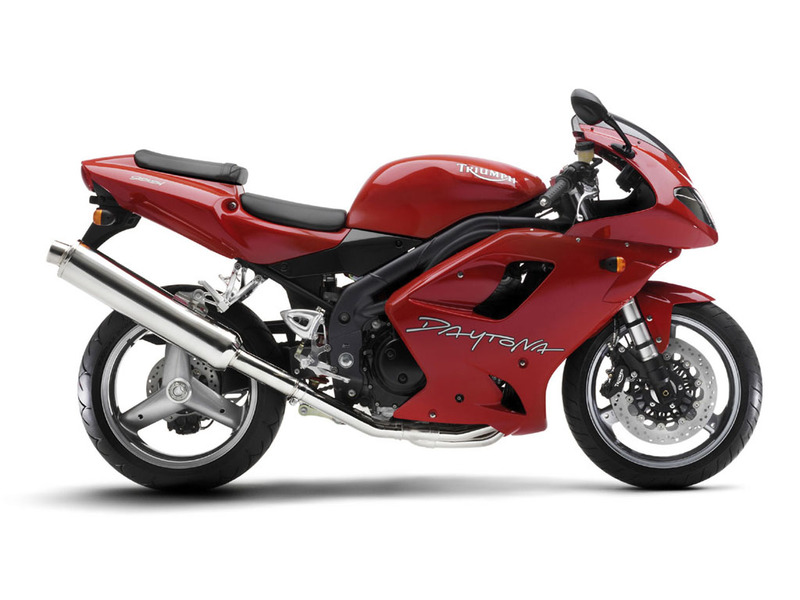 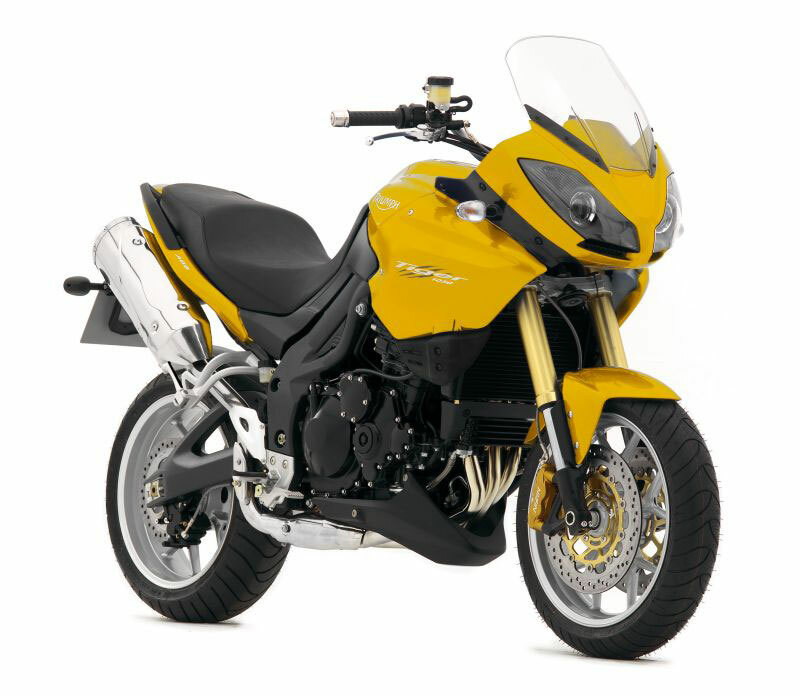 The cycle part is a tubular frame, a Moto-GP front fork and White-Power shock absorbers. This motor bike is in test. 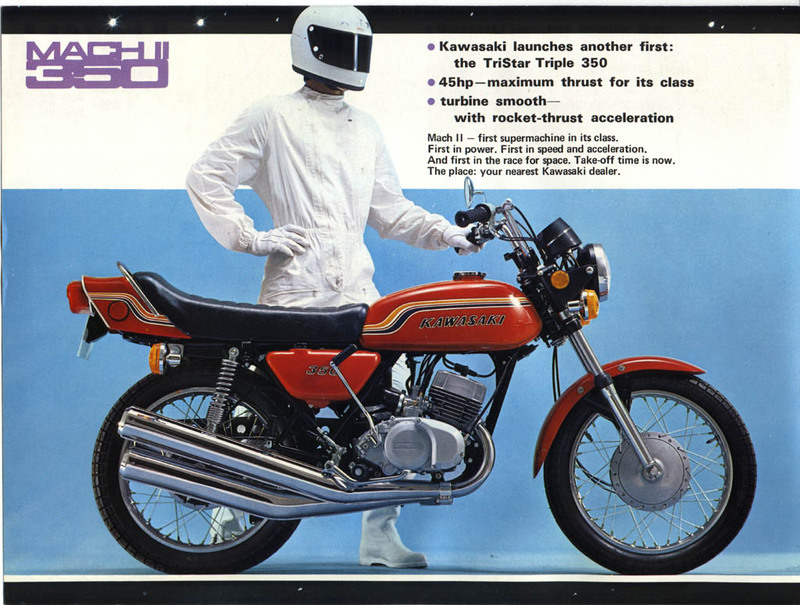 The web page of STARTWIN. 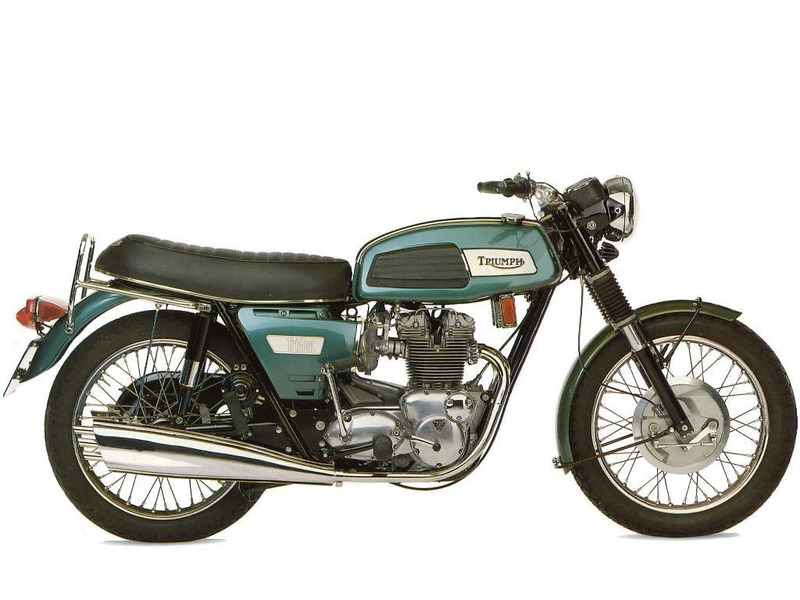 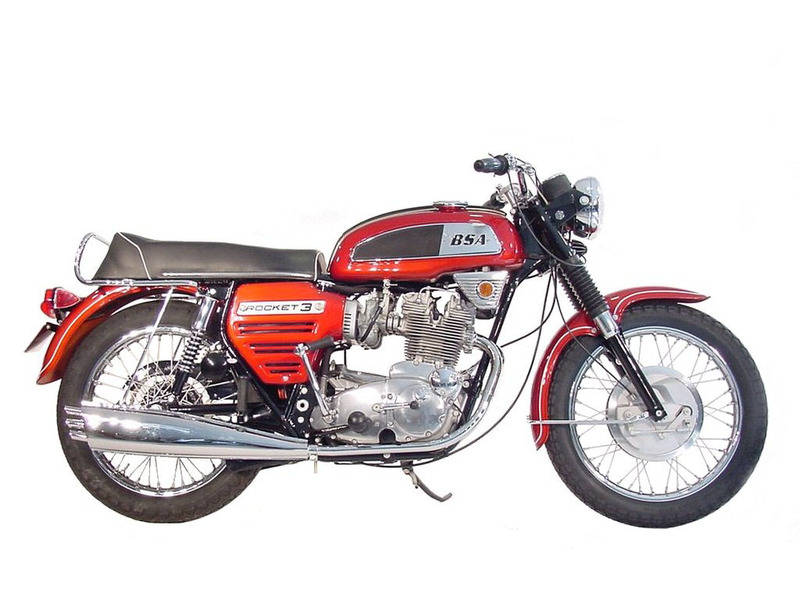 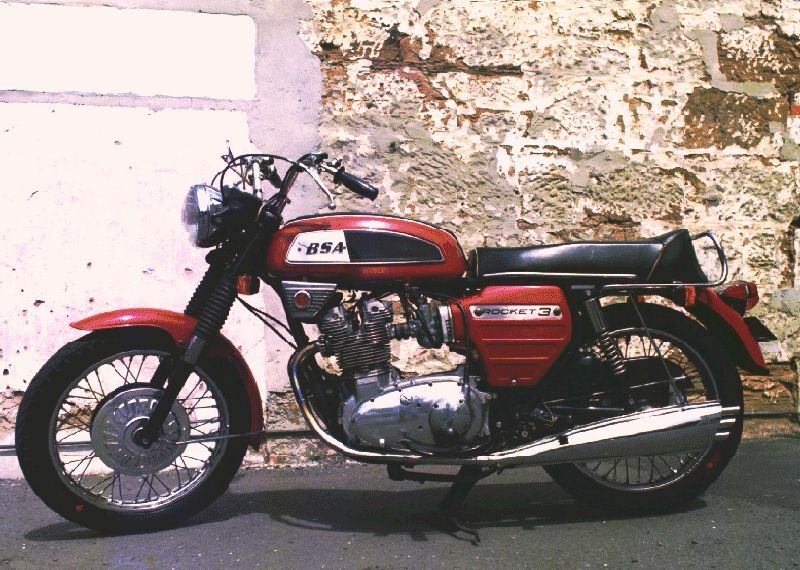 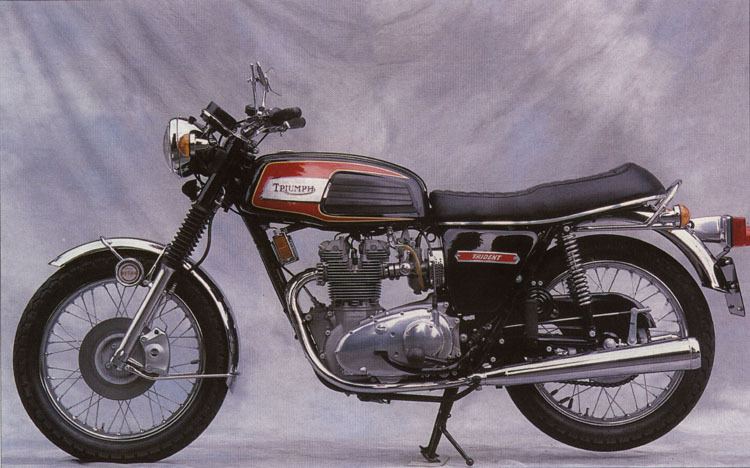 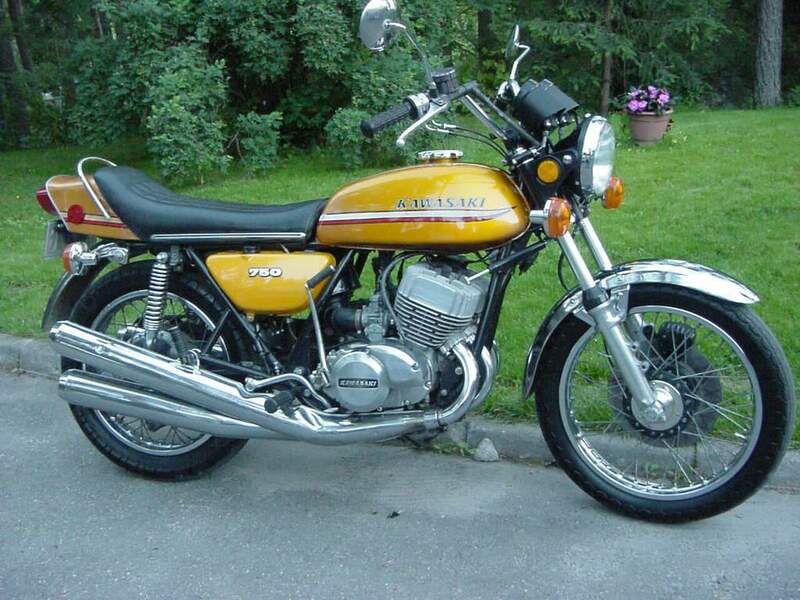 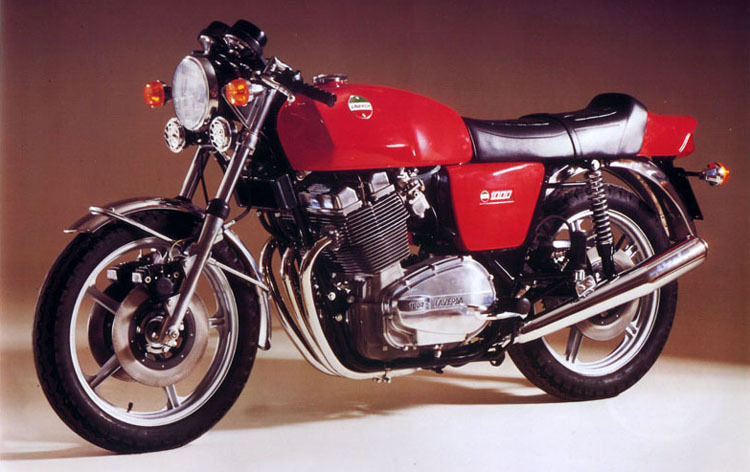 Italjet, well-known for its small-engined bikes, had carried out in 1968 a 650 with a Triumph T120 engine. 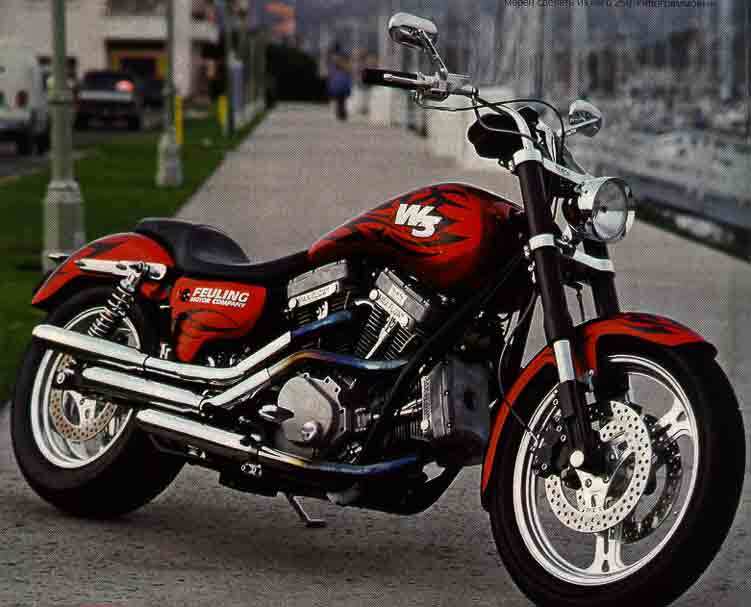 This is what the 2000's Grifon look like. 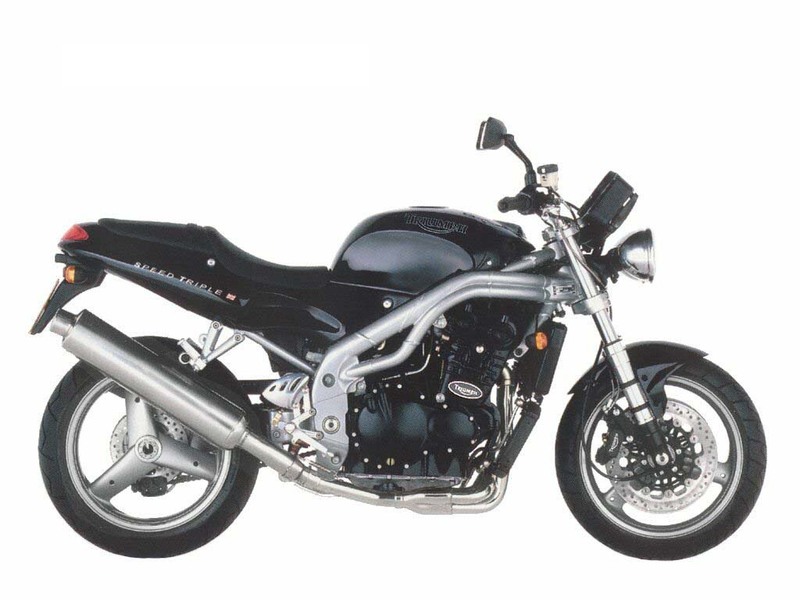 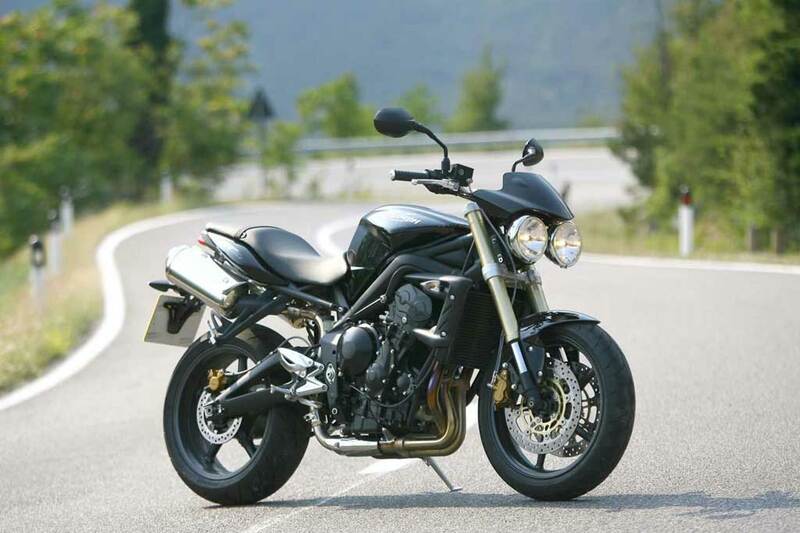 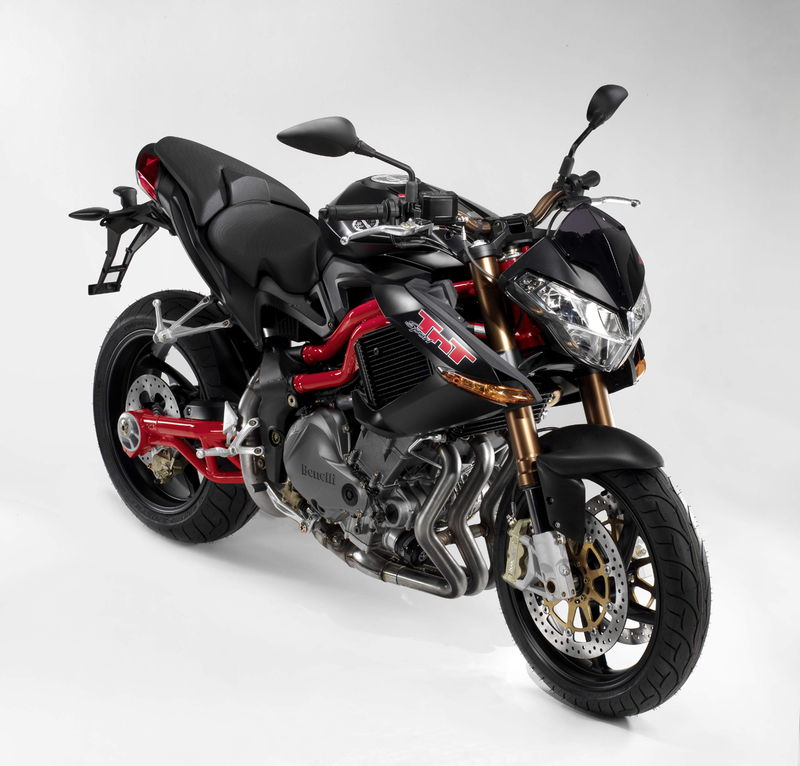 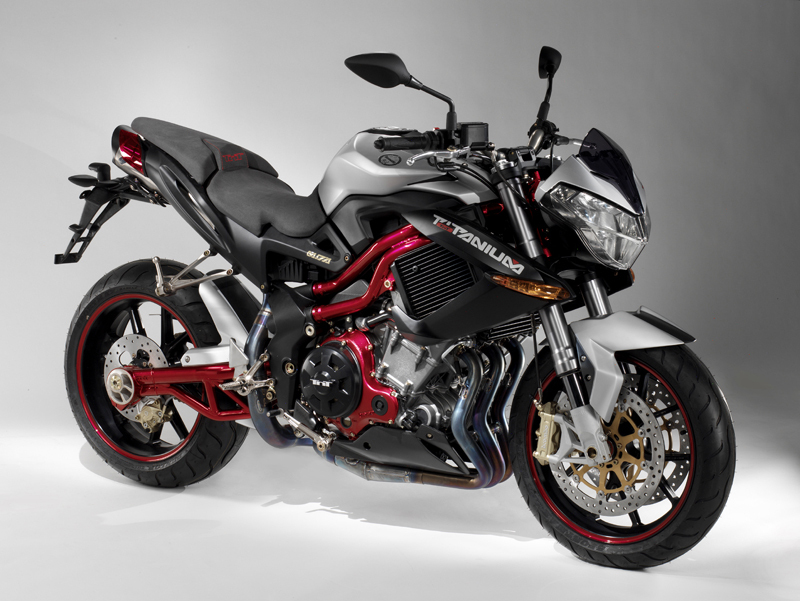 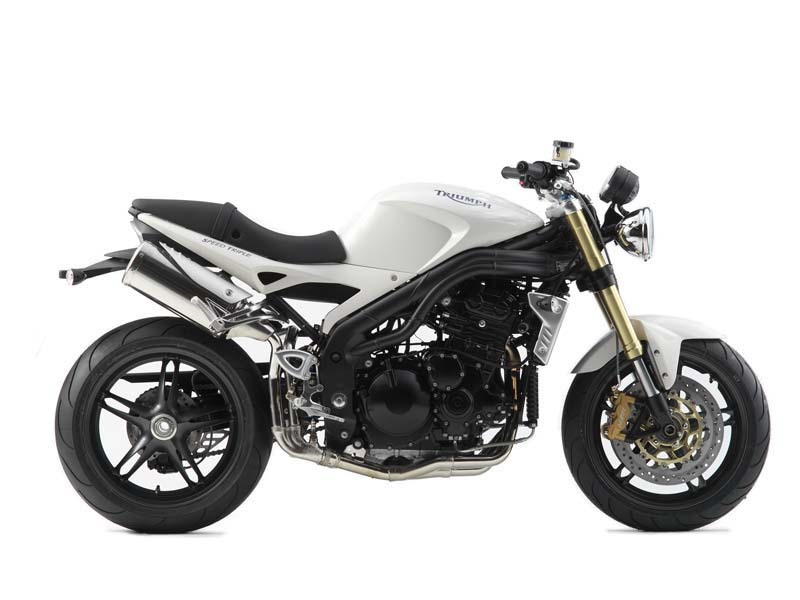 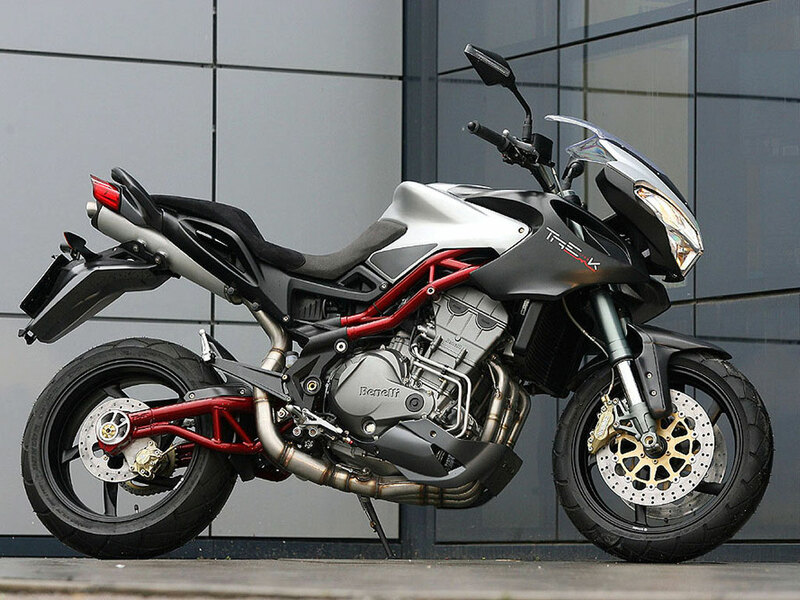 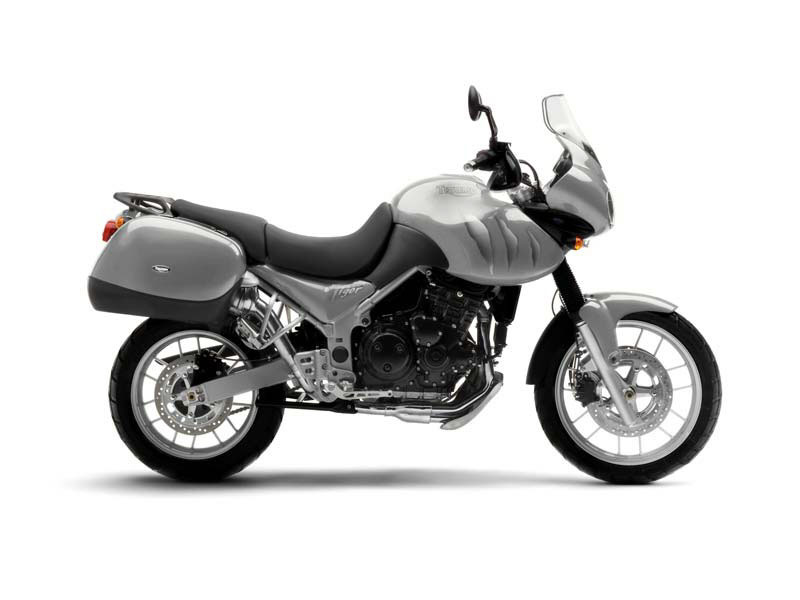 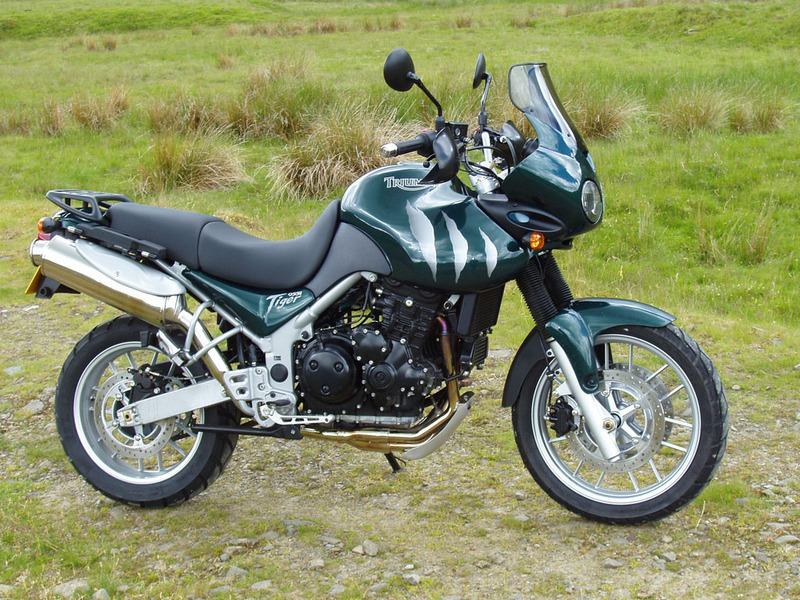 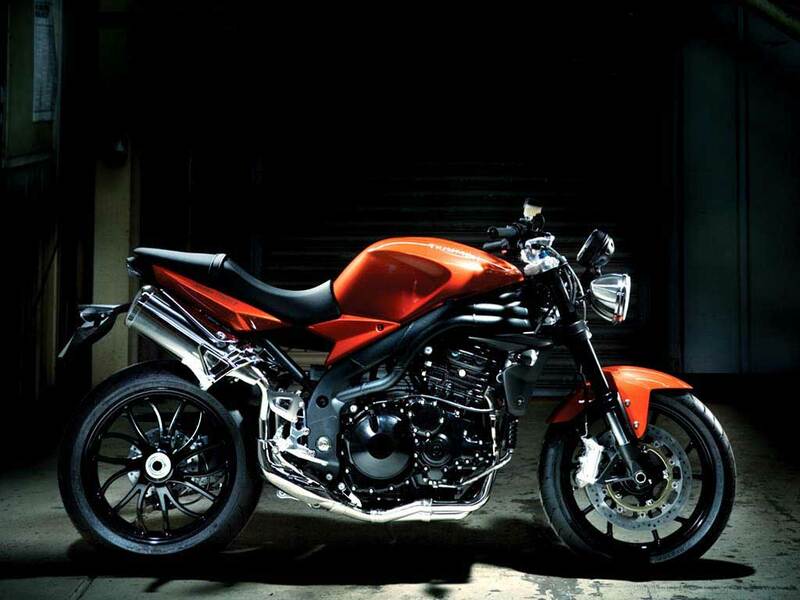 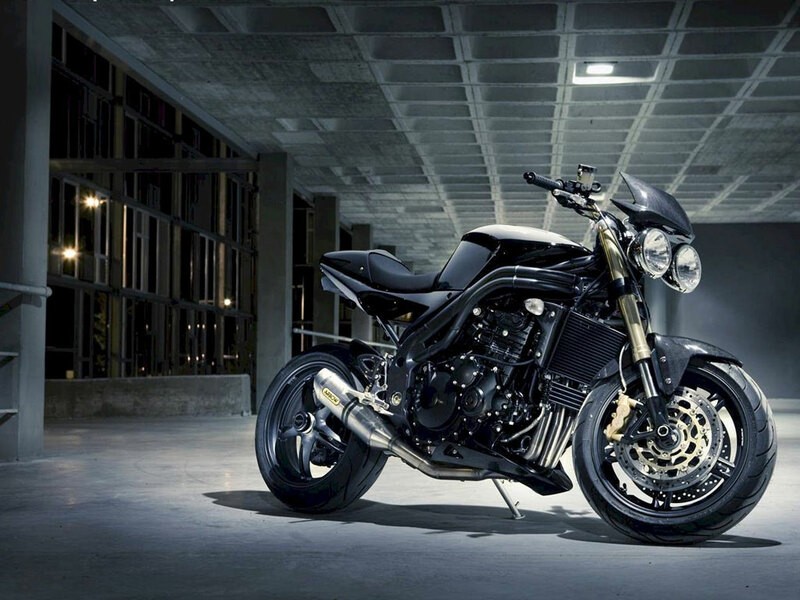 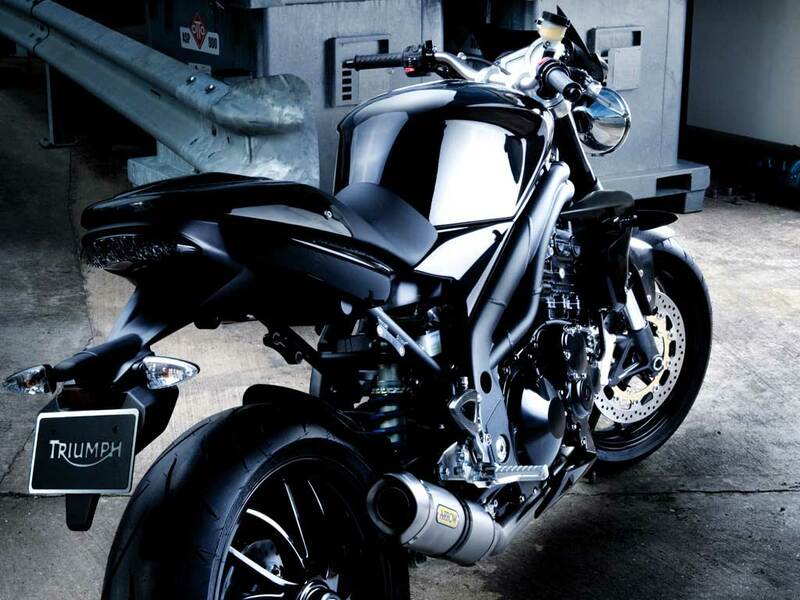 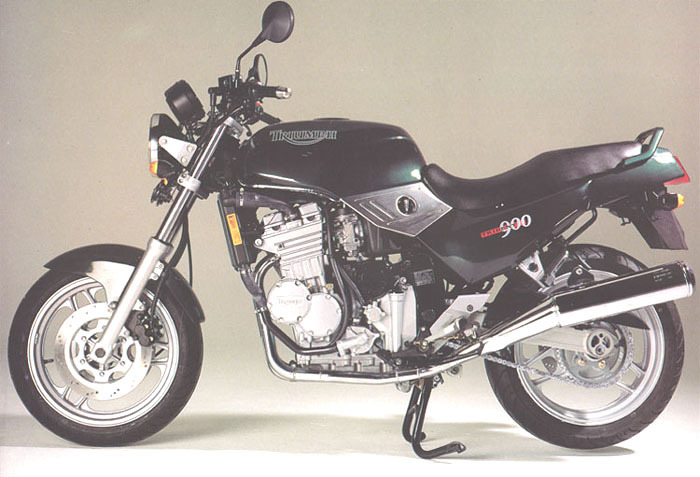 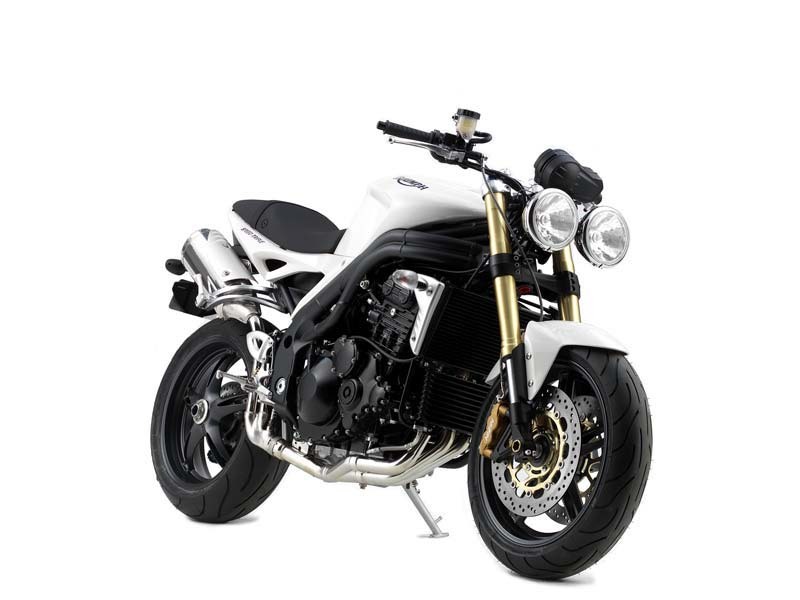 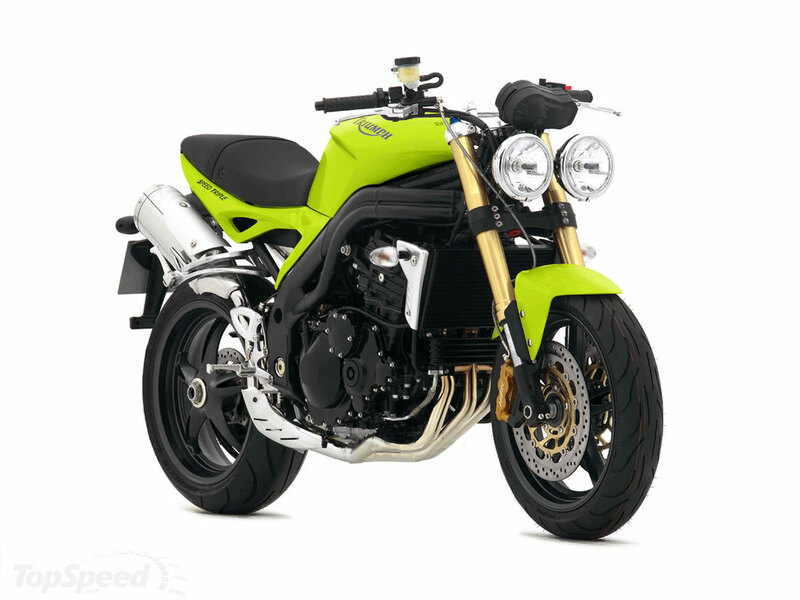 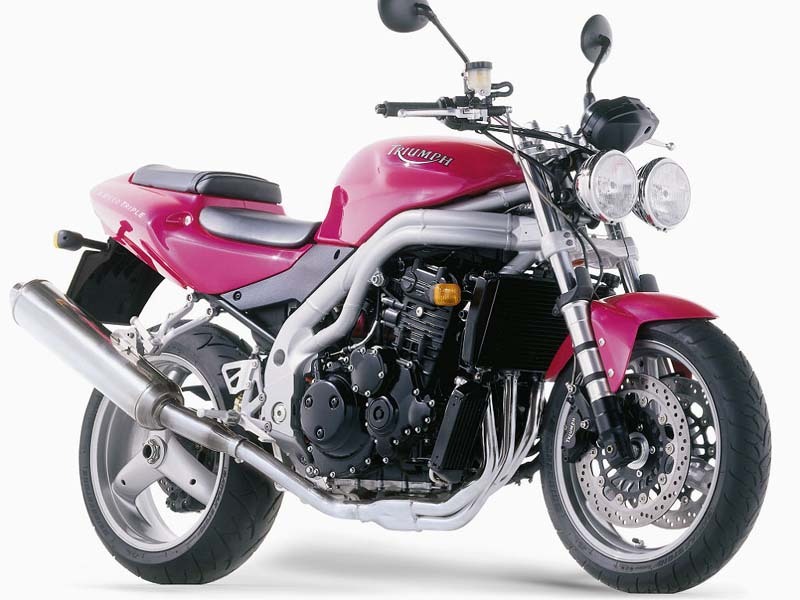 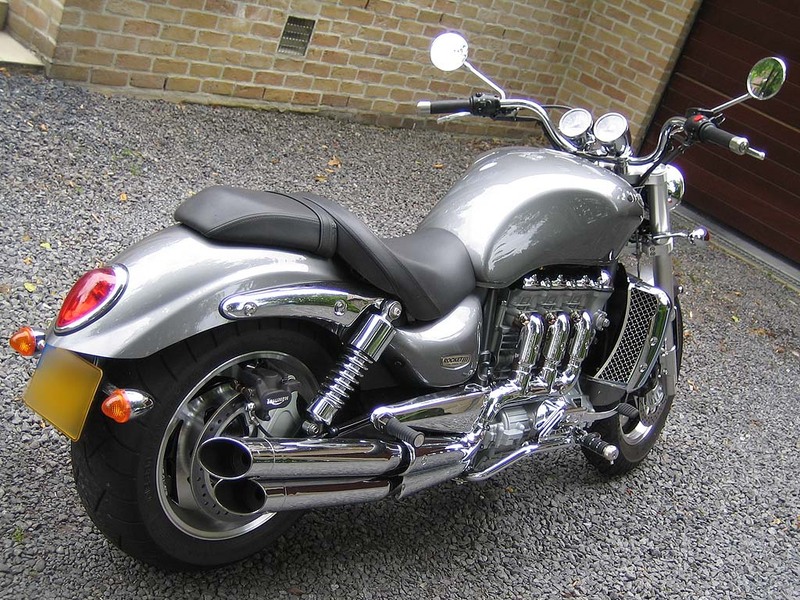 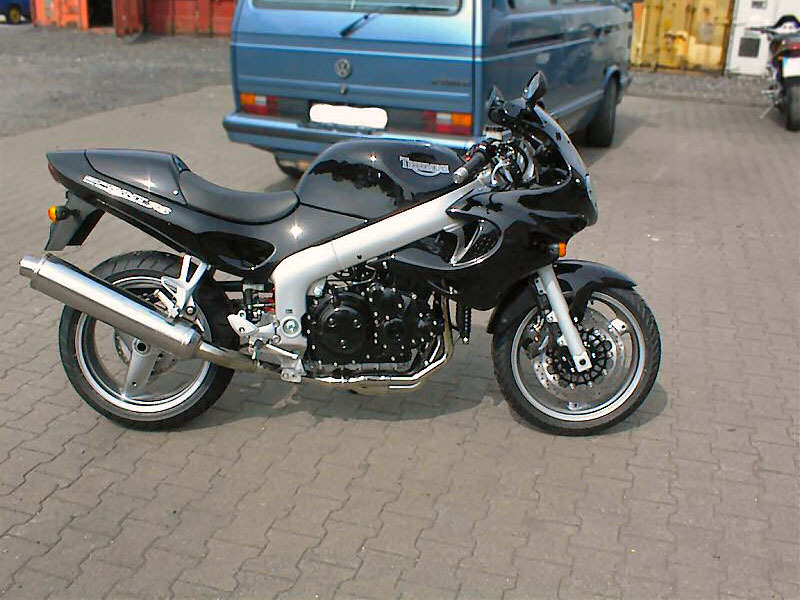 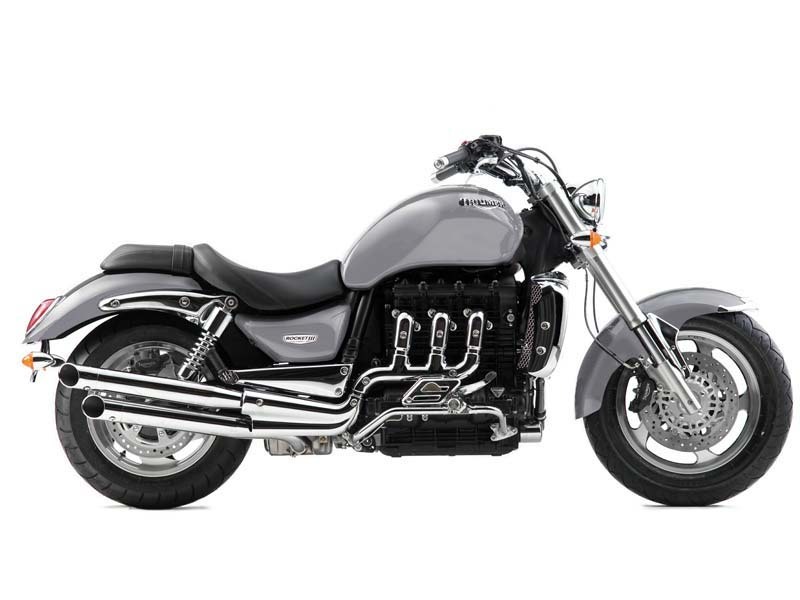 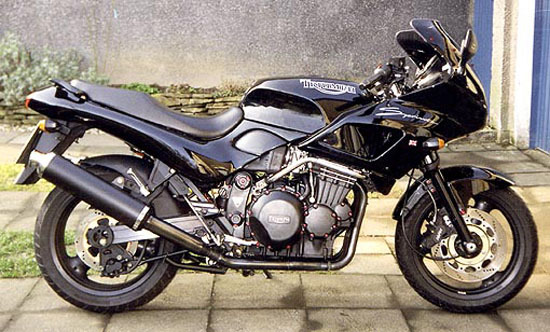 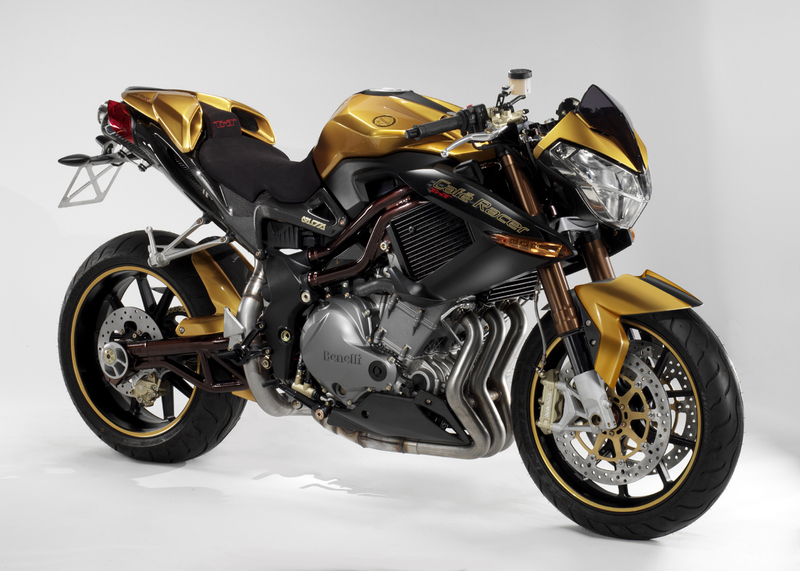 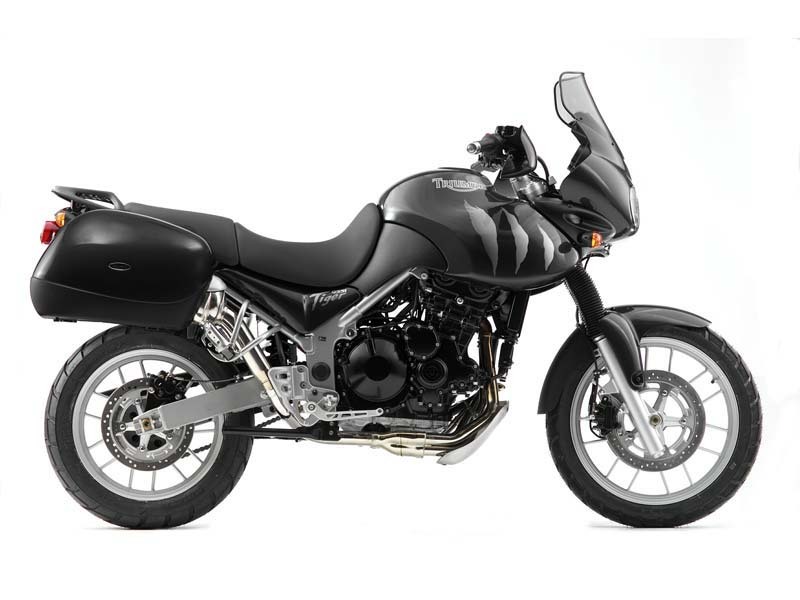 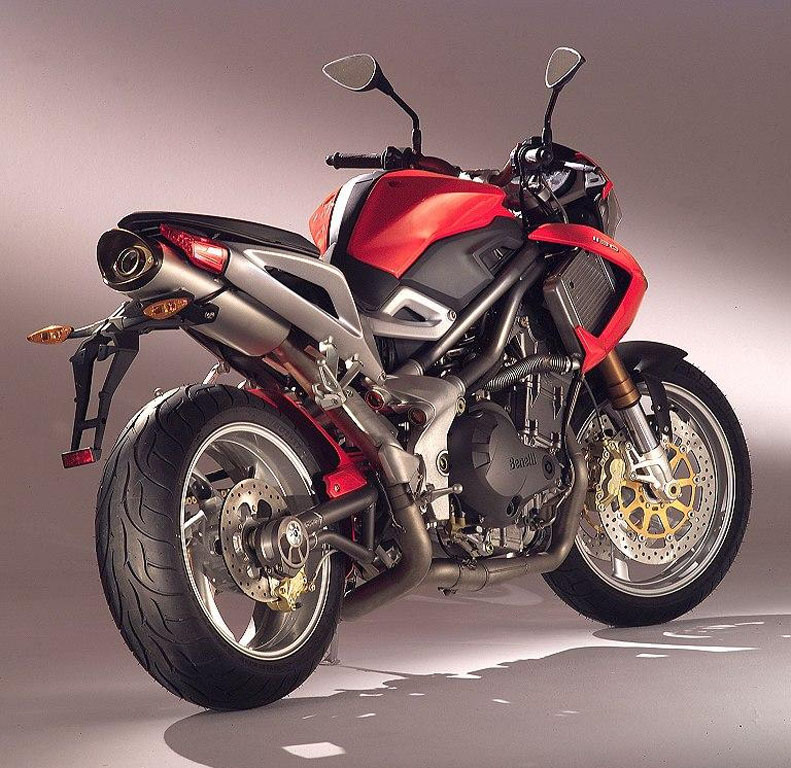 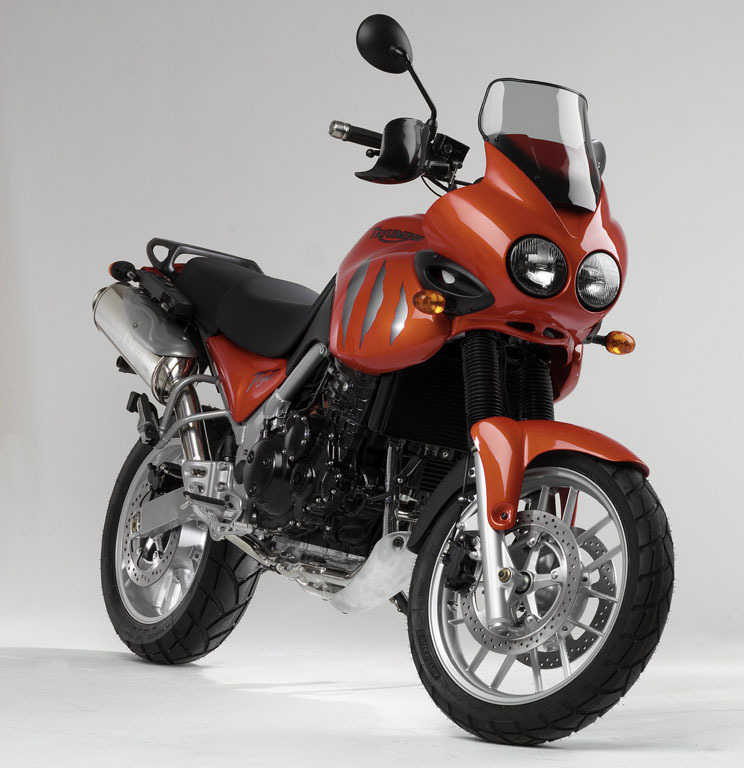 This bike, with a Triumph 900 Trident engine, should have be built by Bimota. 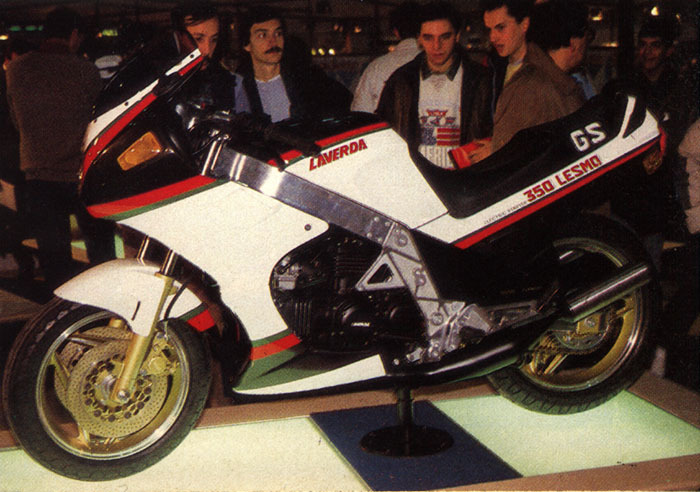 Their liquidation, probably, took this project to an end. 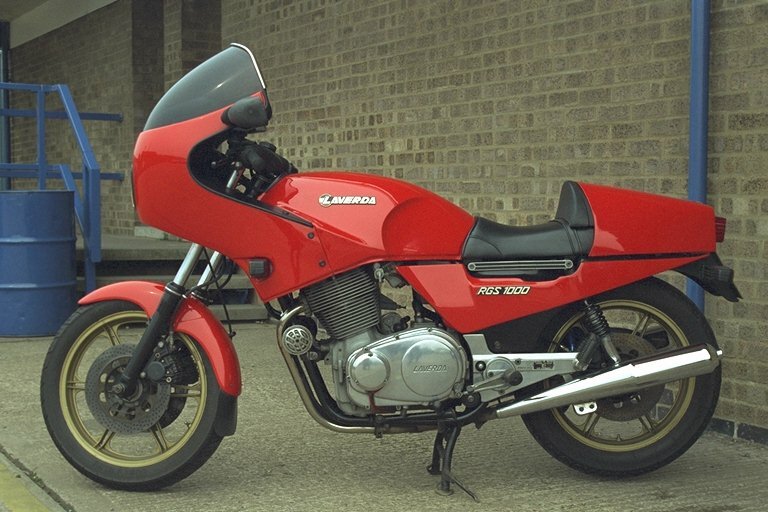 Personally, I do not regret it ! 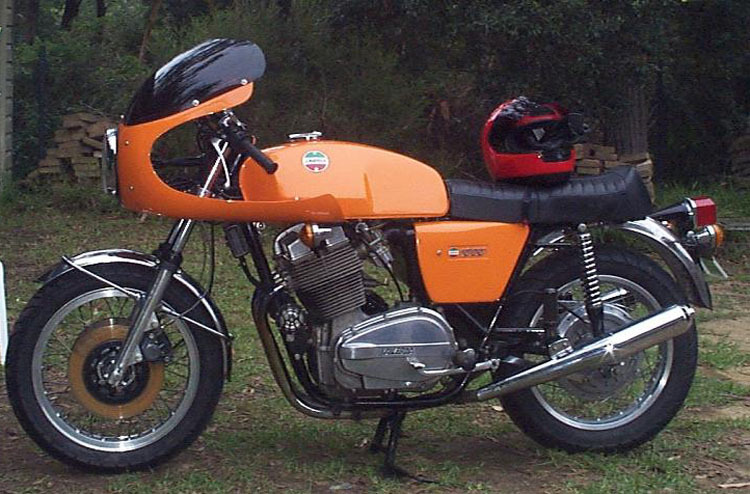 Here is the prototype of the Laverda 1000 cm3 showed in Milan in 1969. 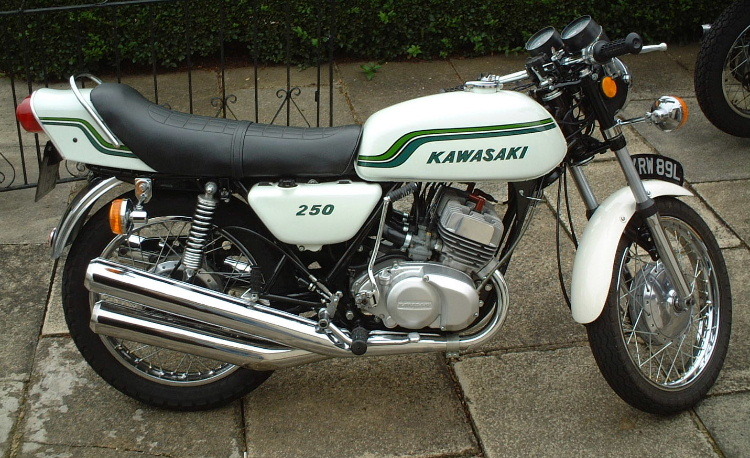 It is only here an OHC engine, a kind of 750 with one more cylinder. 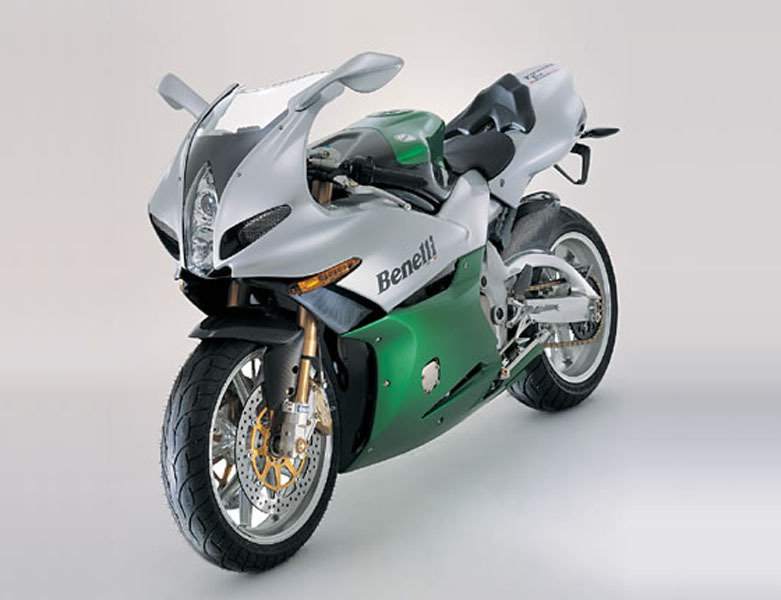 This motor bike created sensation, but has been expected for a long time. 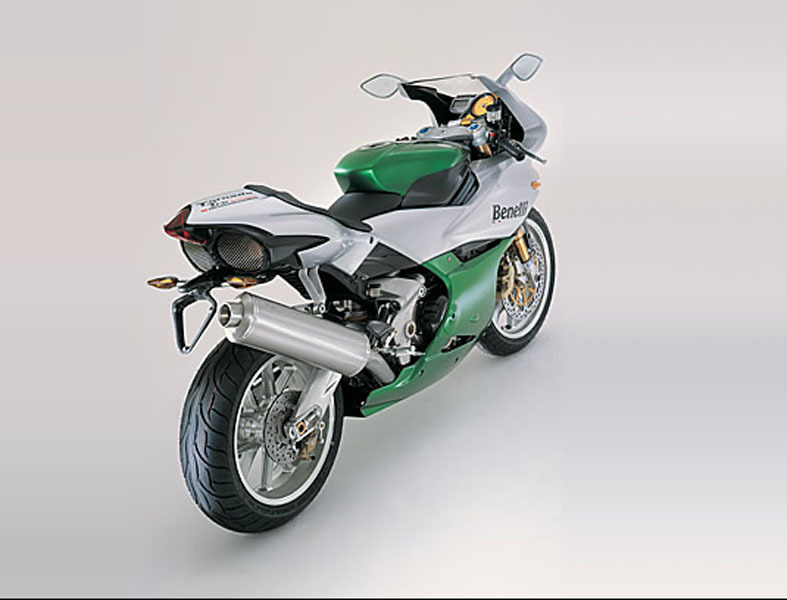 This BSA ROCKET 3 with a single overhead camshaft was showed at "Moto-Salon" 2000. 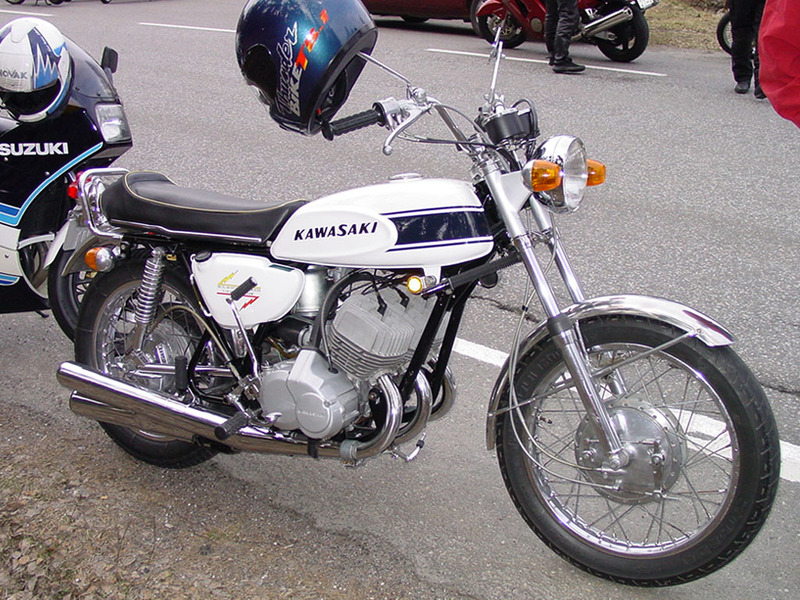 This prototype was realized by the factory in 1973. 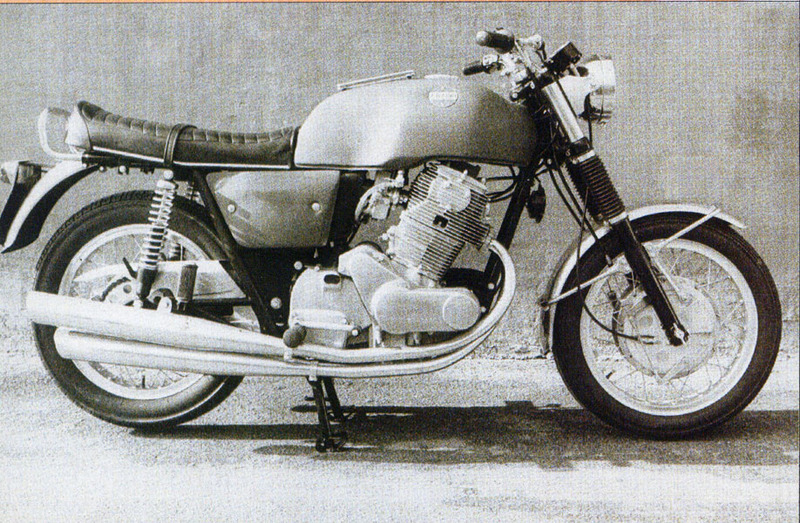 Münch-3 is a prototype with a 3 cylinders 2-stroke 700 cm3 engine which never was finished and, of course, never sold. 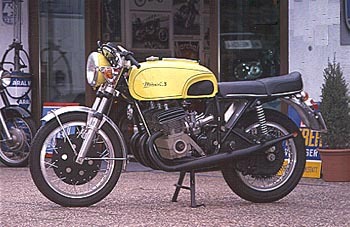 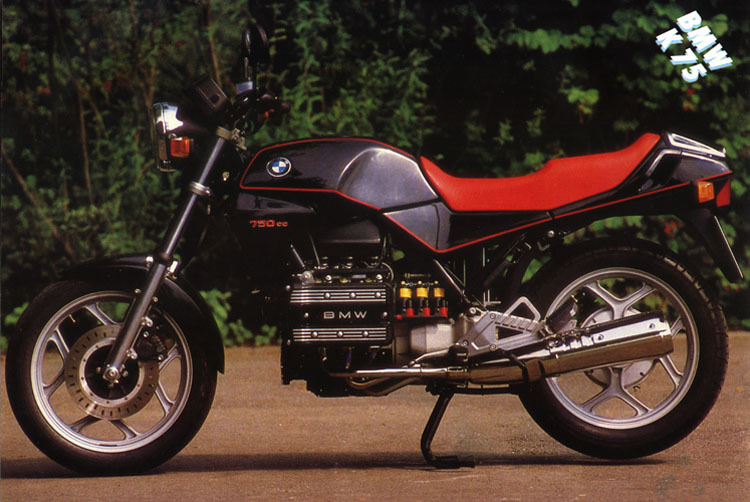 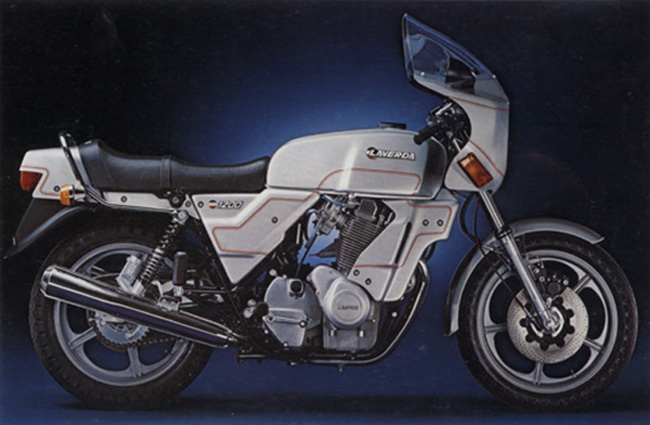 Guzzi Prototype 3 cylinders 992 cc engine by Lino Tonti in 1981/82 code : W 103. 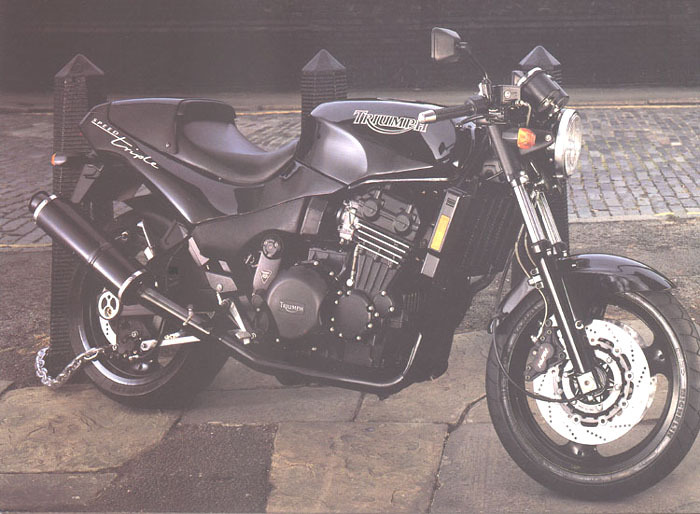 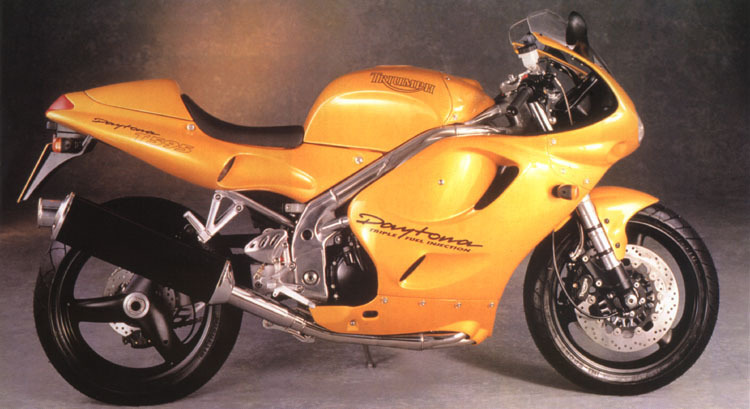 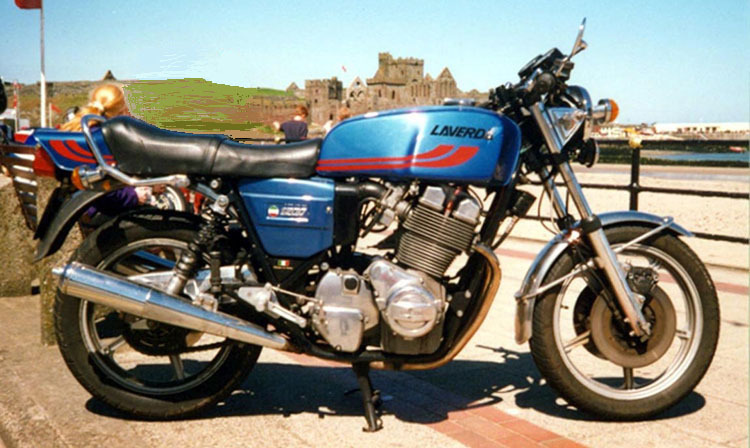 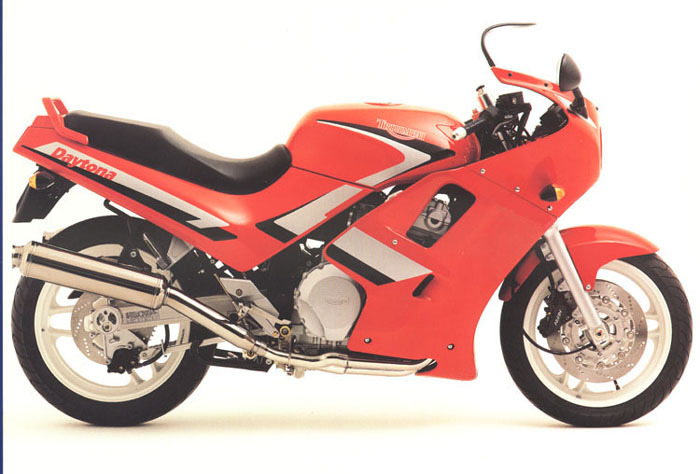 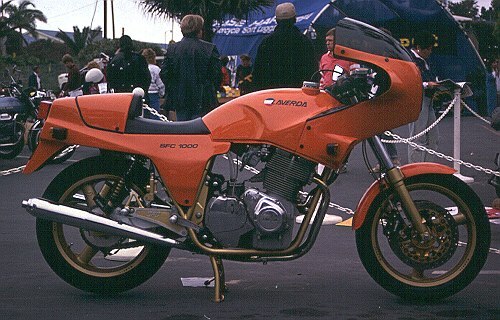 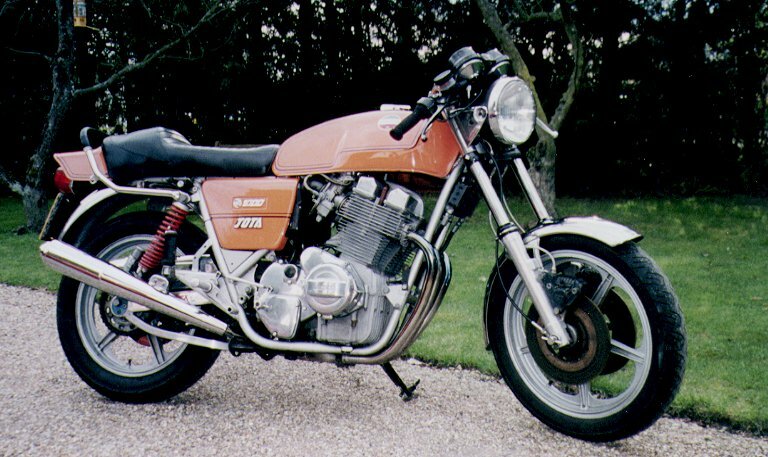 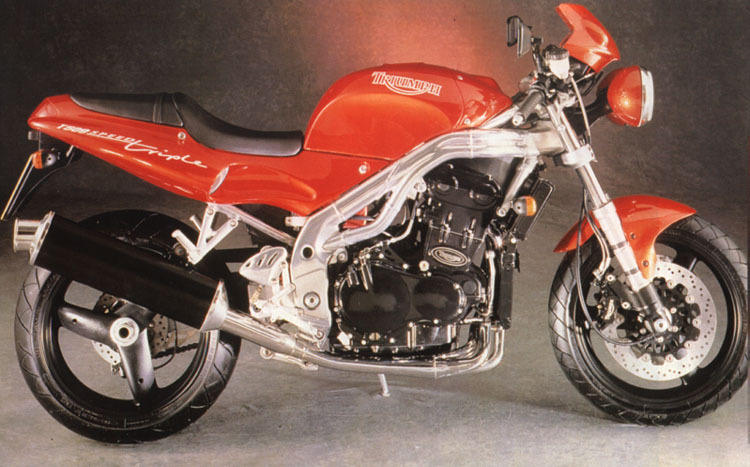 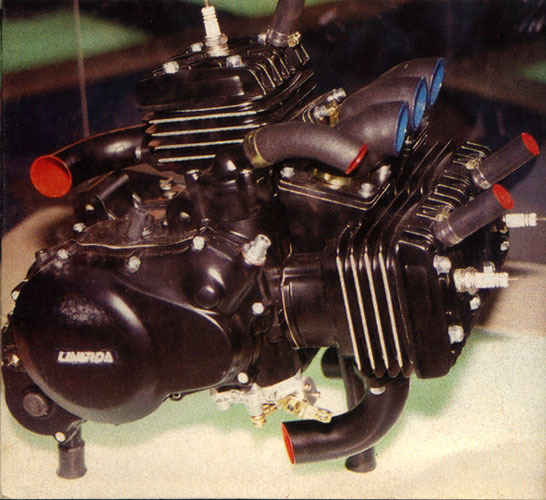 Laverda 900 prototype engine, carried out in 1998 before the buy-out from Aprilia. 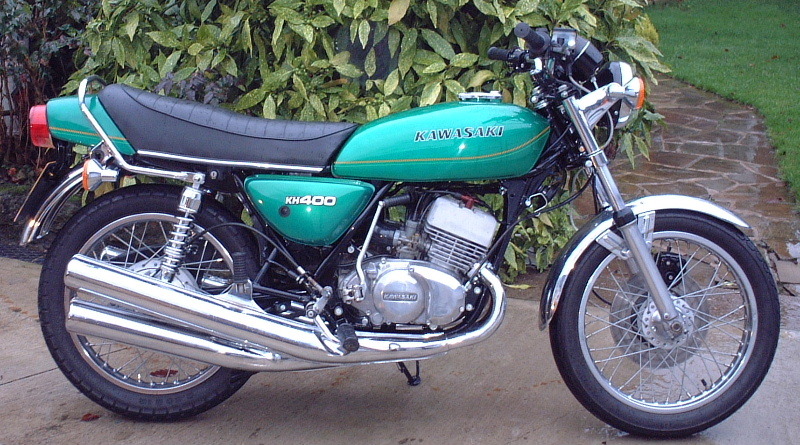 To note down, the compact size and the very modern design. 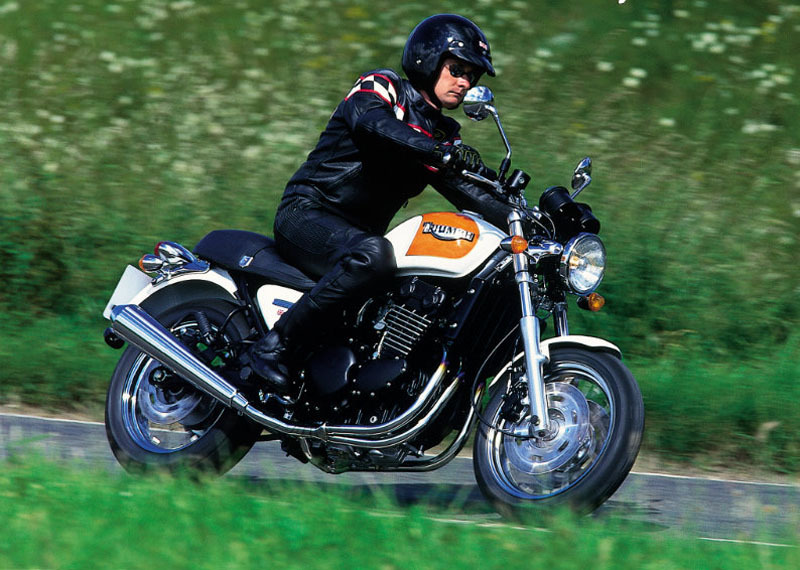 - Conception : Prof. Newton Williams de Derby dans le Connecticut. 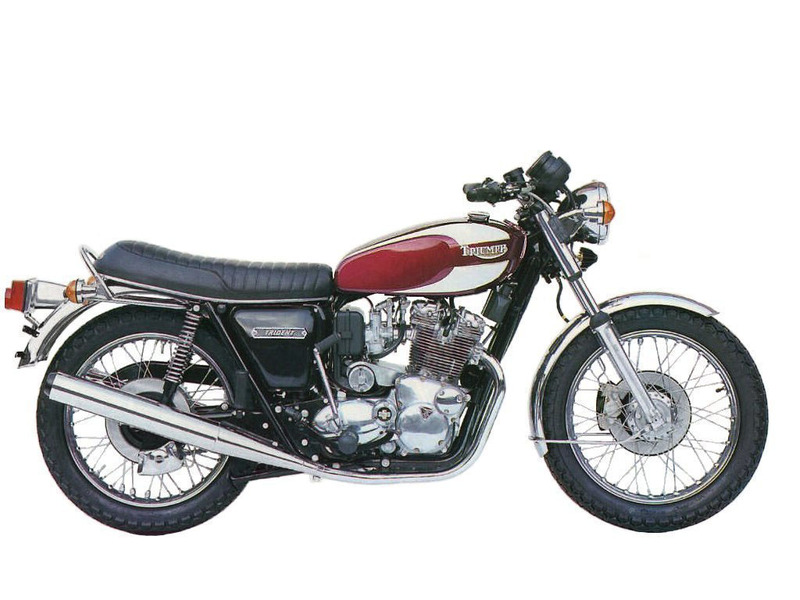 - Conception : Prof Newton Williams from Derby Connecticut. 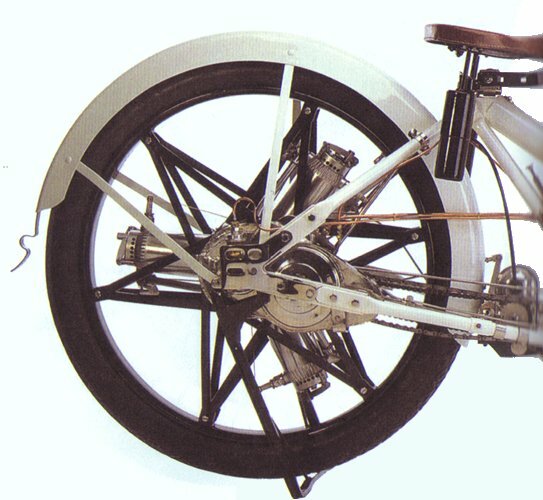 The engine turns at the same time as the wheel. 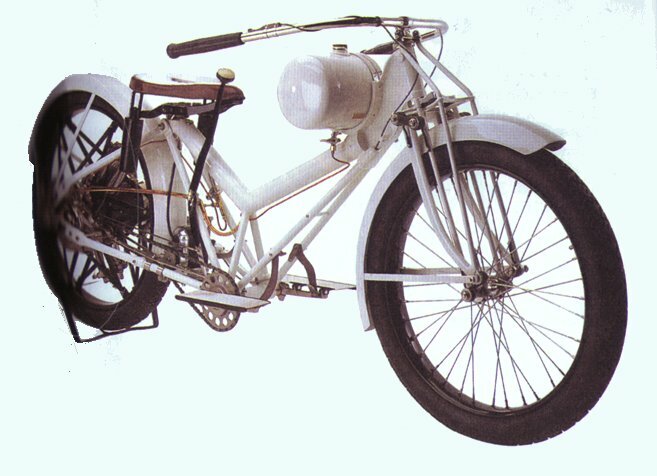 It was initialy conceived to equip a helicopter and then was adapted on a motor bike. 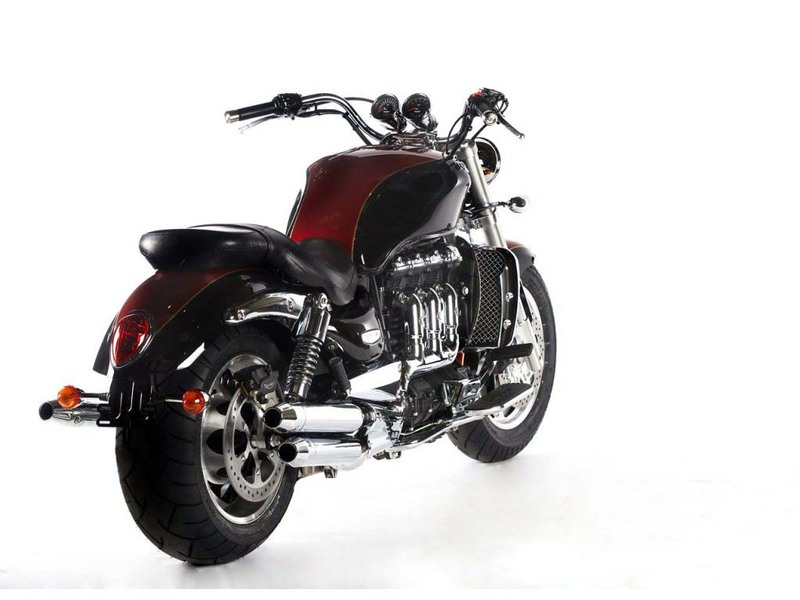 It is equipped with three " valves ", the admission one is integrated into the piston, the exhaust one allows gases to leave through holes in the cylinder head and the third one controls the air-gas mixture. 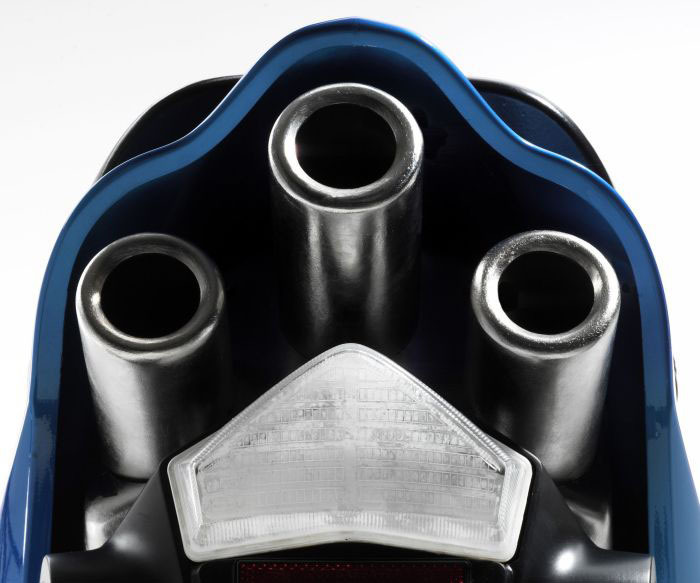 (By "valve", understand "port" rather than "valve"). 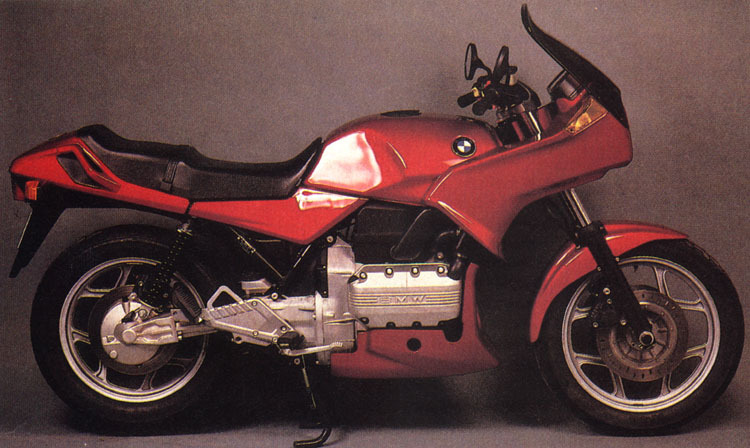 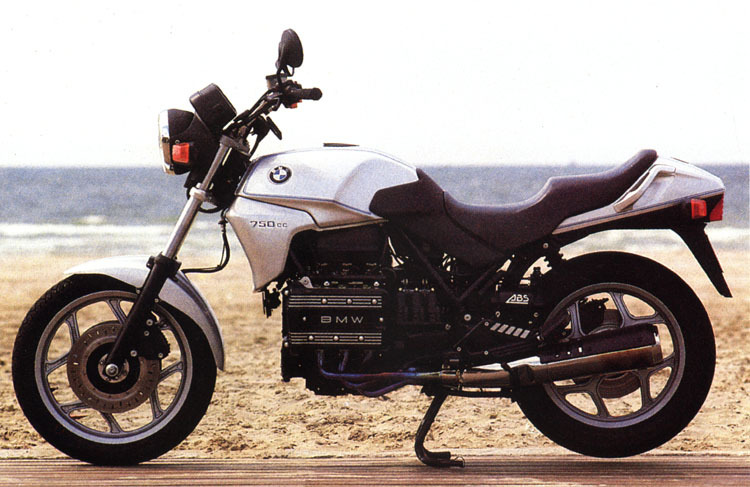 4 prototypes were built, but apparently the bike was never marketed. 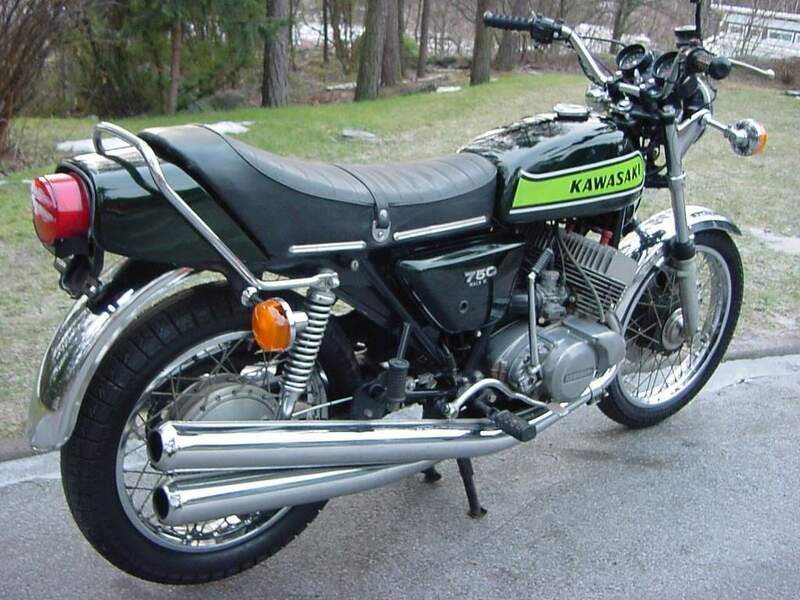 Only one still exists, it belongs to Jim Dennie in New York. 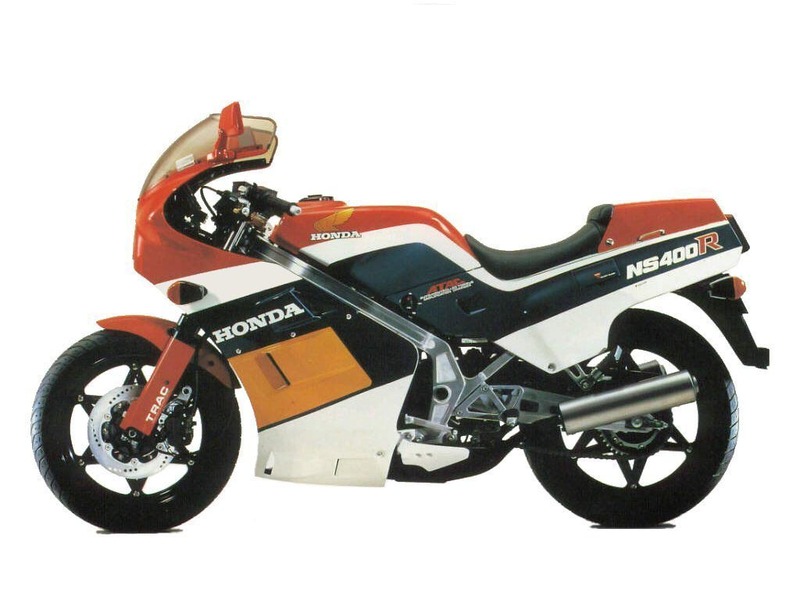 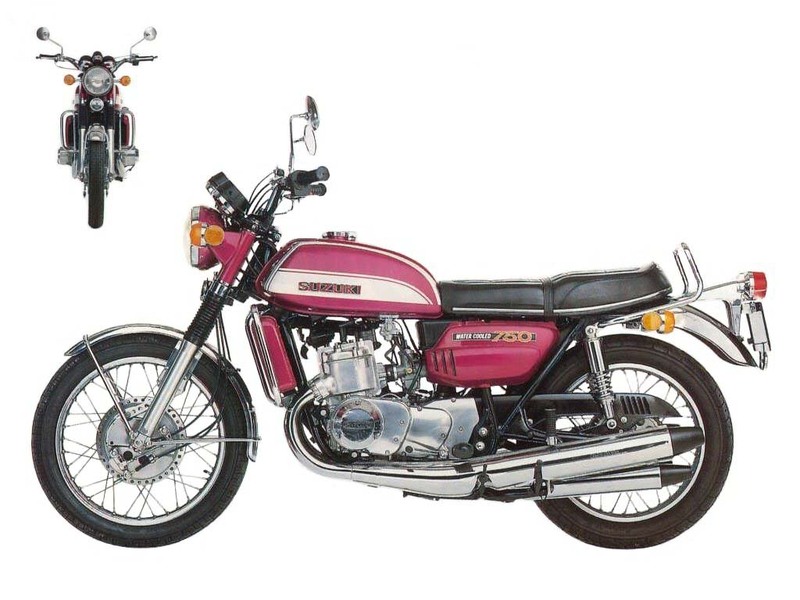 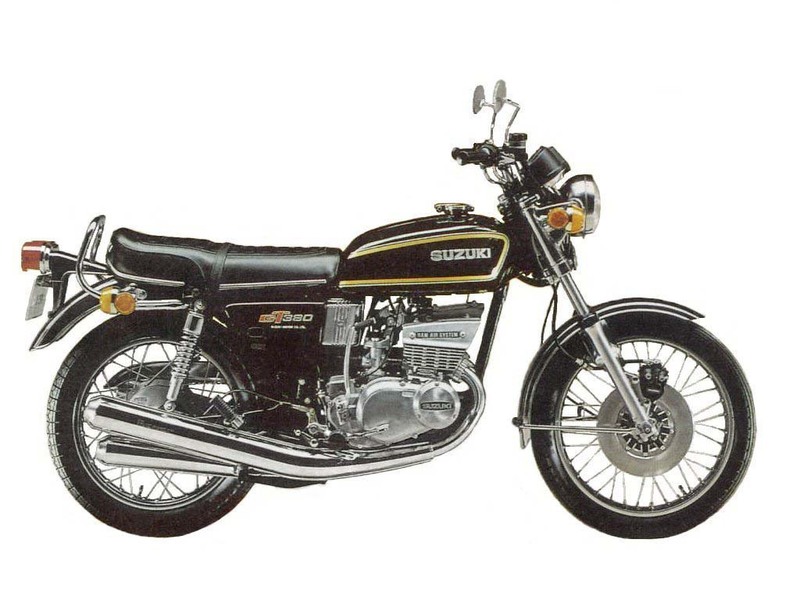 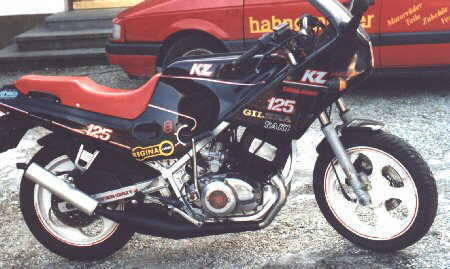 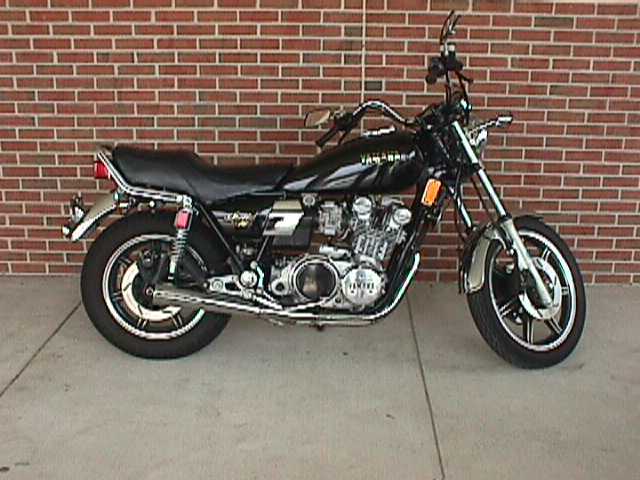 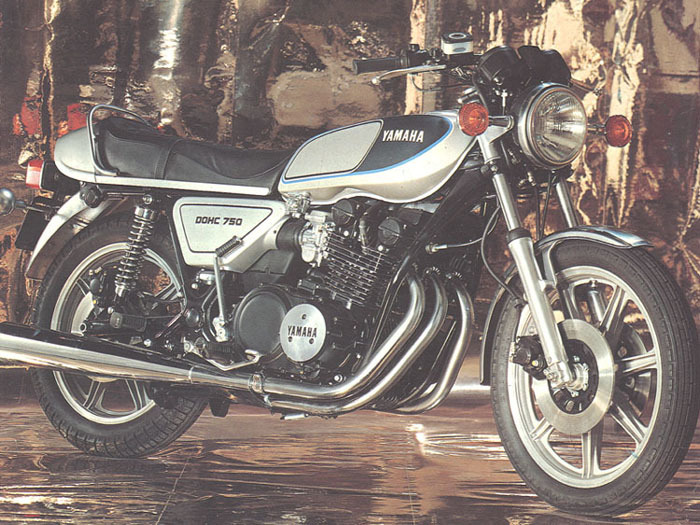 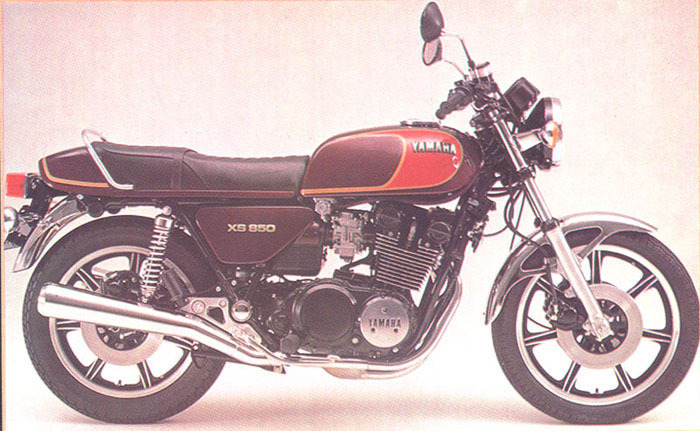 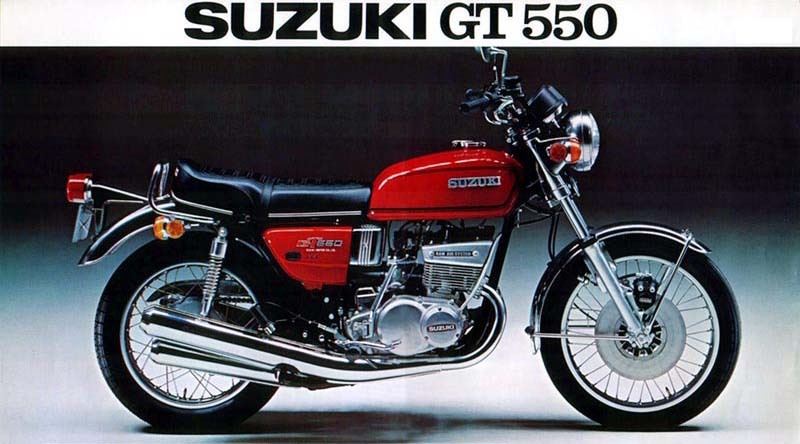 Here is, in a way, the ancestor of the Kawasaki 3 cylinders 2 stroke. 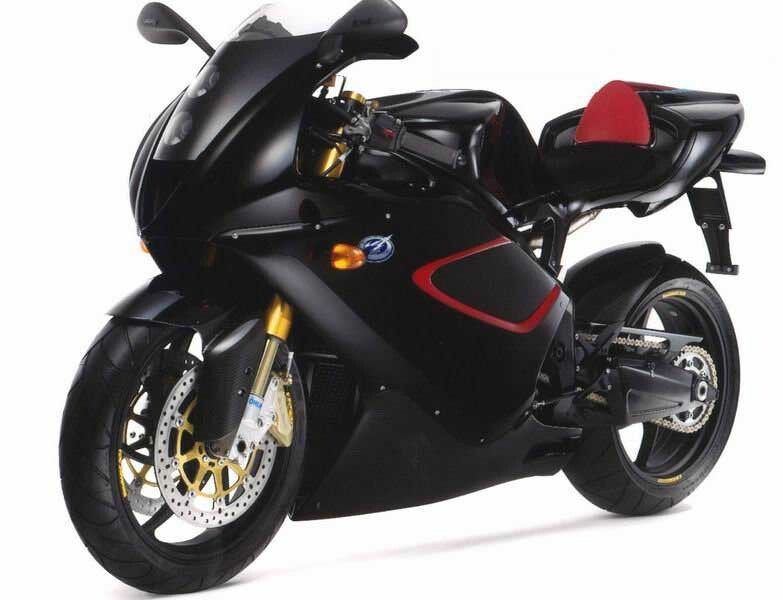 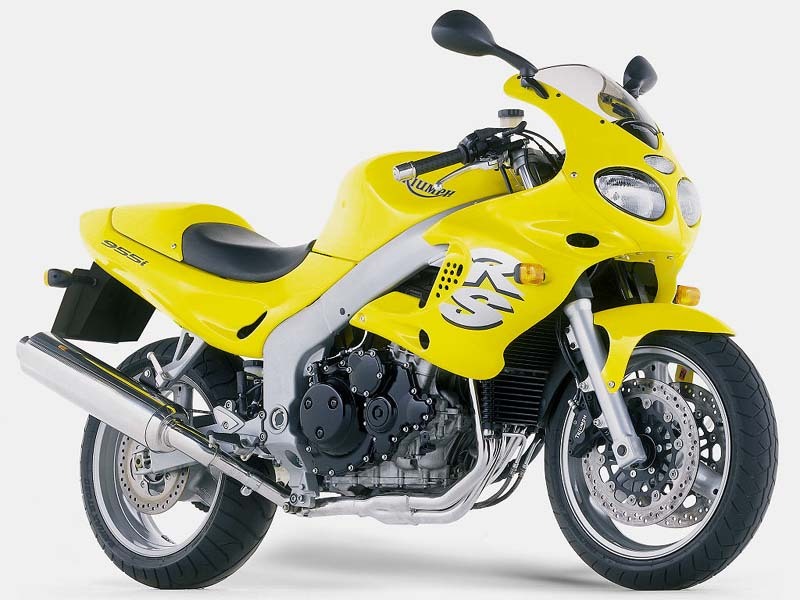 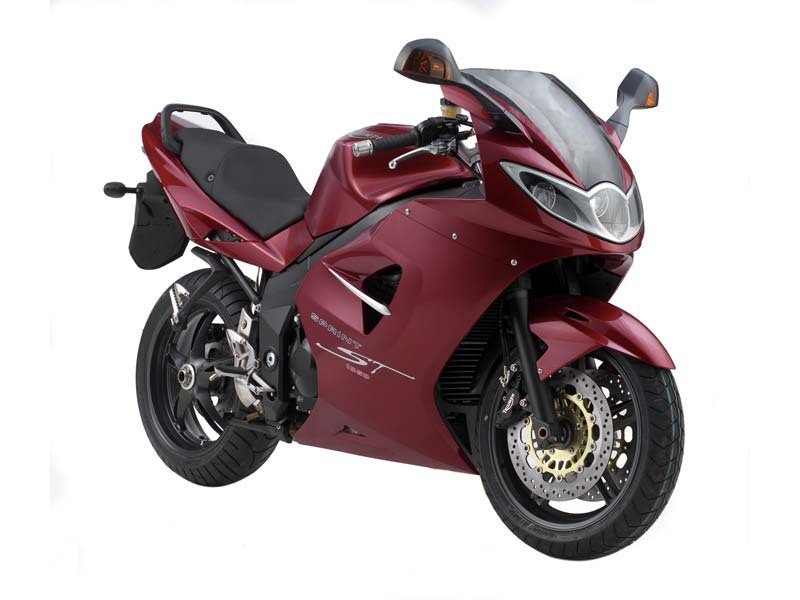 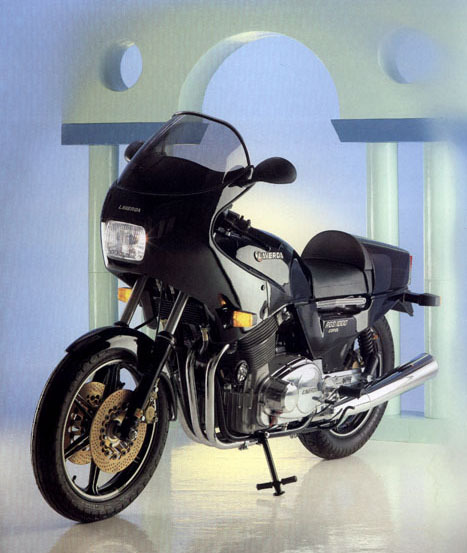 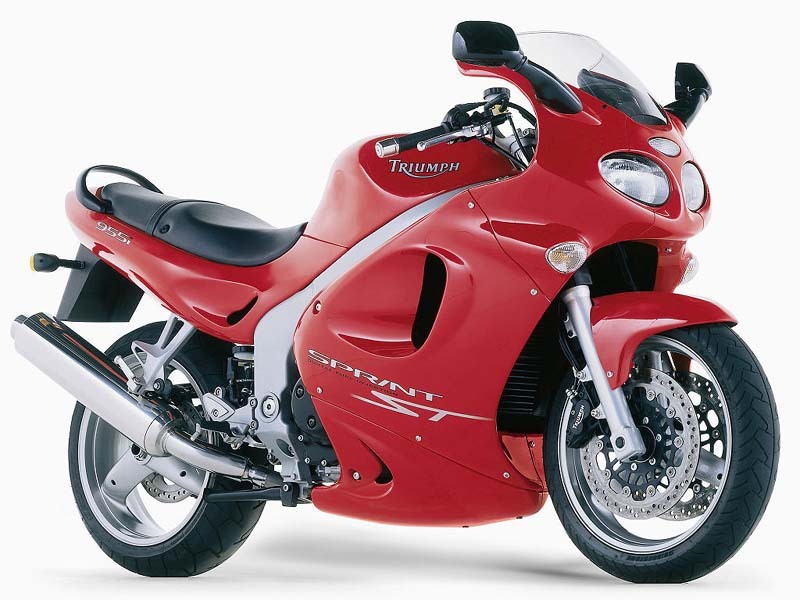 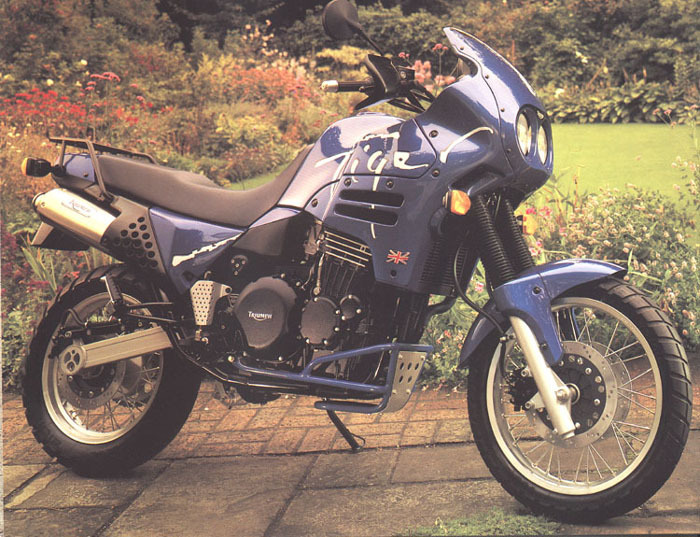 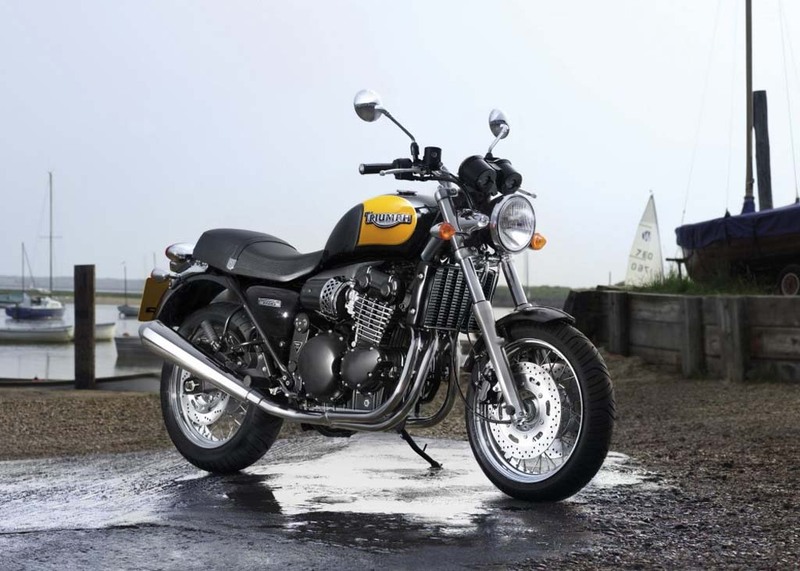 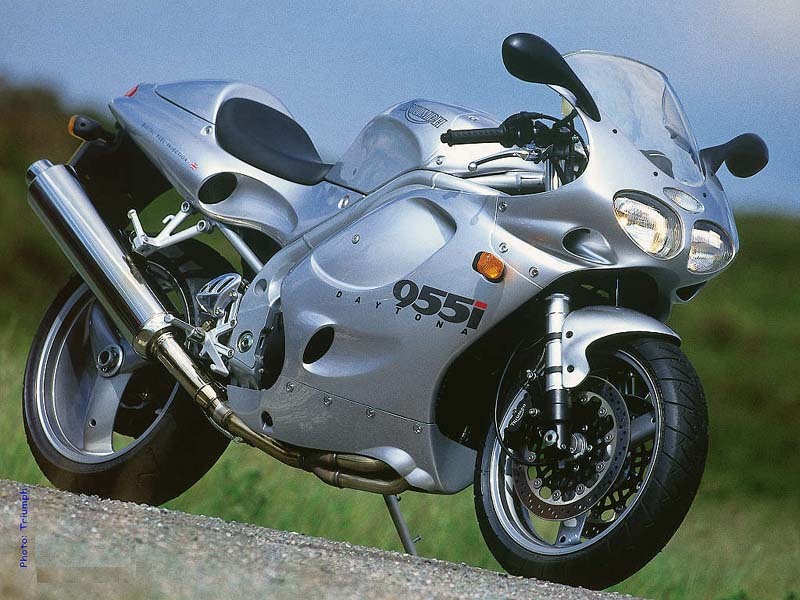 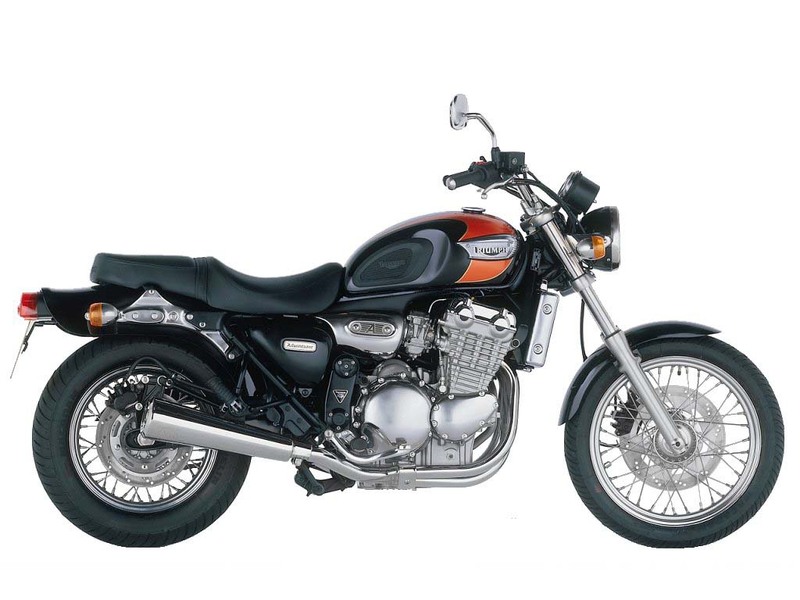 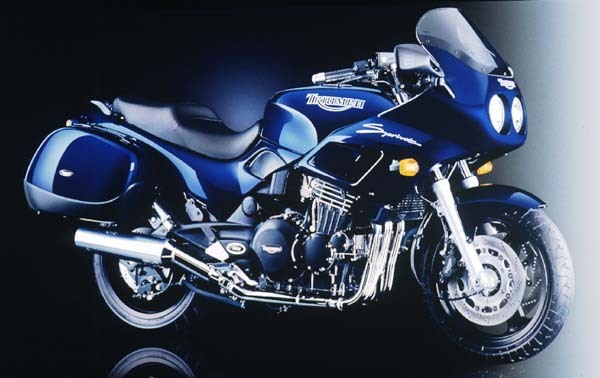 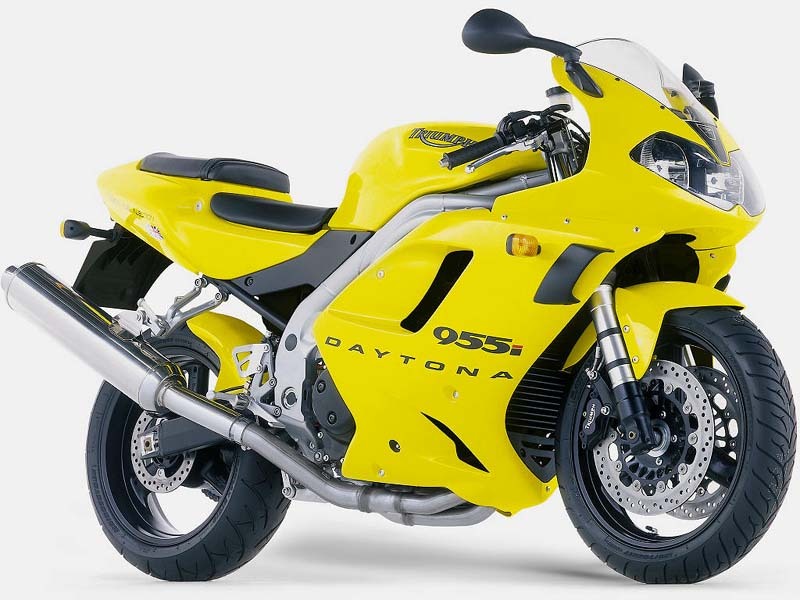 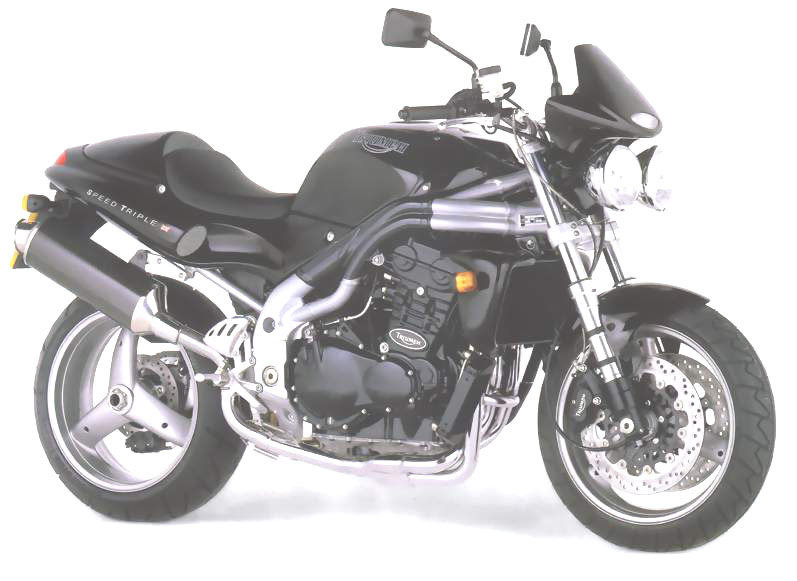 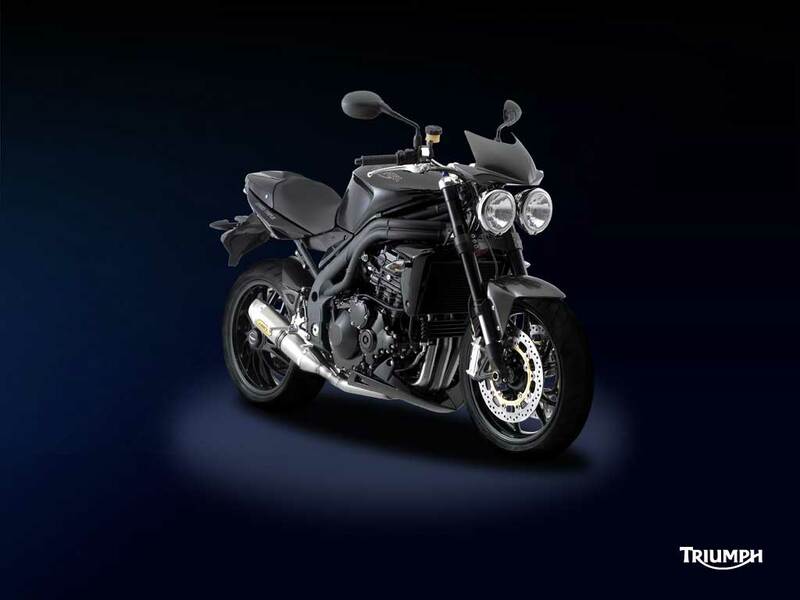 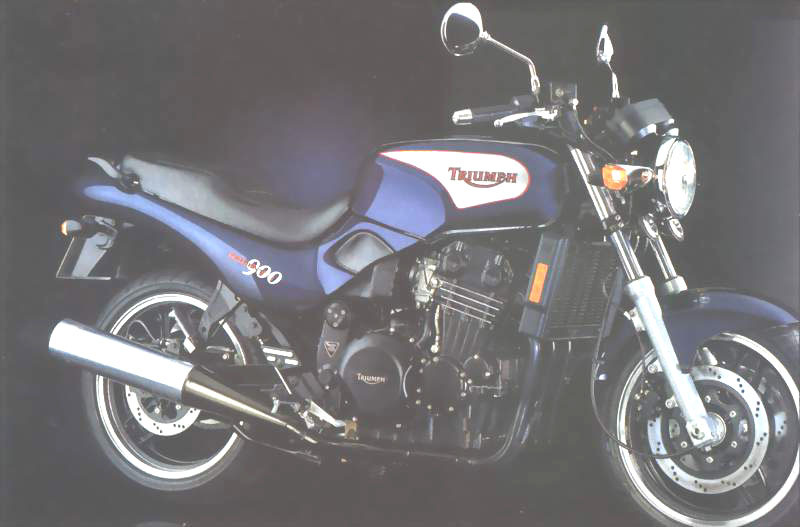 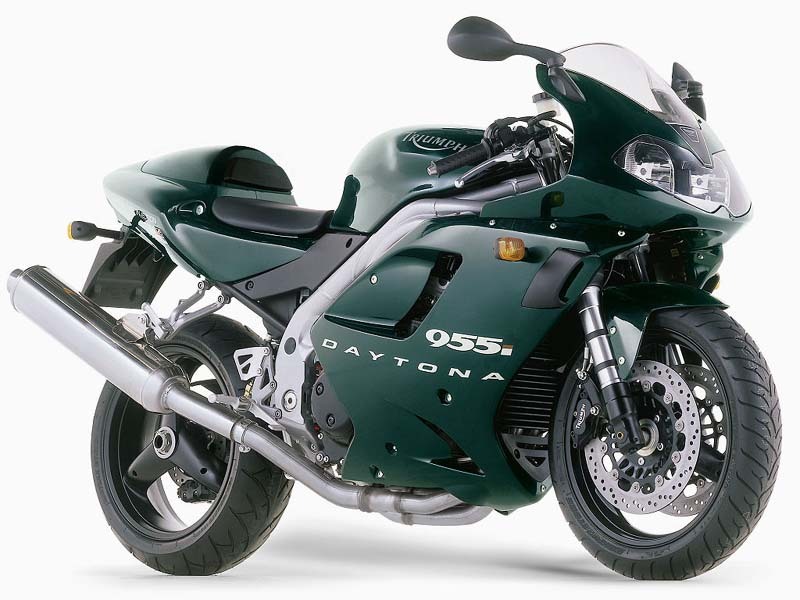 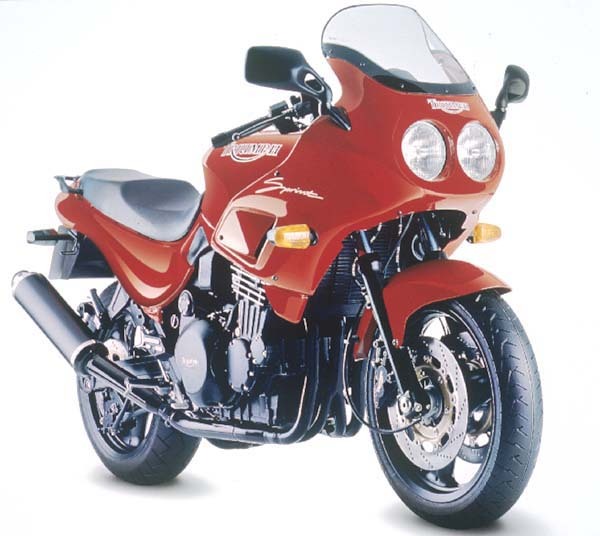 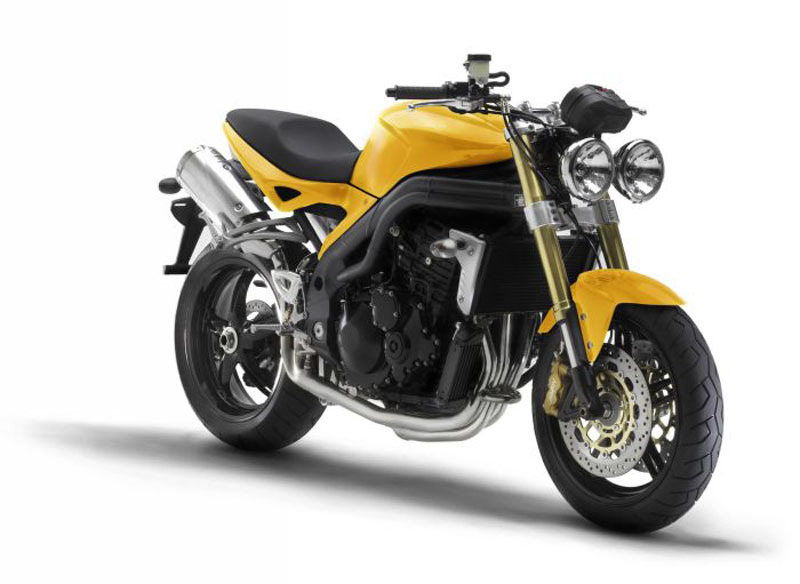 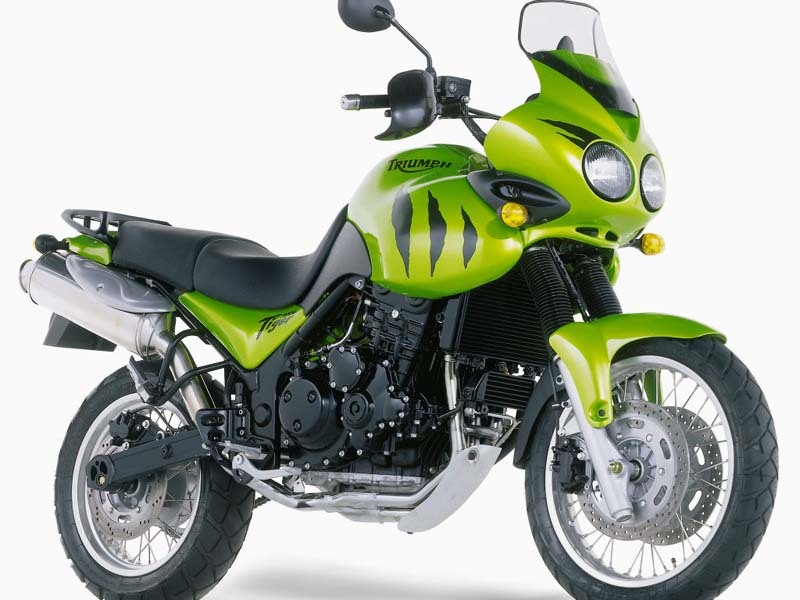 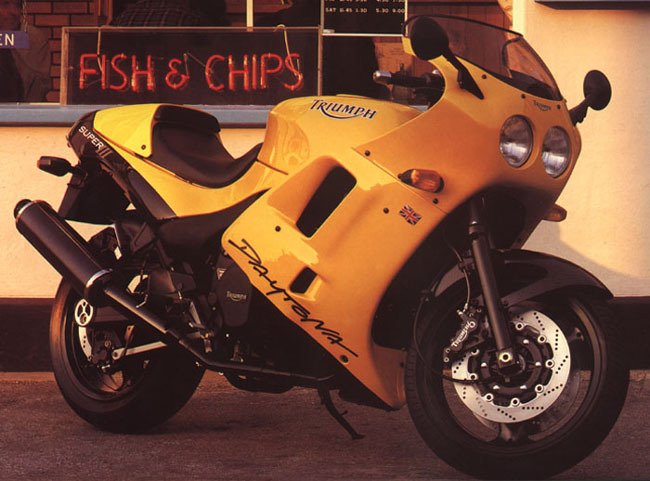 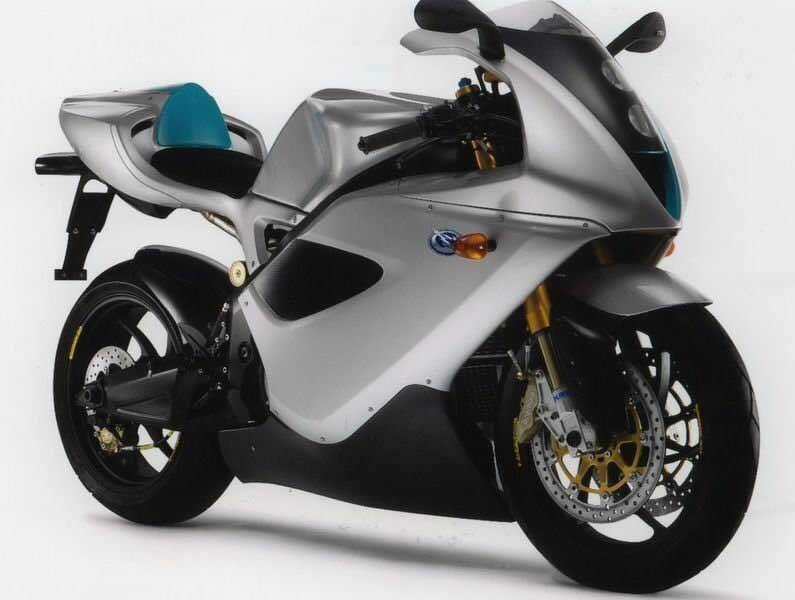 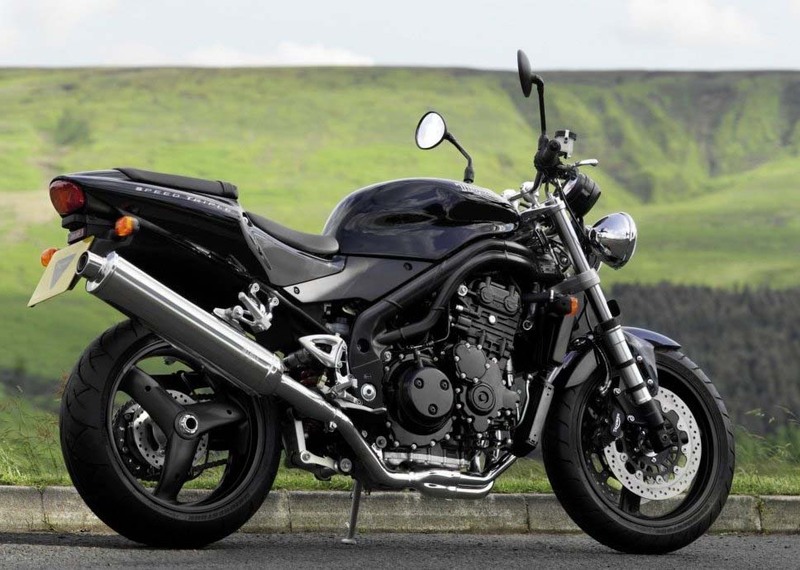 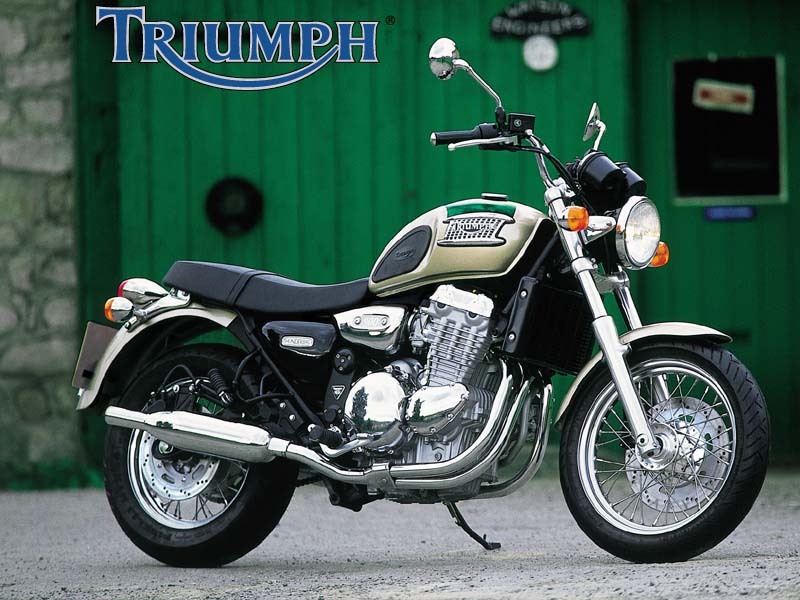 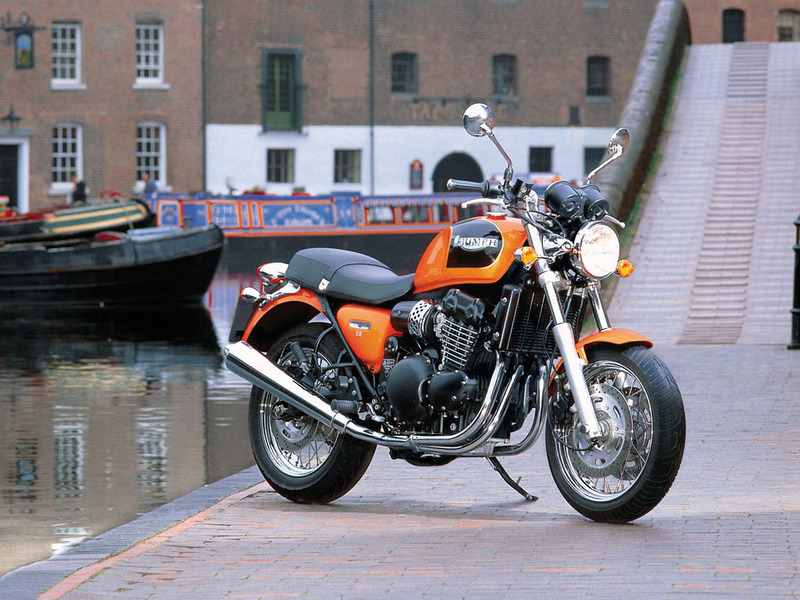 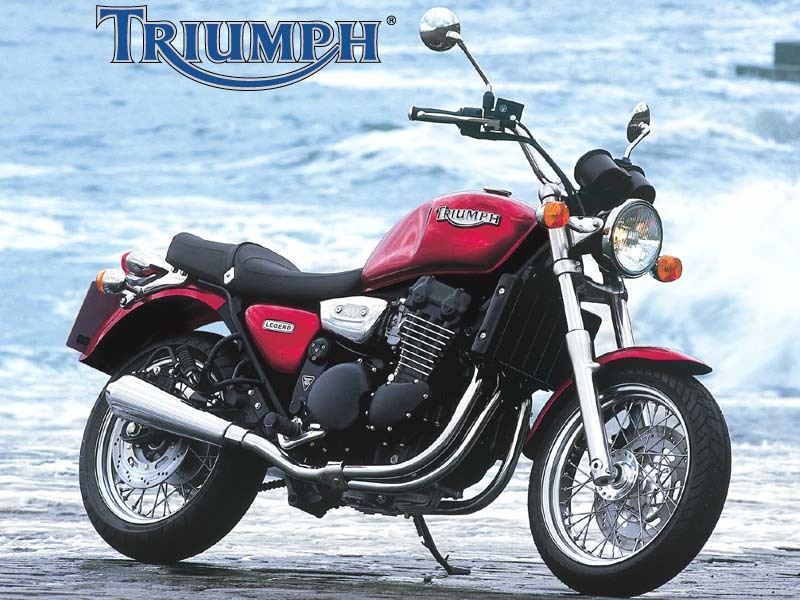 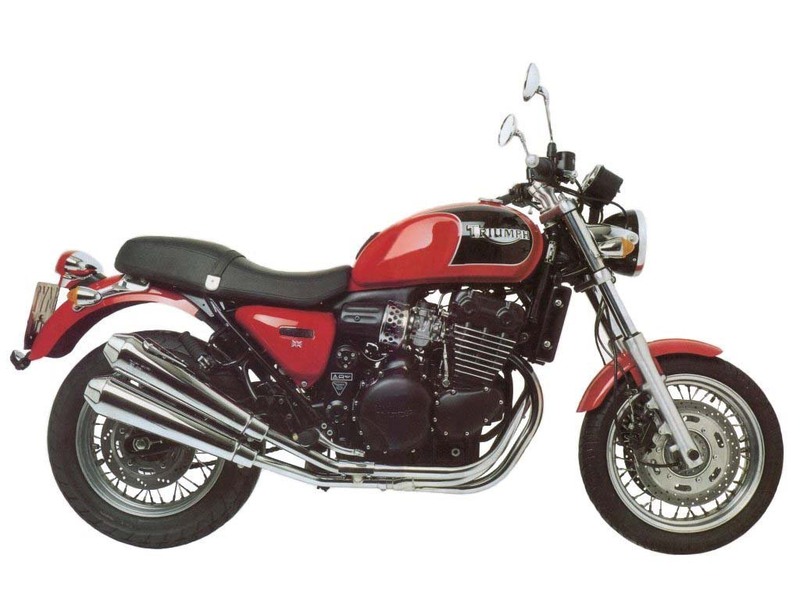 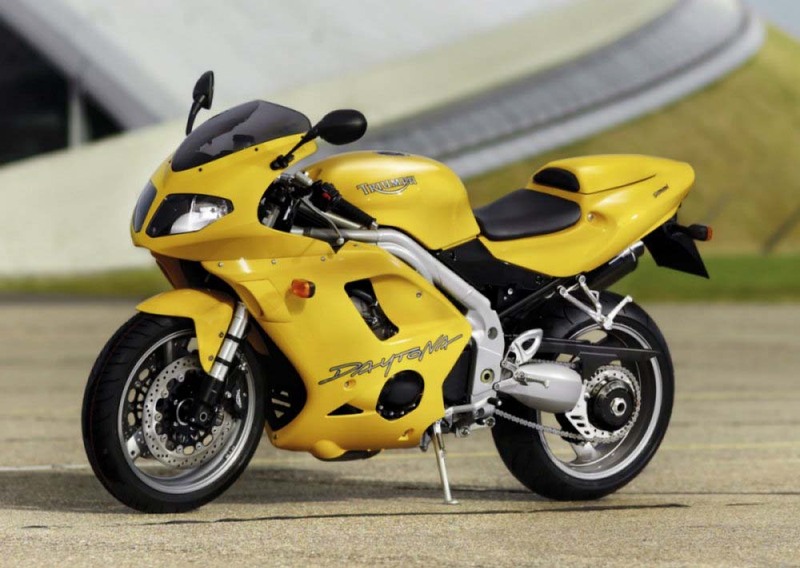 This famous English mark, well known for its innovative ideas, initially launched this bike in the form of a water cooled 750cc in-line machine. 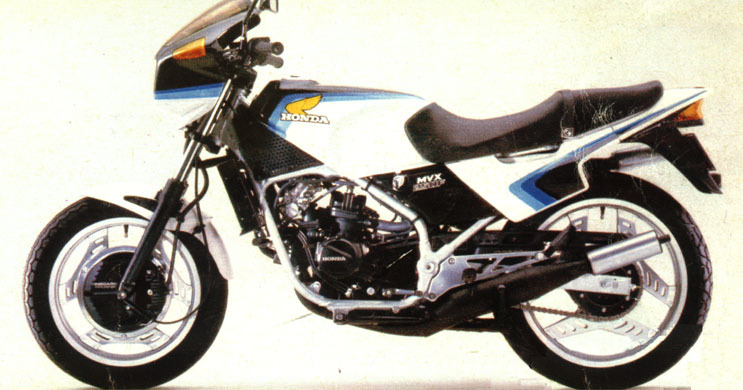 This was superseded by the 1000cc version. 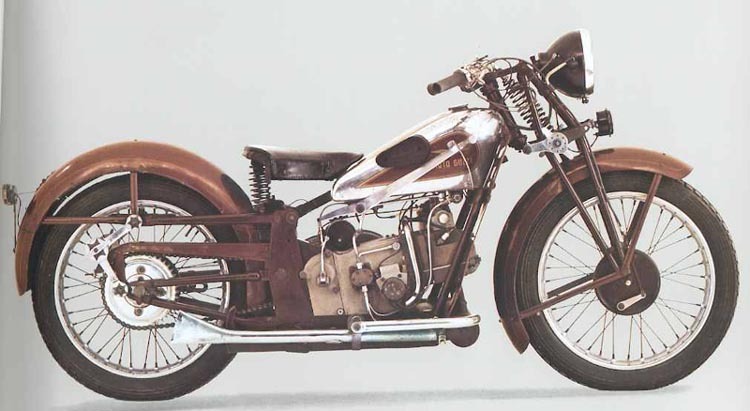 Unfortunately this motorcycle was never produced in large numbers due to the onset of the Second World War, coupled with dwindling business fortunes. 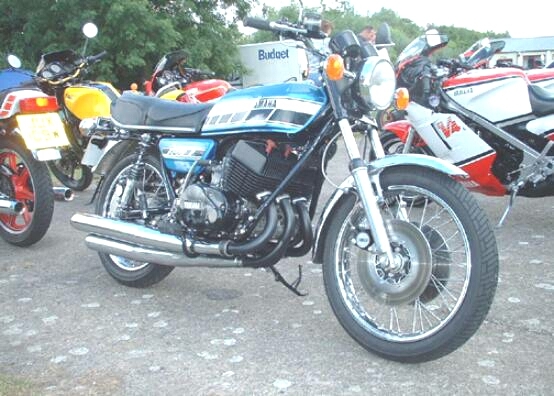 Hence these Three cylinder machines are rarely seen today. 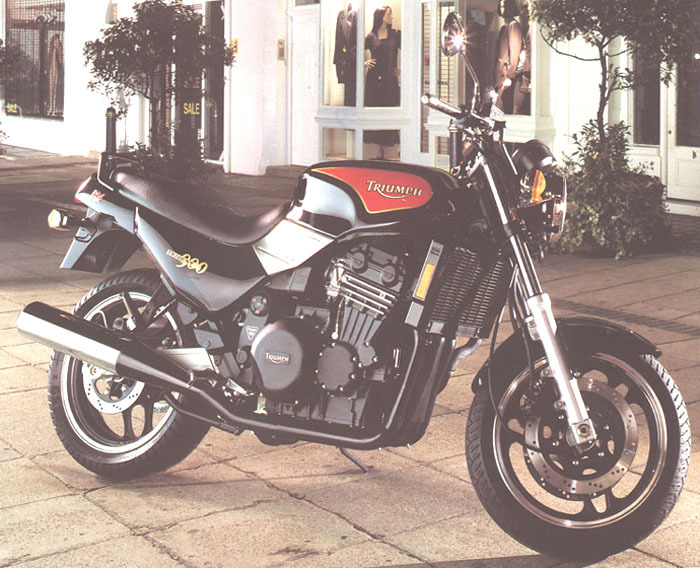 This one is the property of the Birmingham Museum. 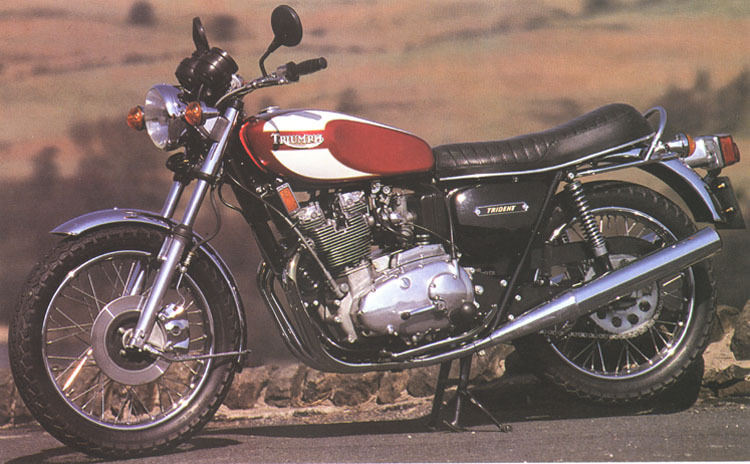 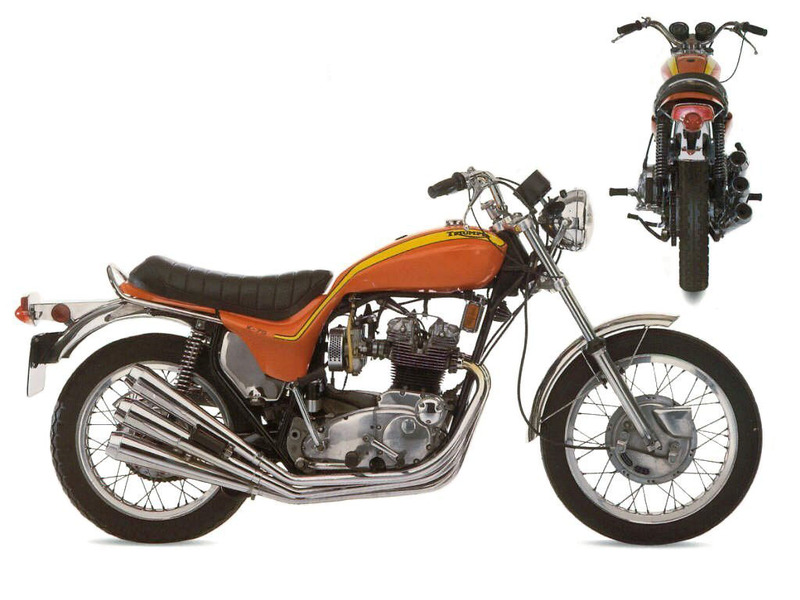 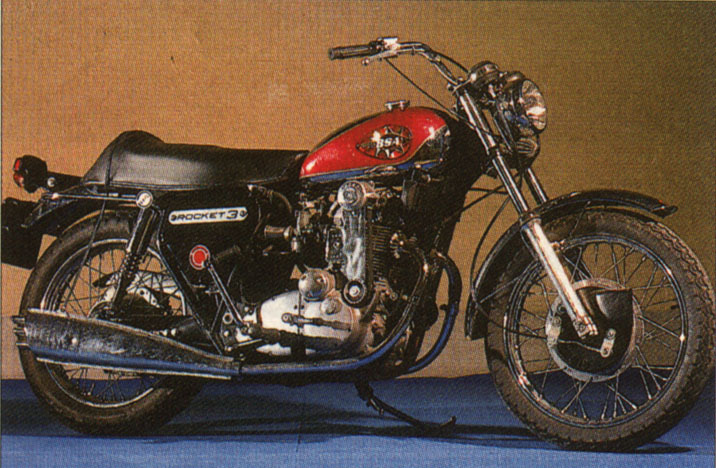 The lost japanese mark Olympus realized in 1962 this horizontal 370cc triple . 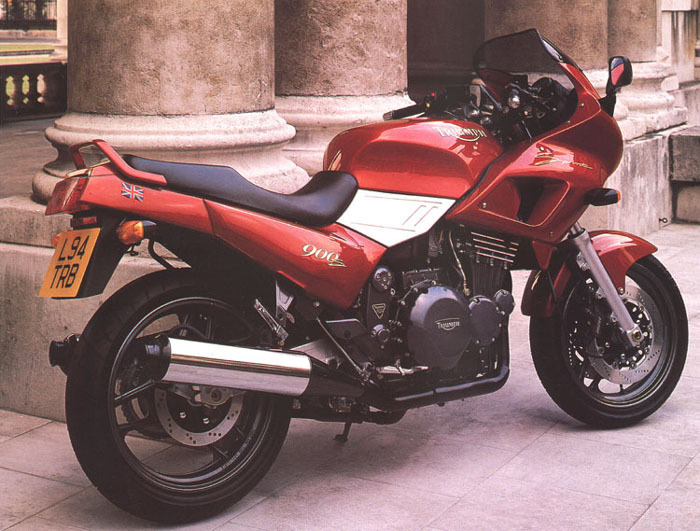 It was derived from the 250 twins of the mark. 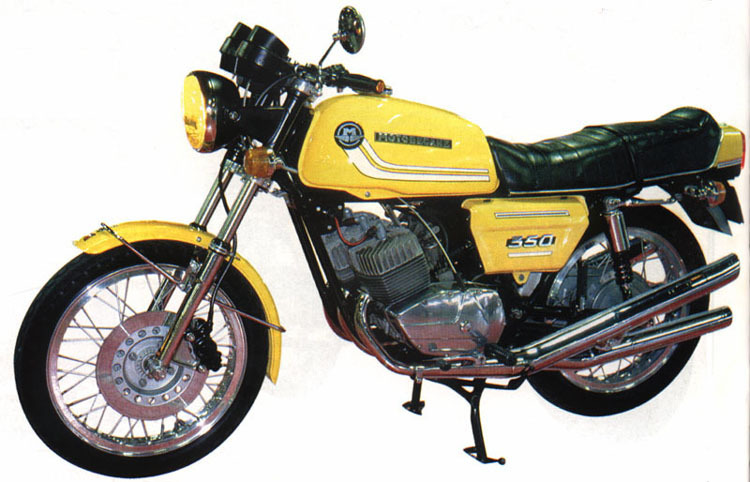 This model did not have a commercial continuation.